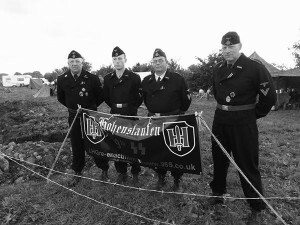 Our first visit to this small new event early in the season at New Holland, N.Lincs. 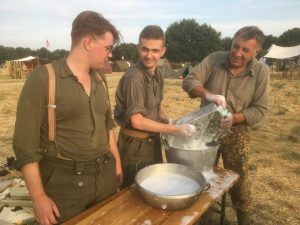 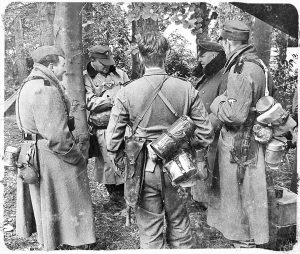 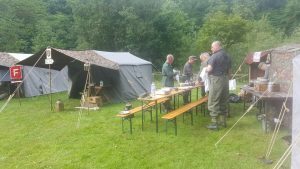 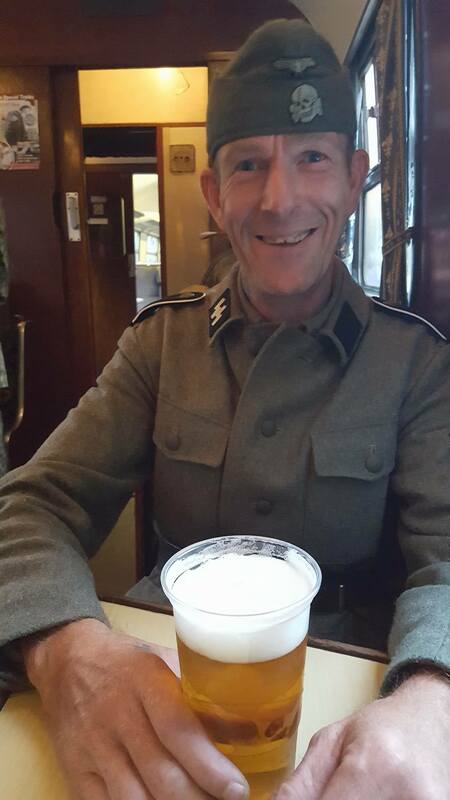 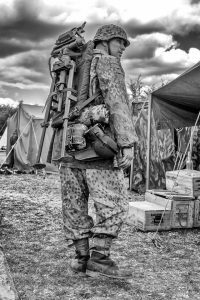 Guten Essen mit Kameraden – evening meal and relaxing with comrades after the Event…. 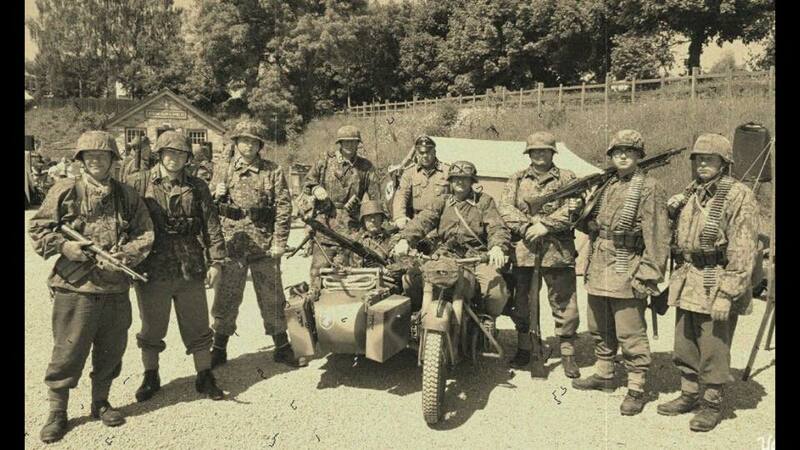 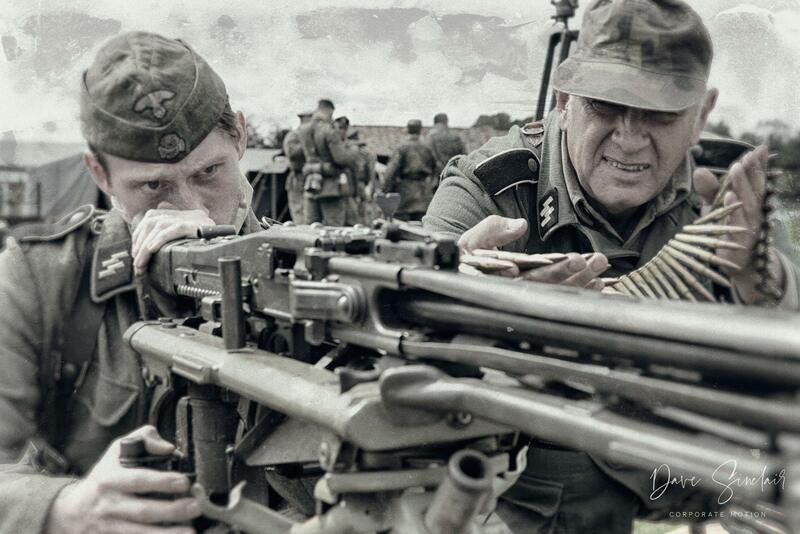 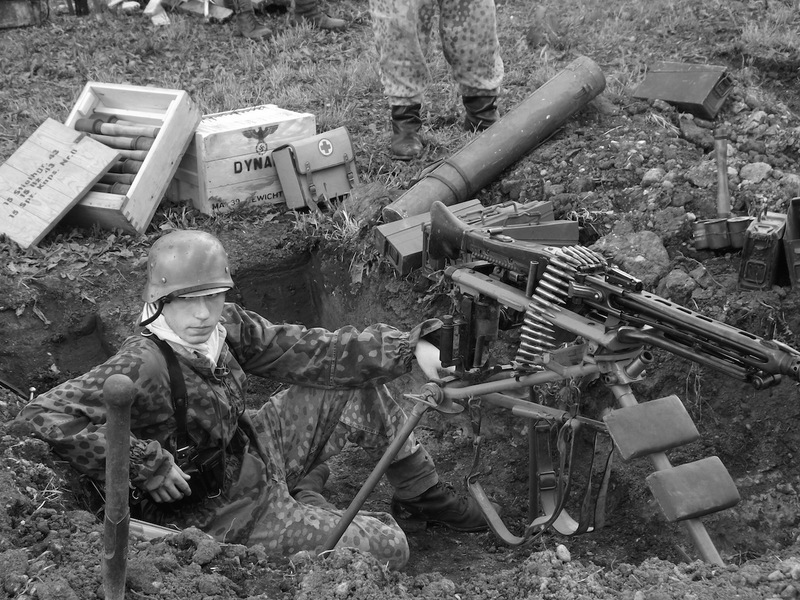 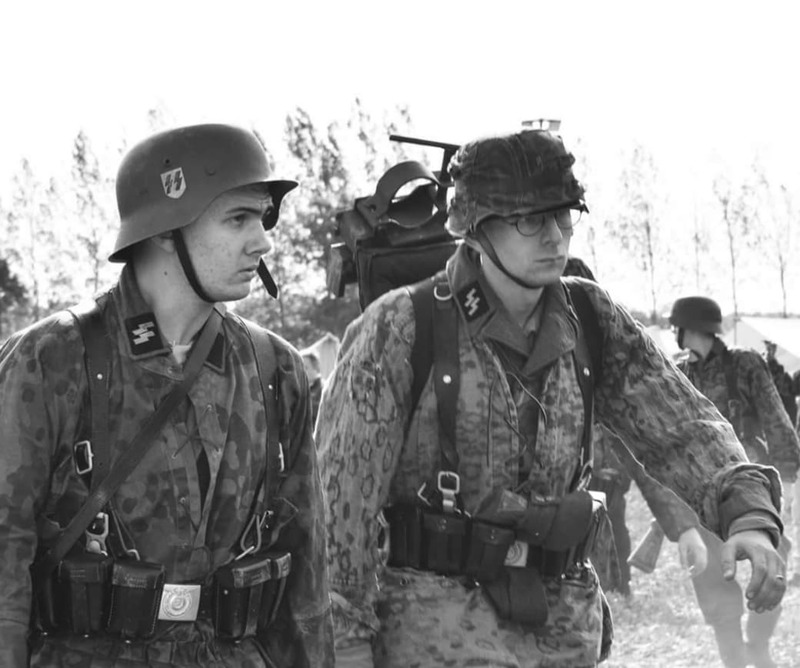 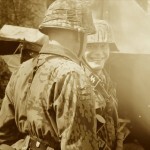 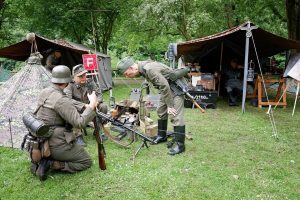 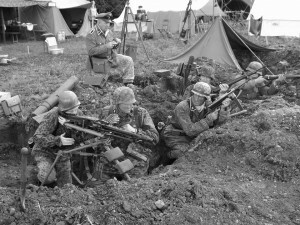 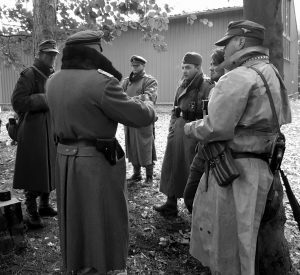 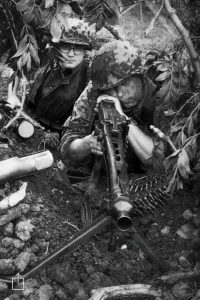 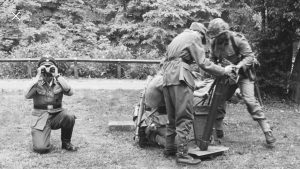 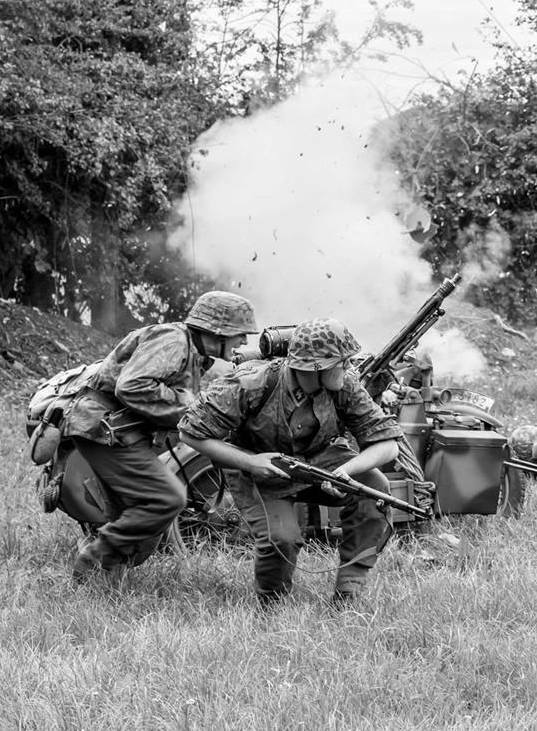 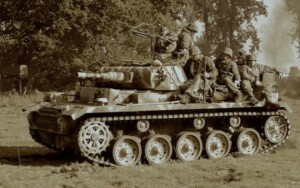 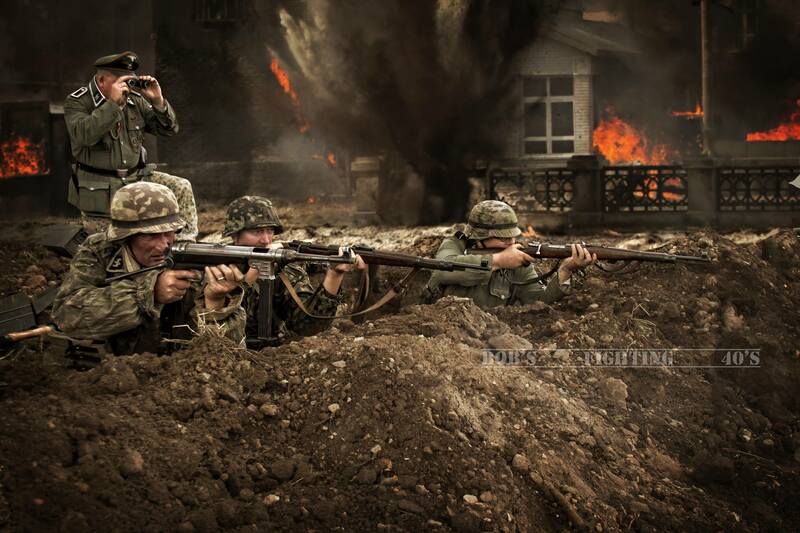 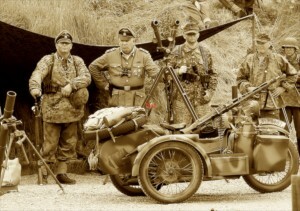 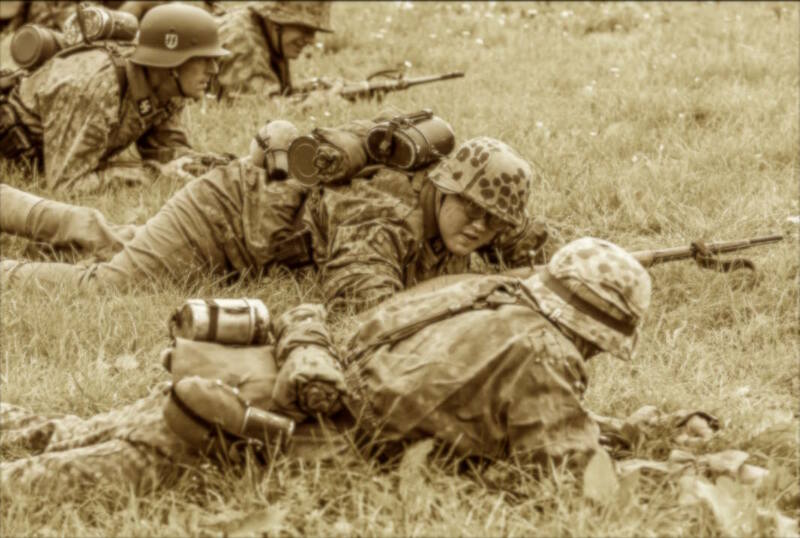 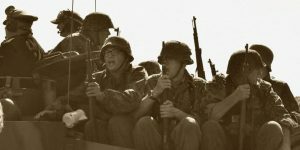 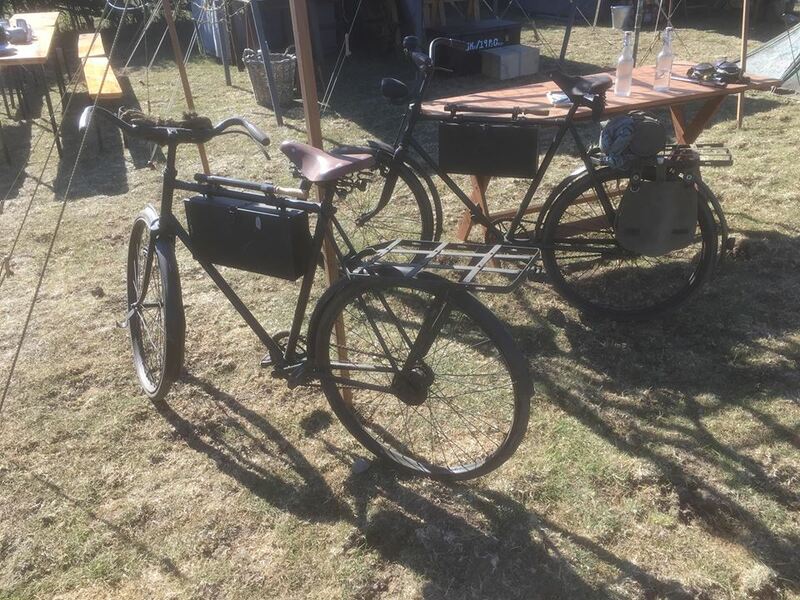 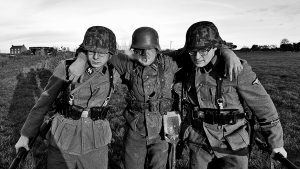 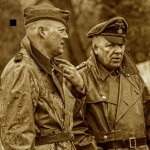 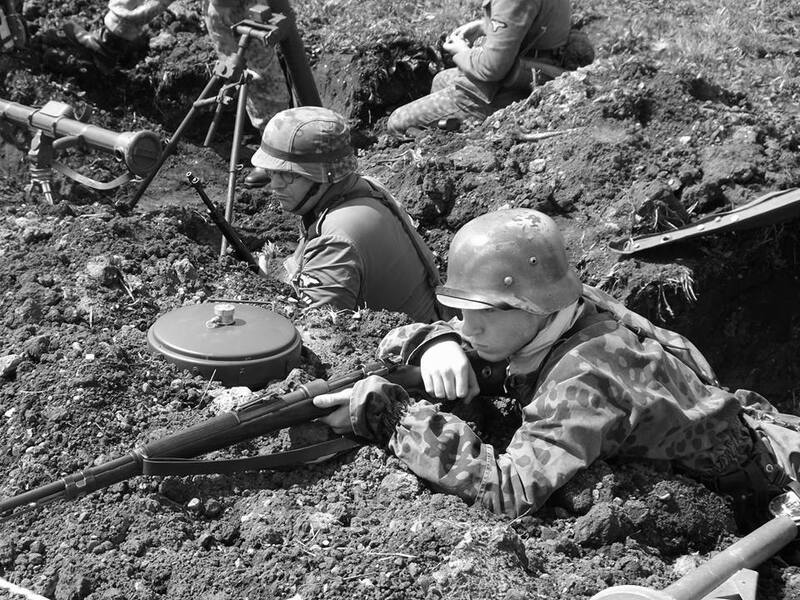 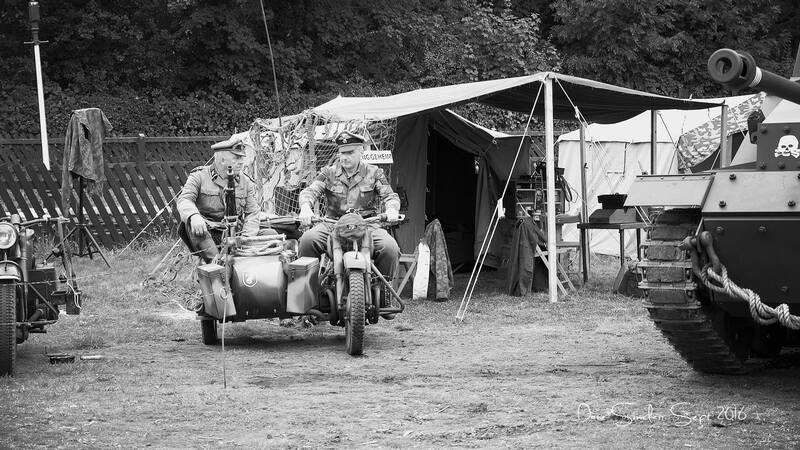 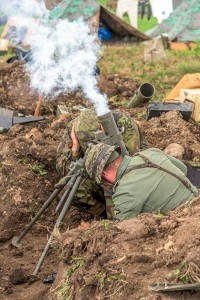 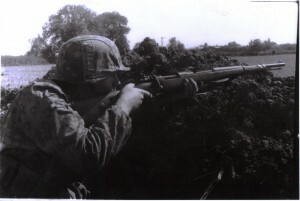 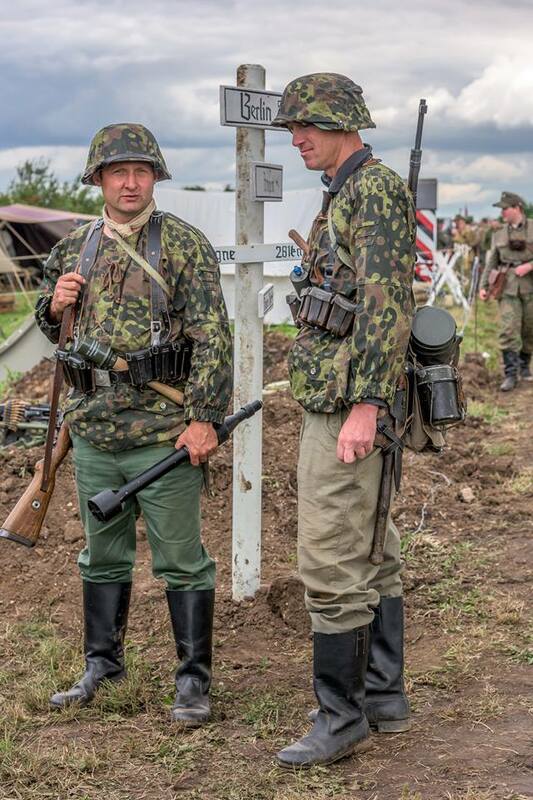 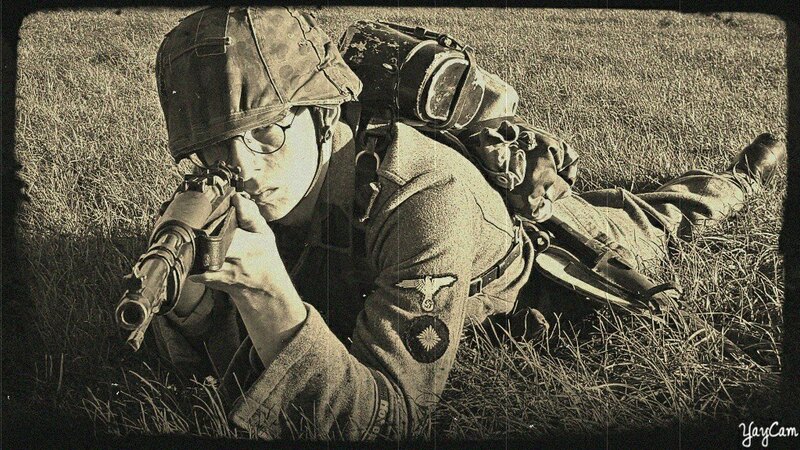 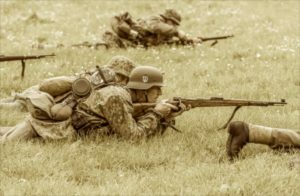 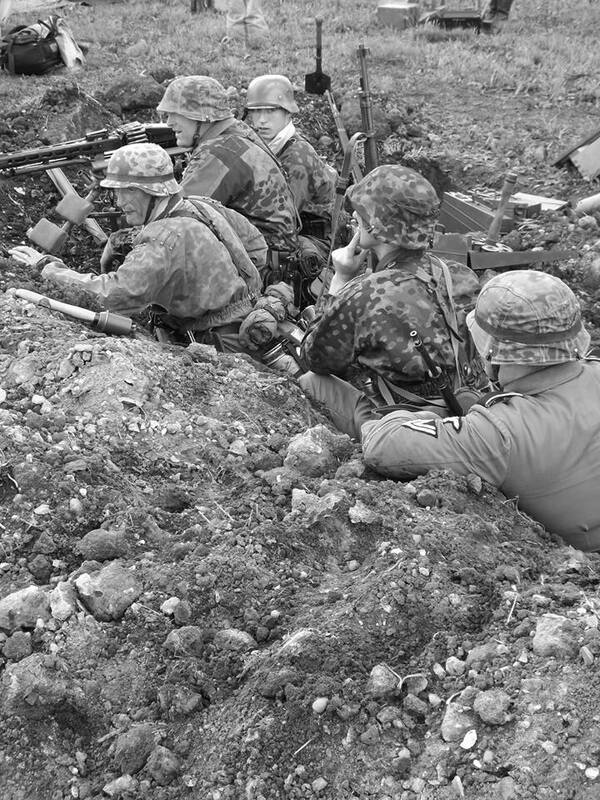 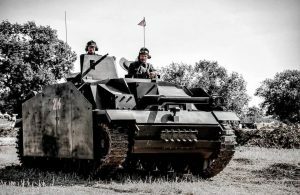 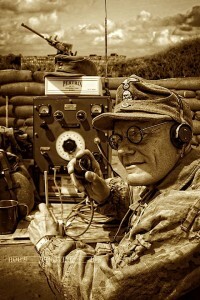 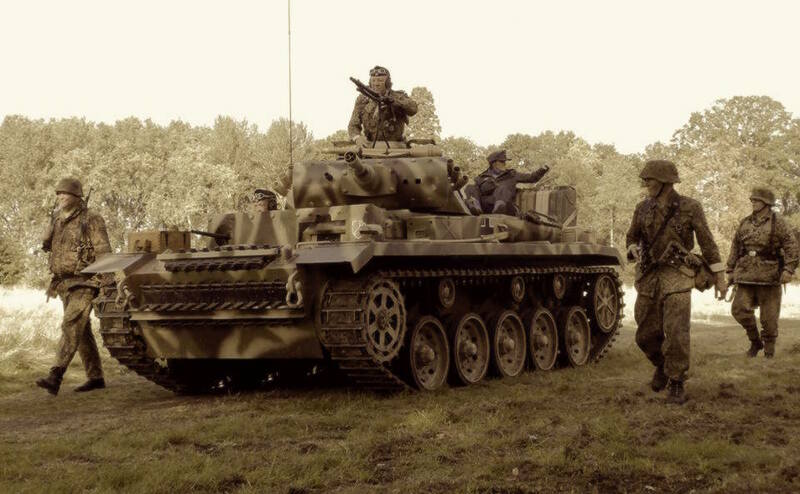 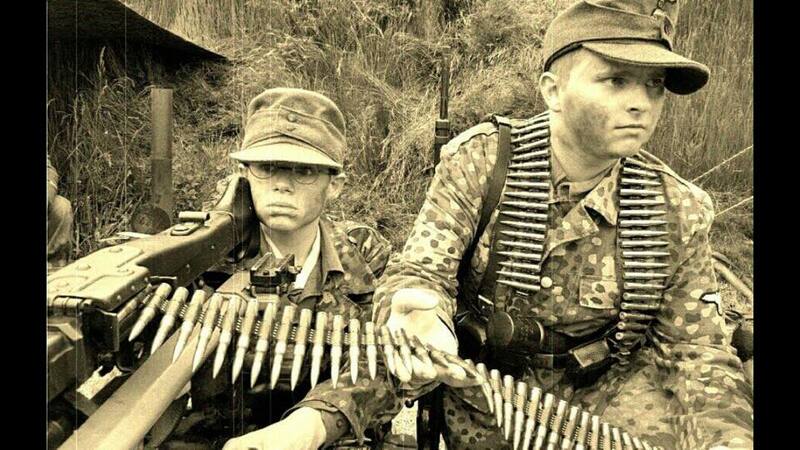 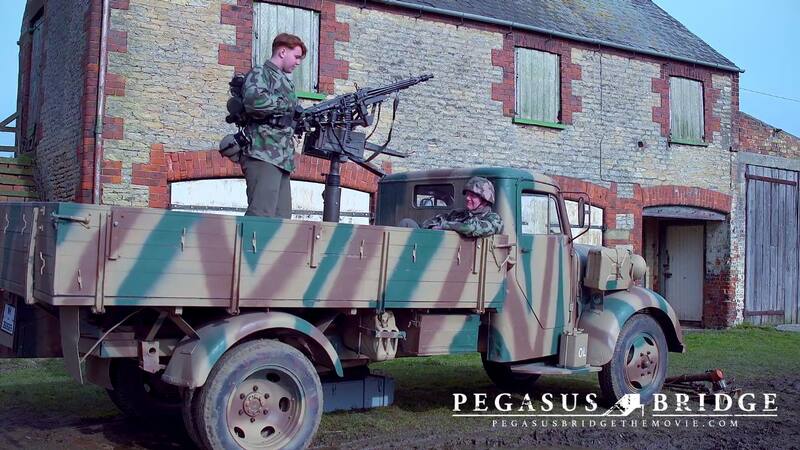 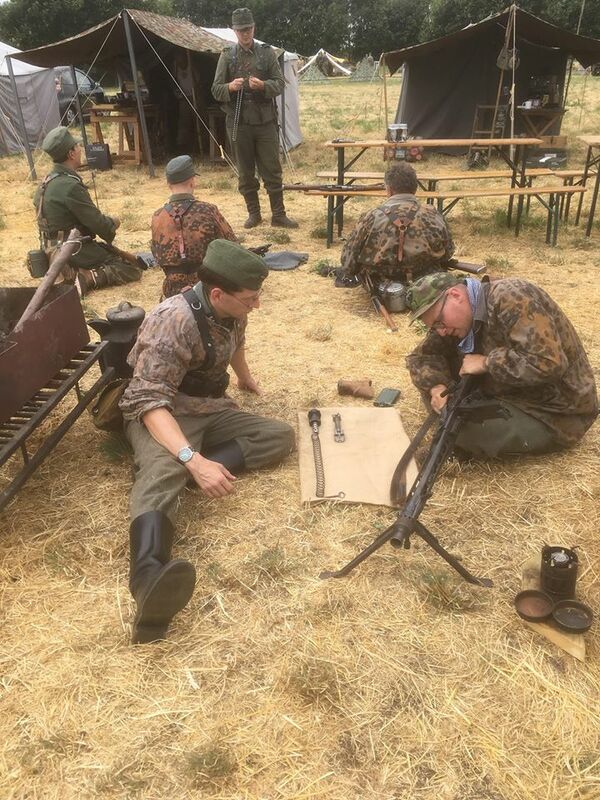 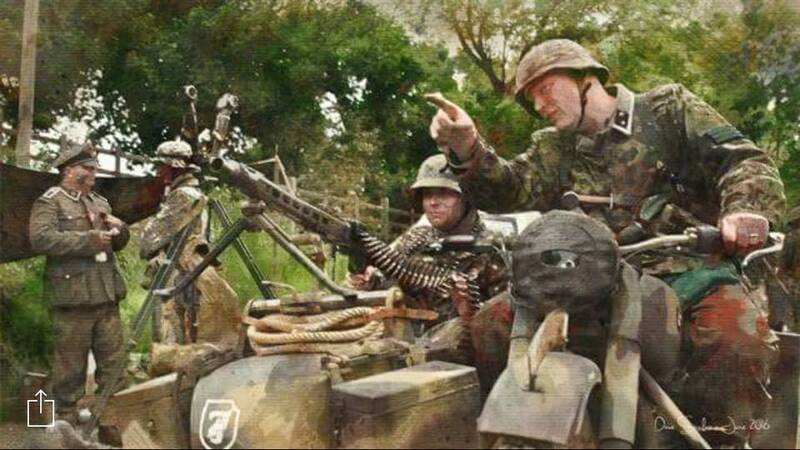 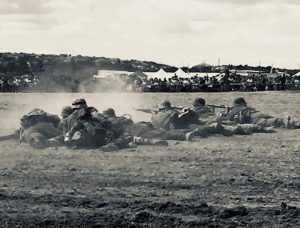 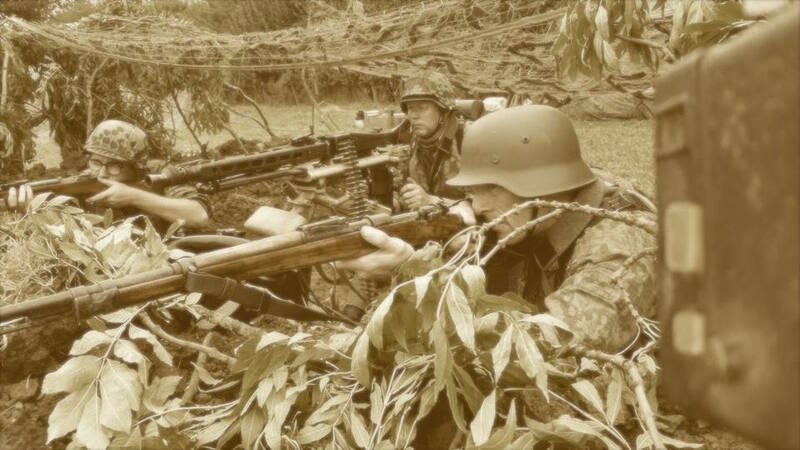 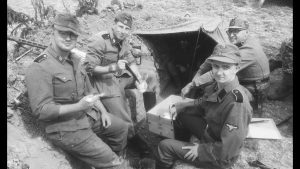 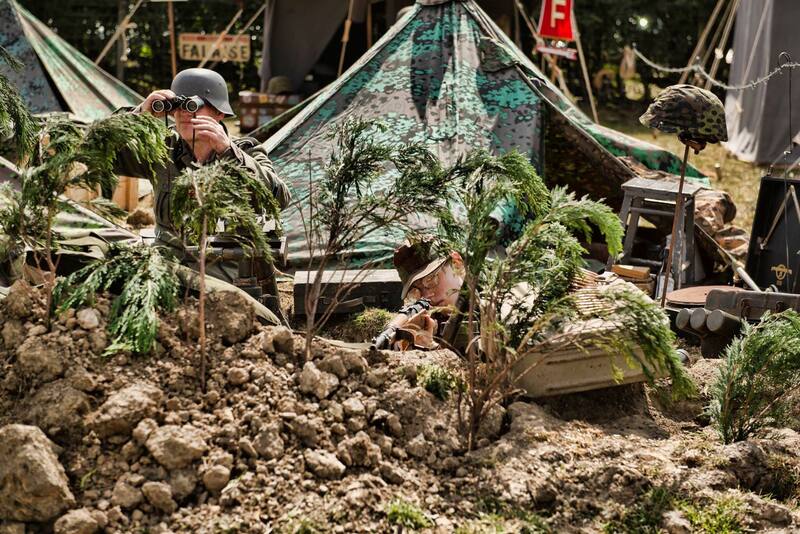 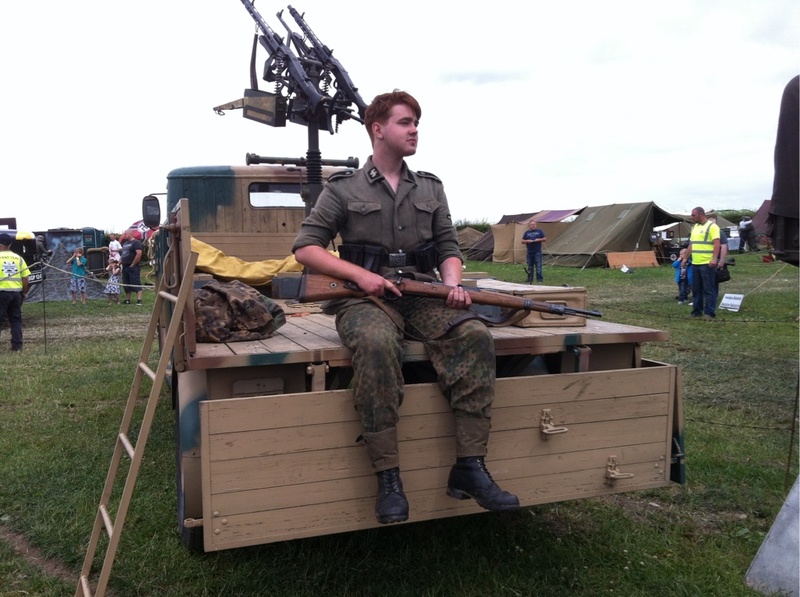 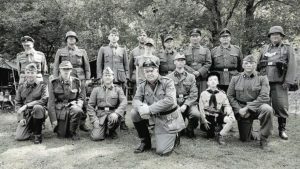 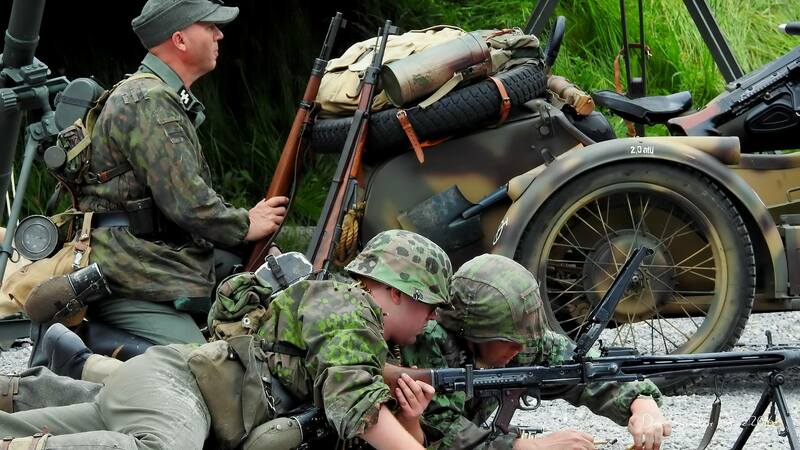 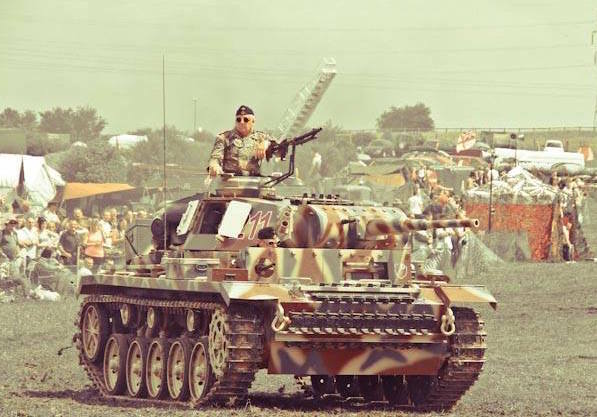 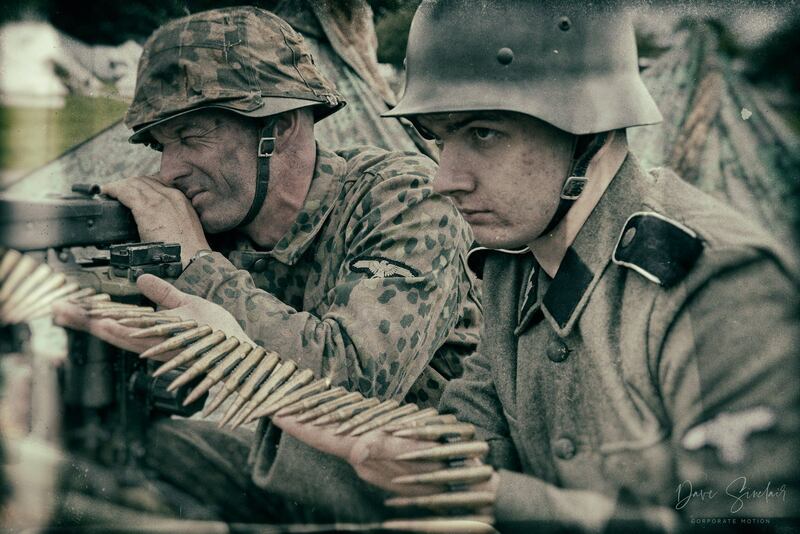 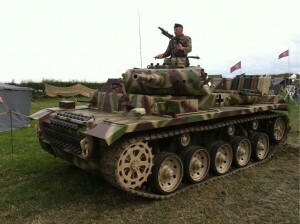 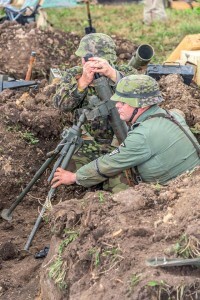 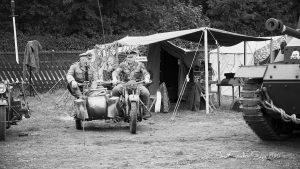 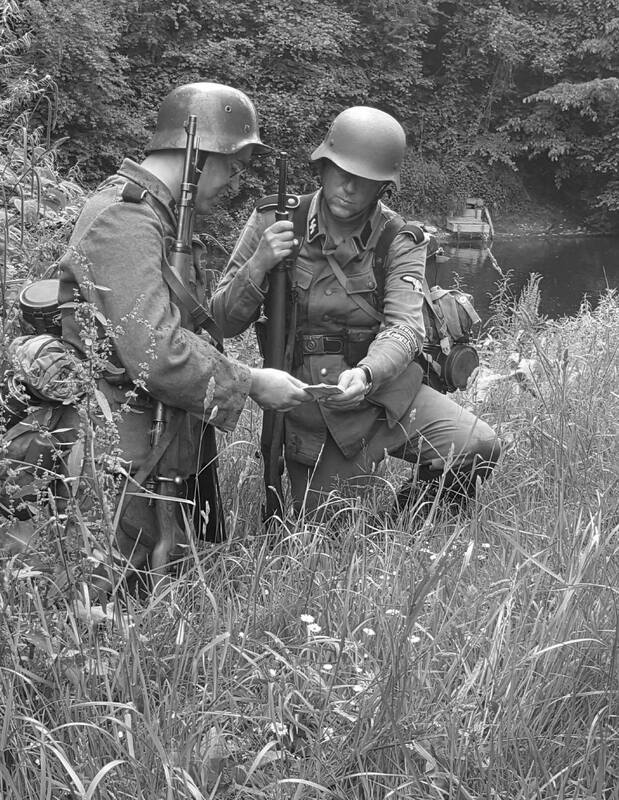 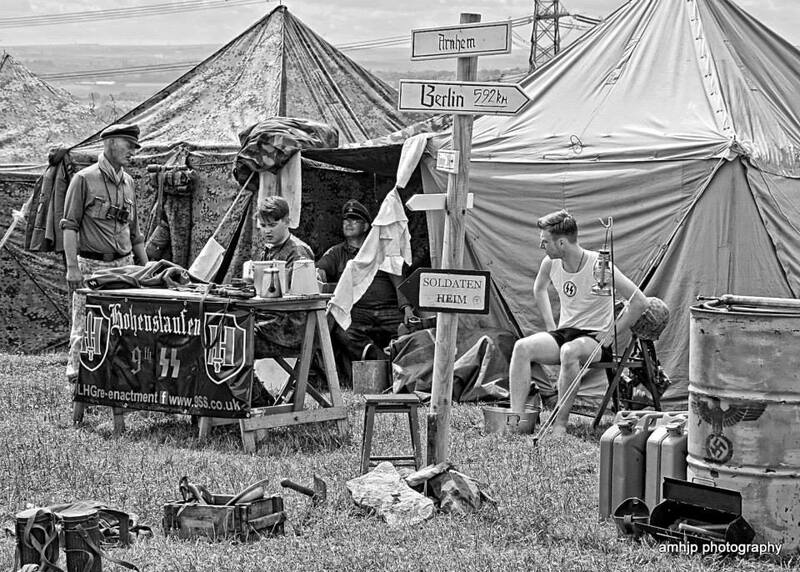 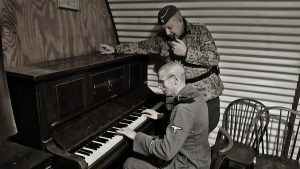 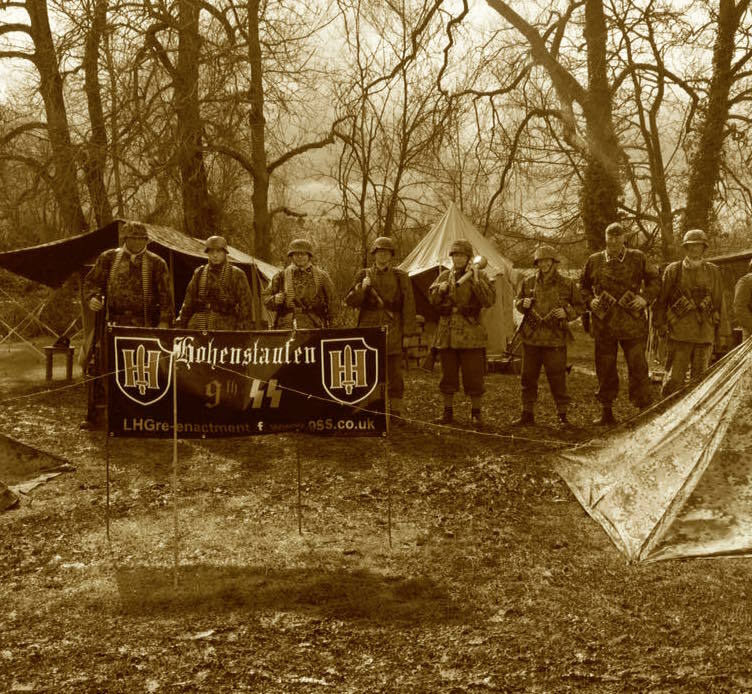 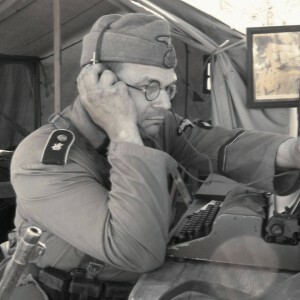 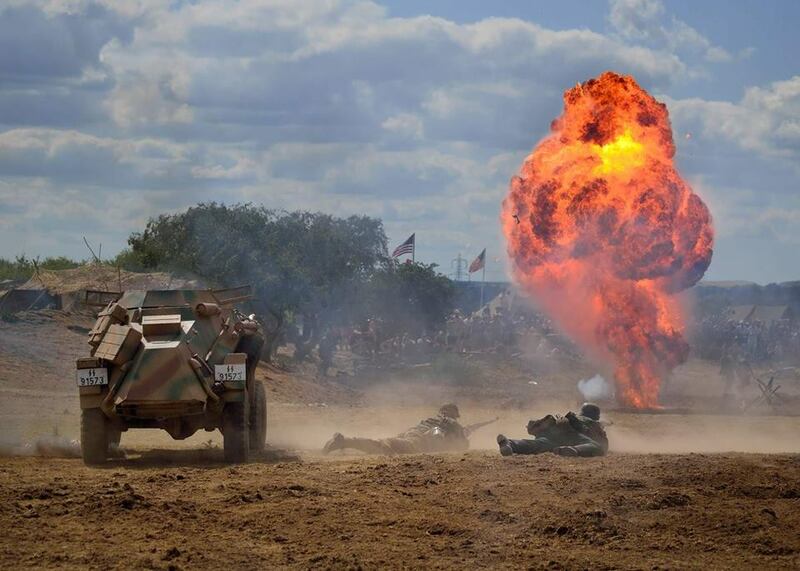 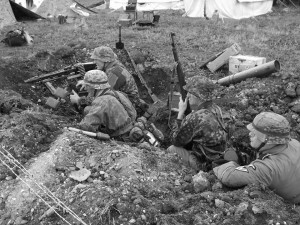 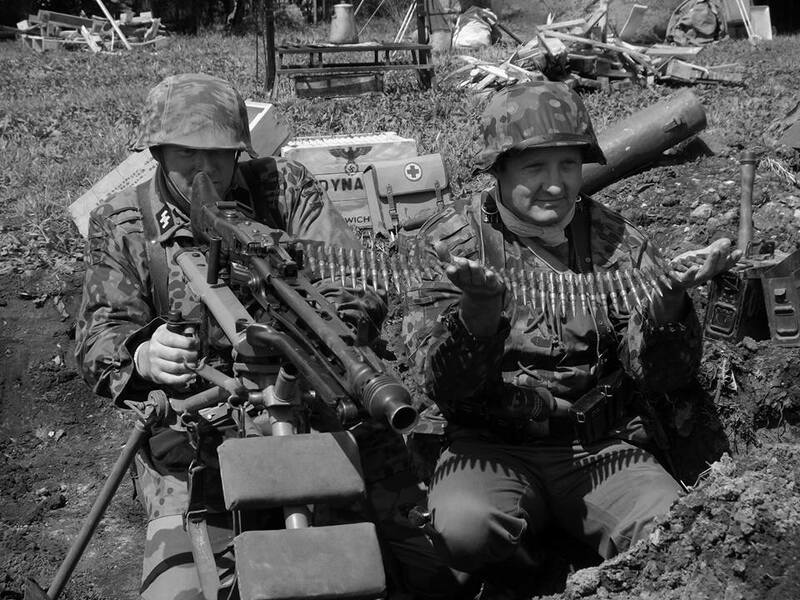 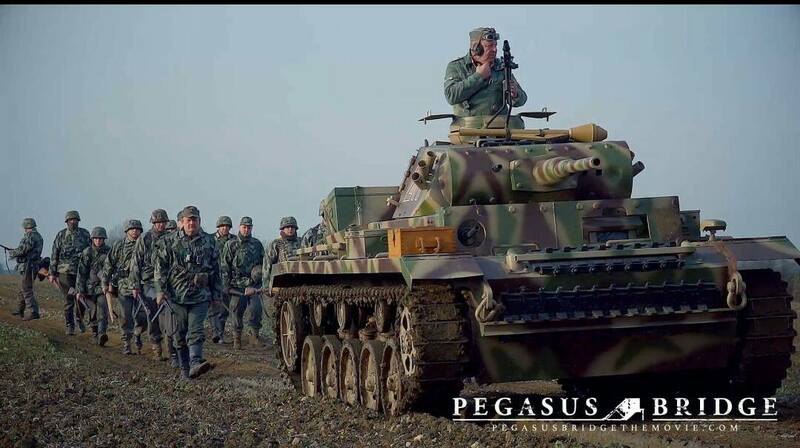 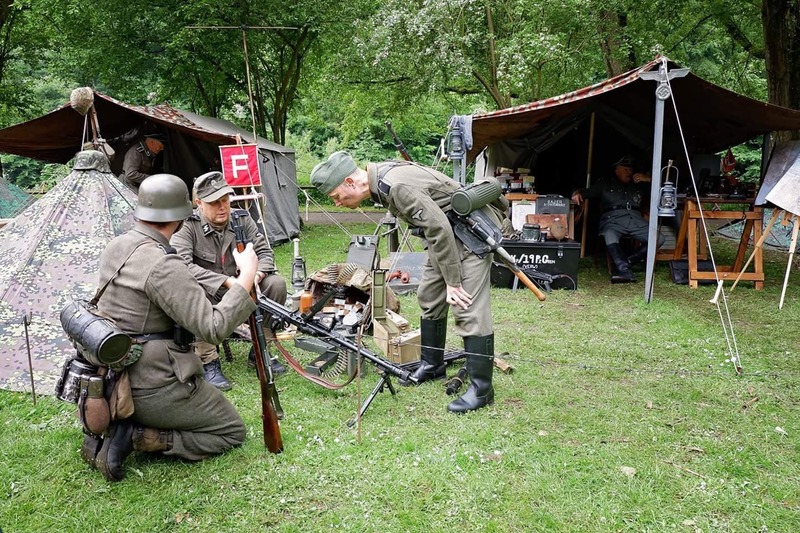 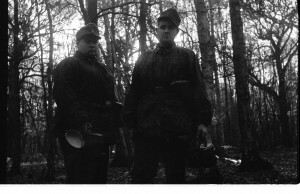 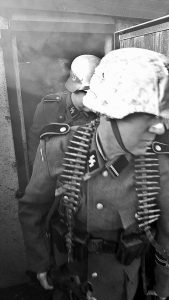 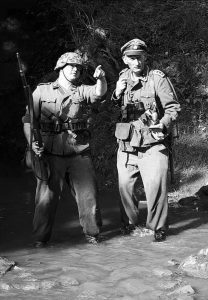 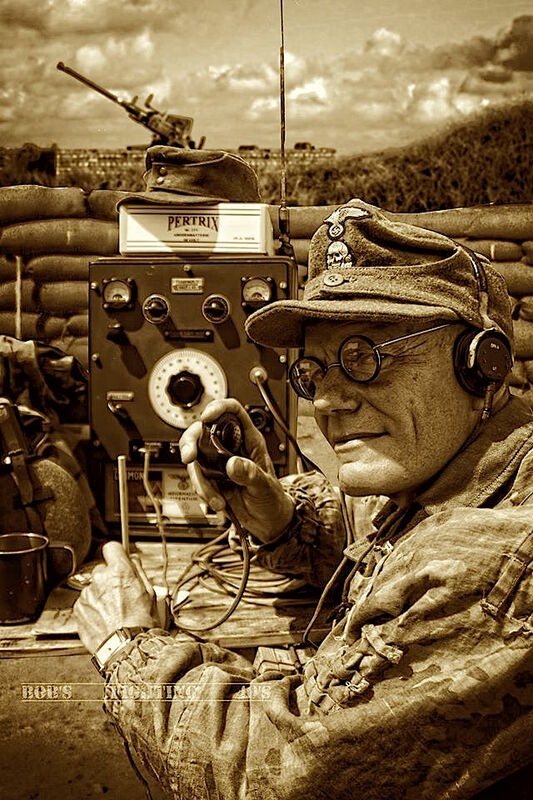 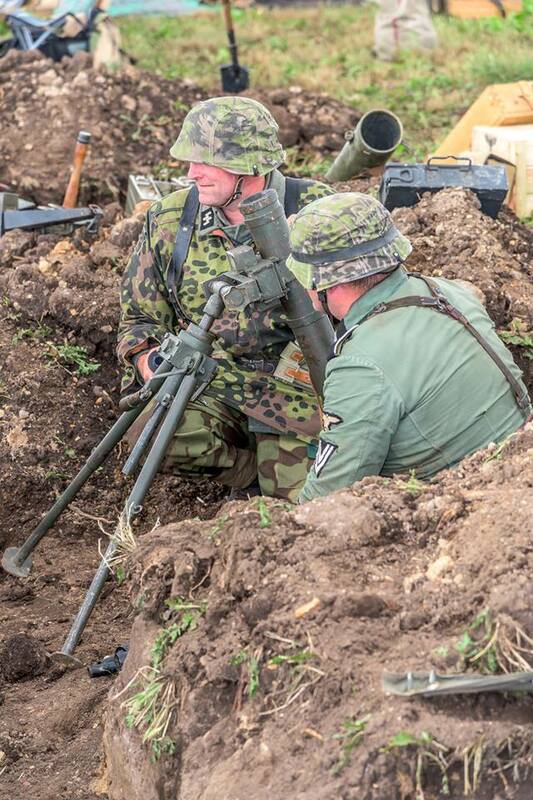 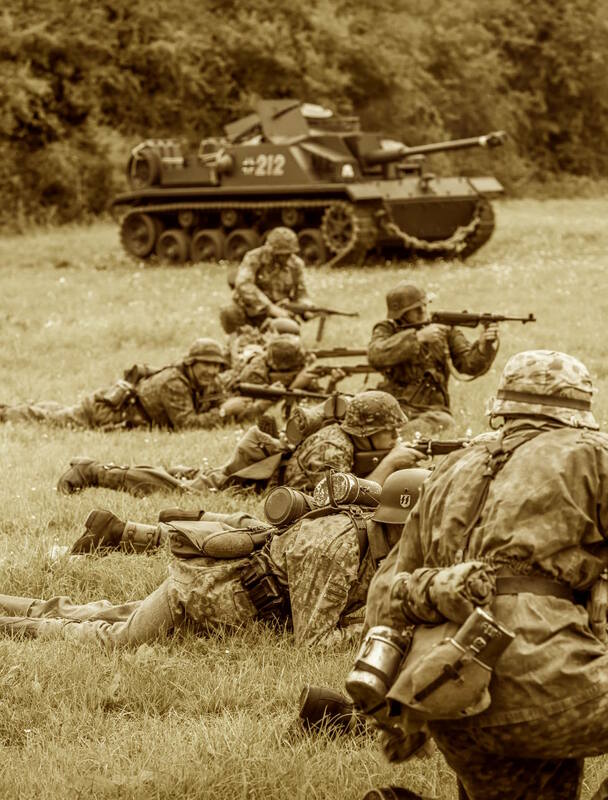 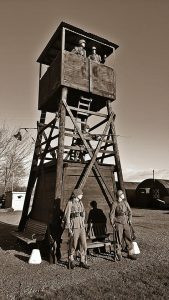 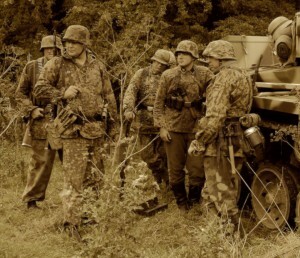 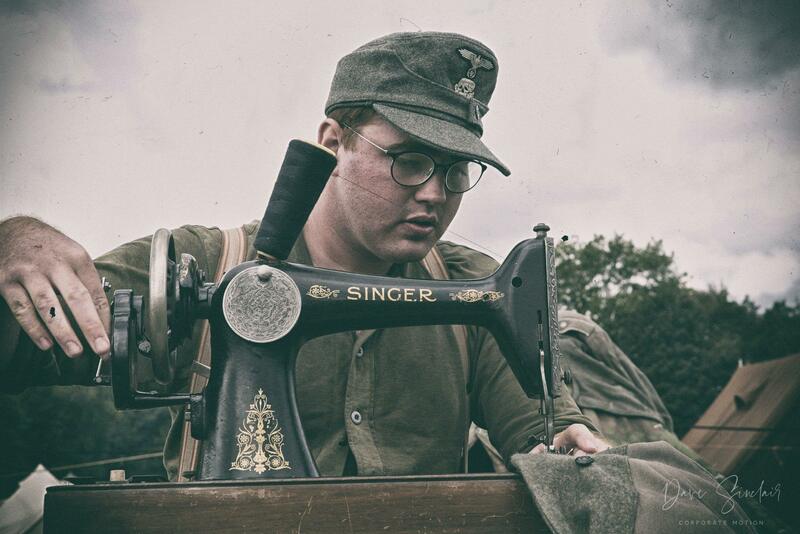 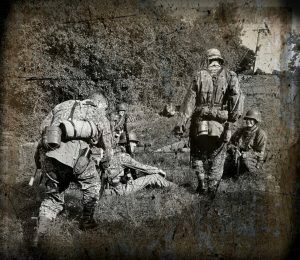 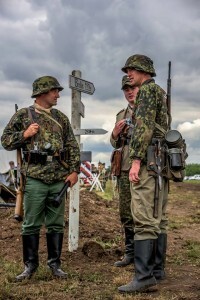 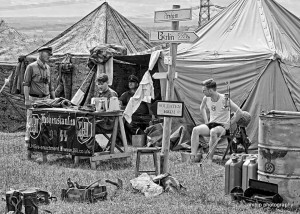 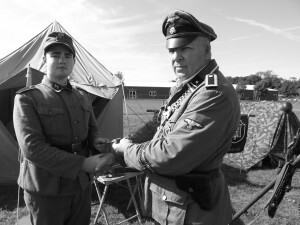 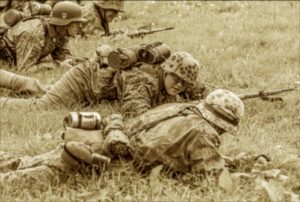 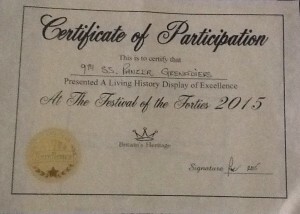 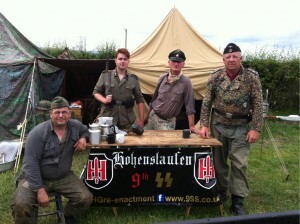 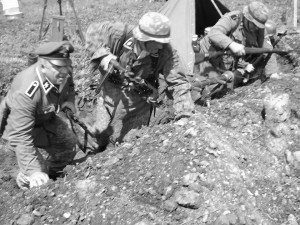 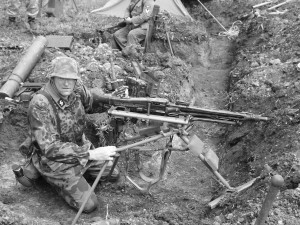 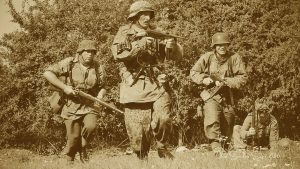 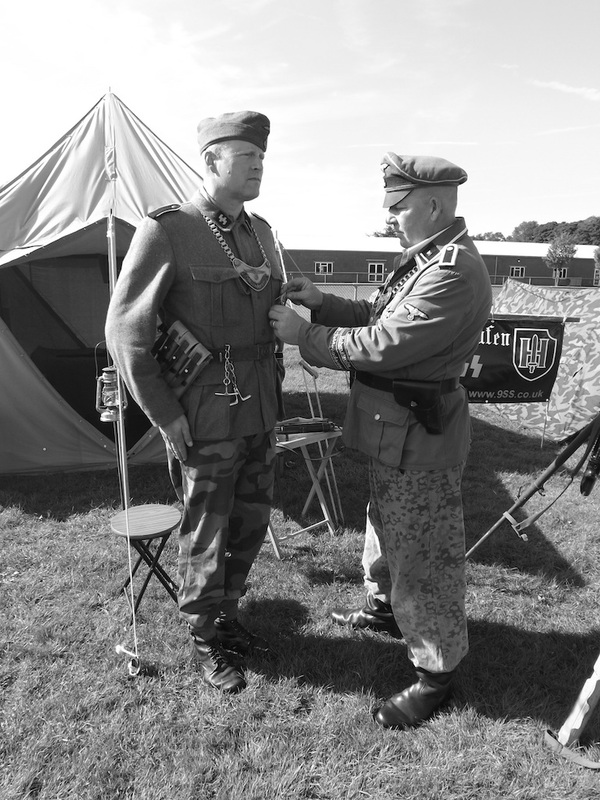 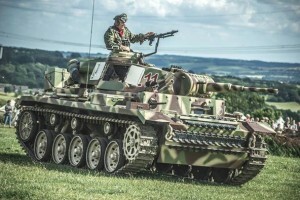 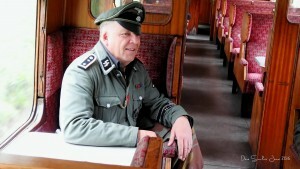 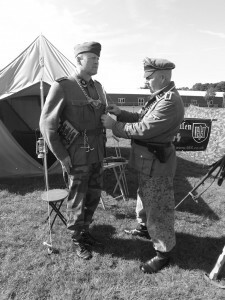 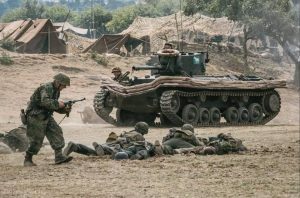 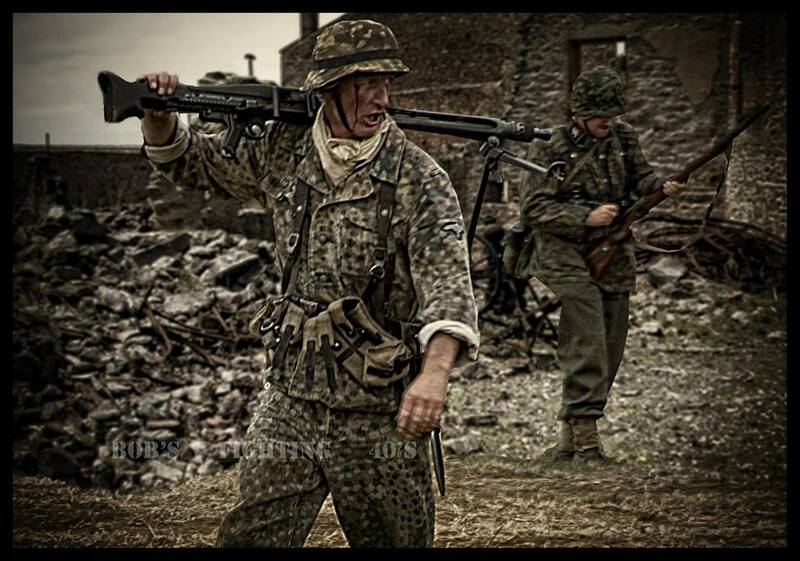 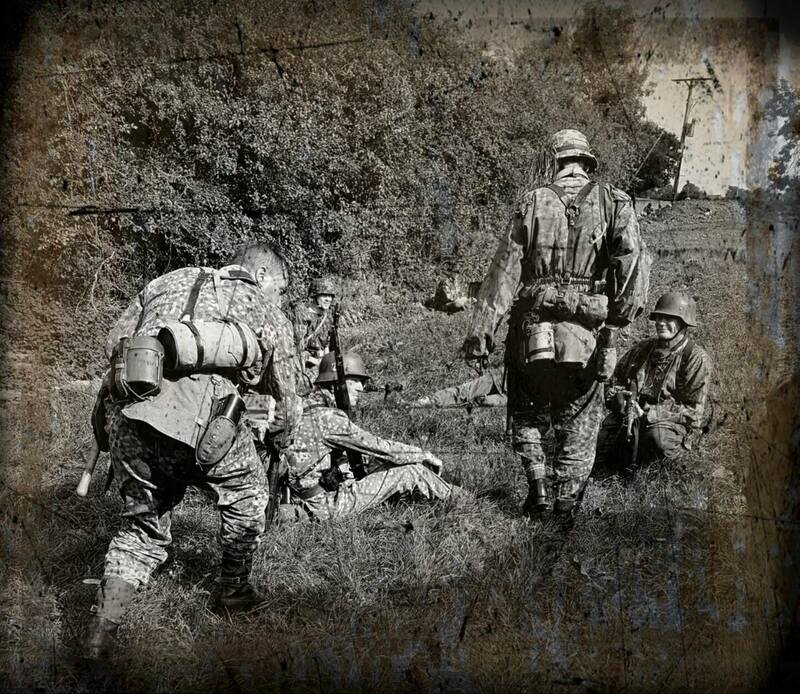 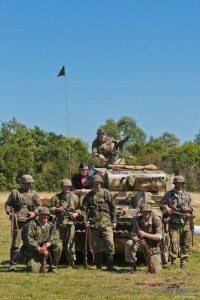 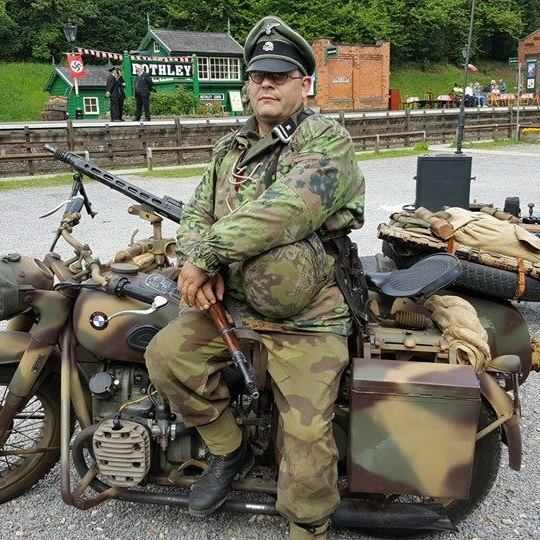 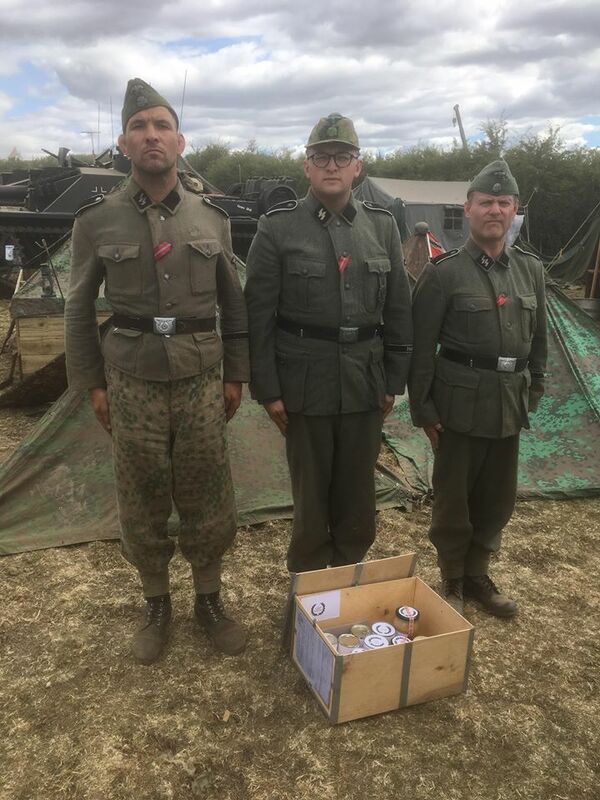 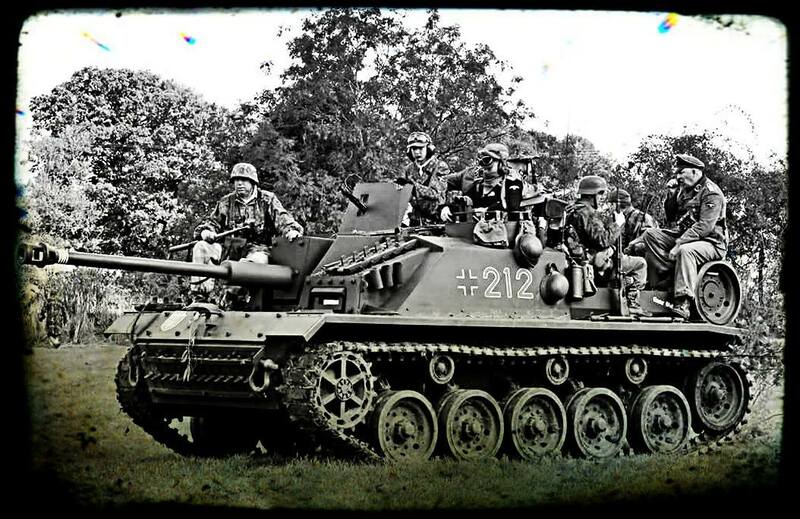 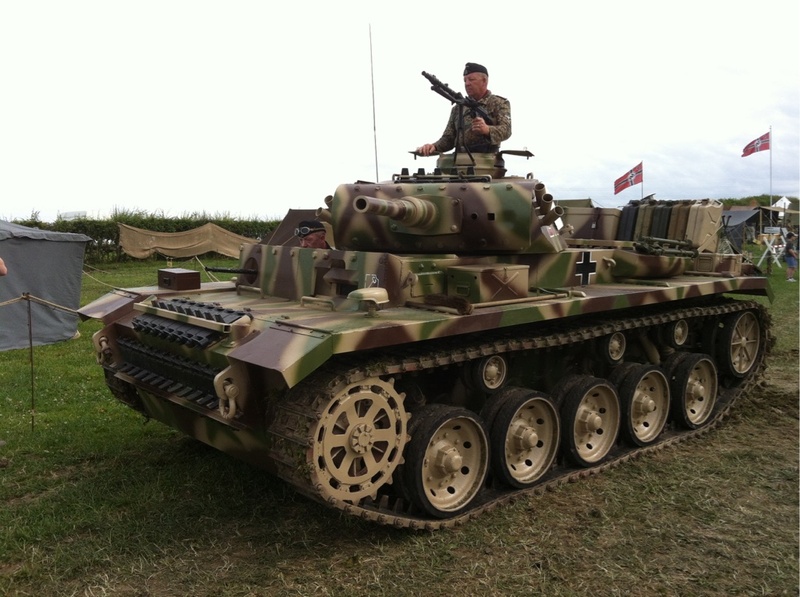 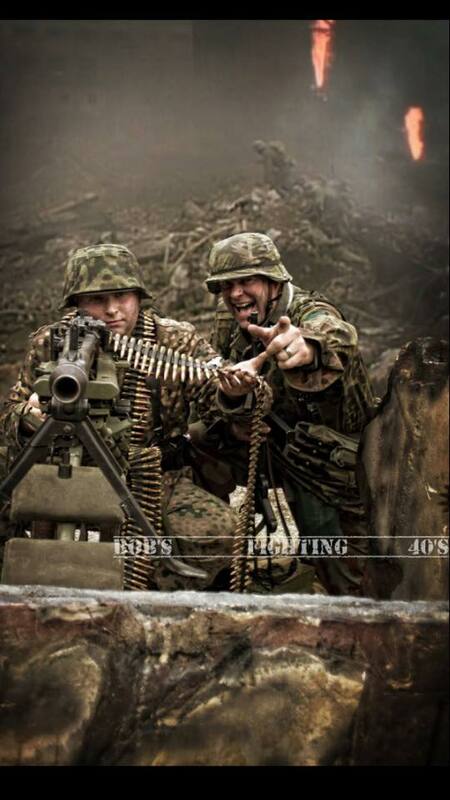 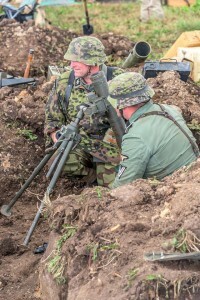 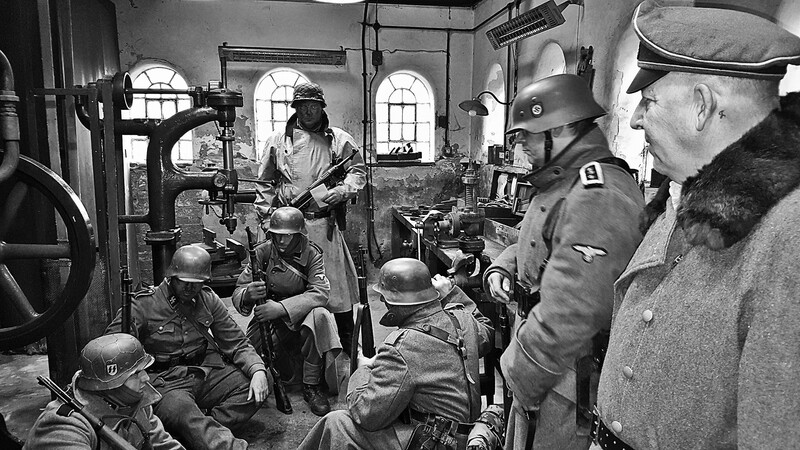 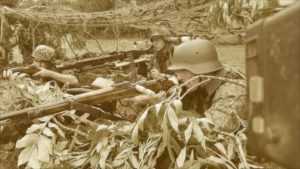 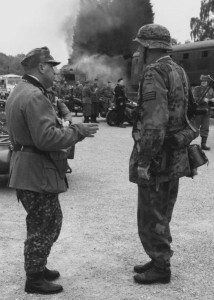 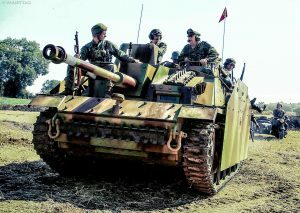 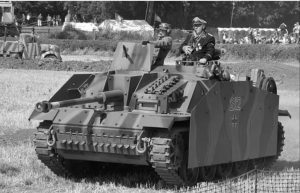 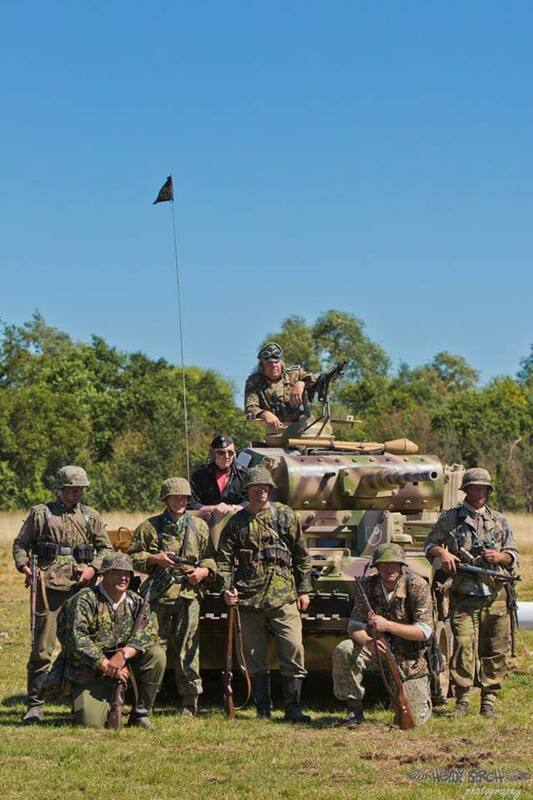 German Re-enactors Living History Group members (9ss Hohenstauffen and FJR-5). 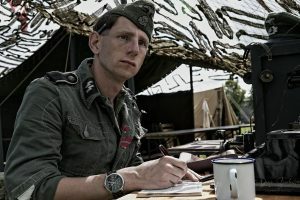 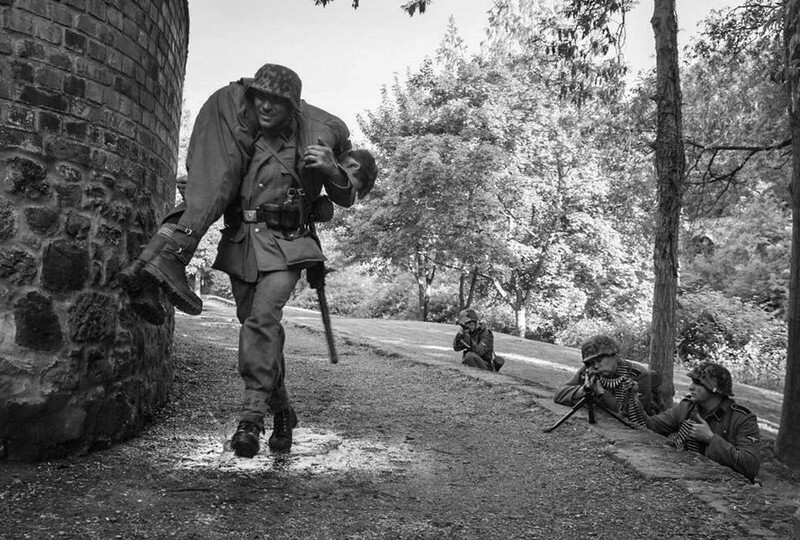 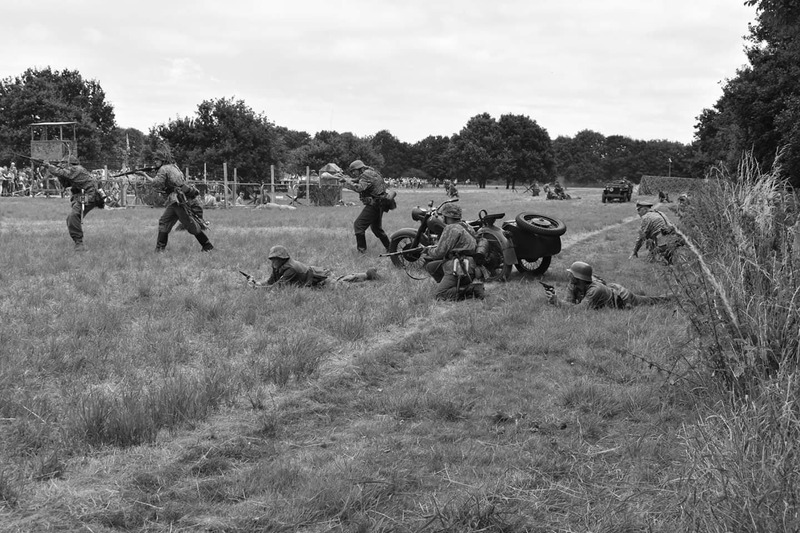 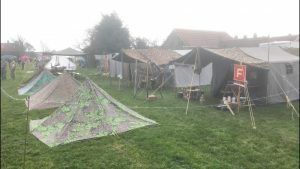 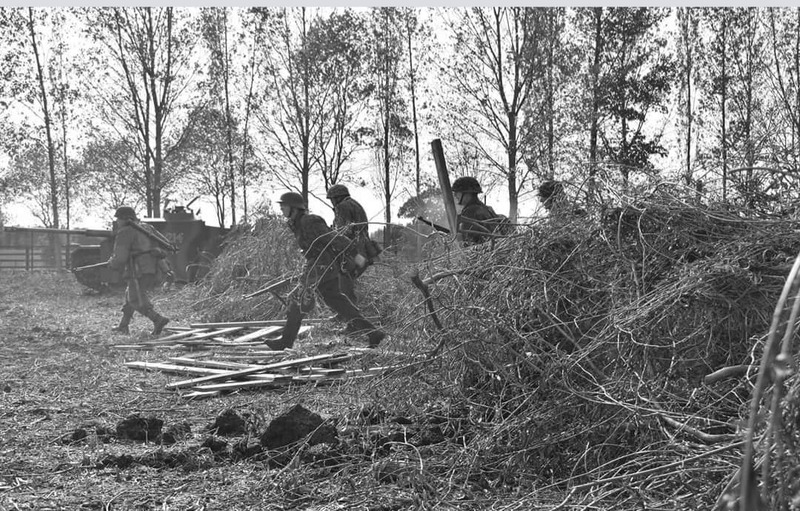 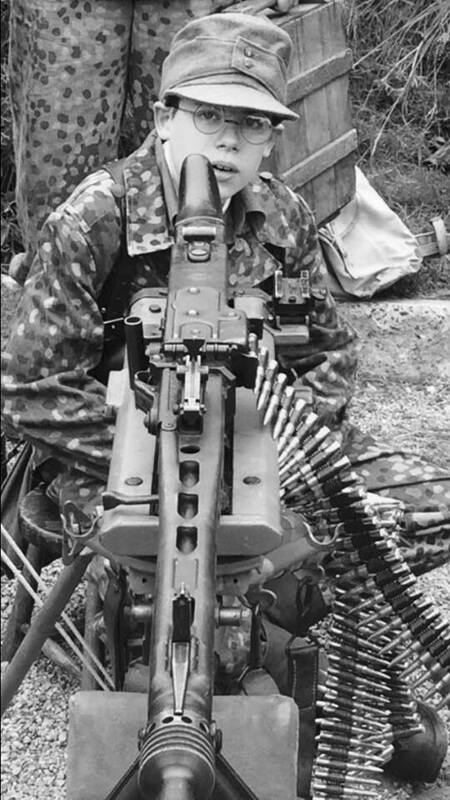 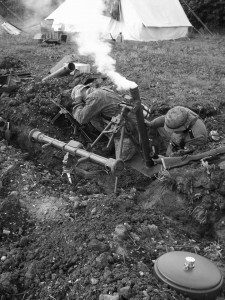 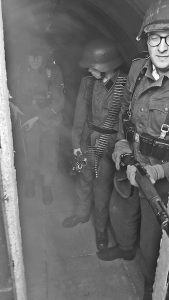 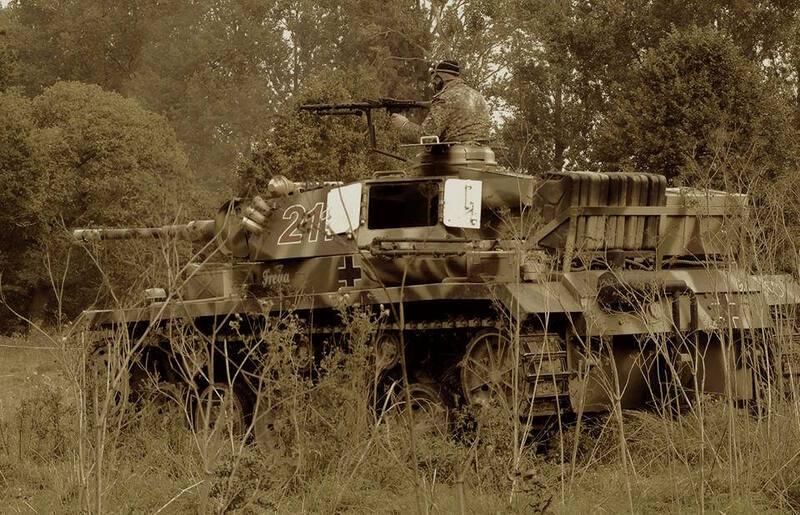 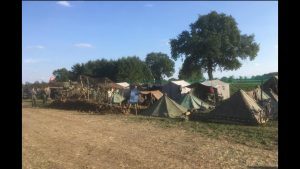 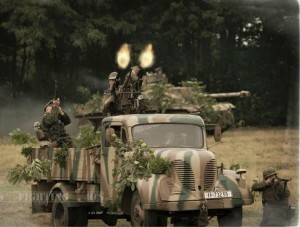 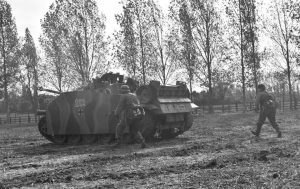 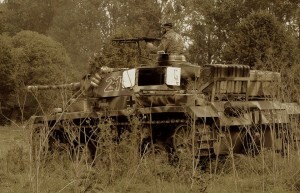 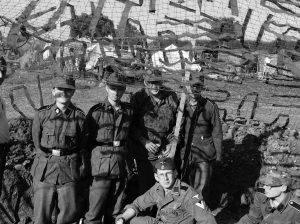 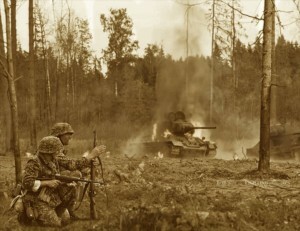 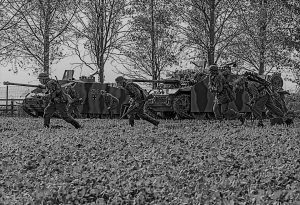 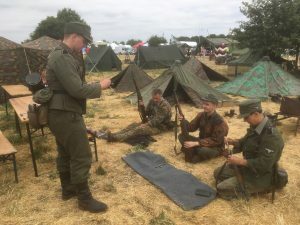 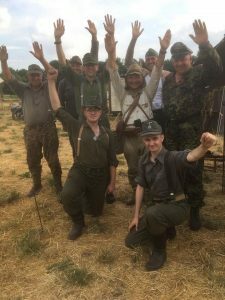 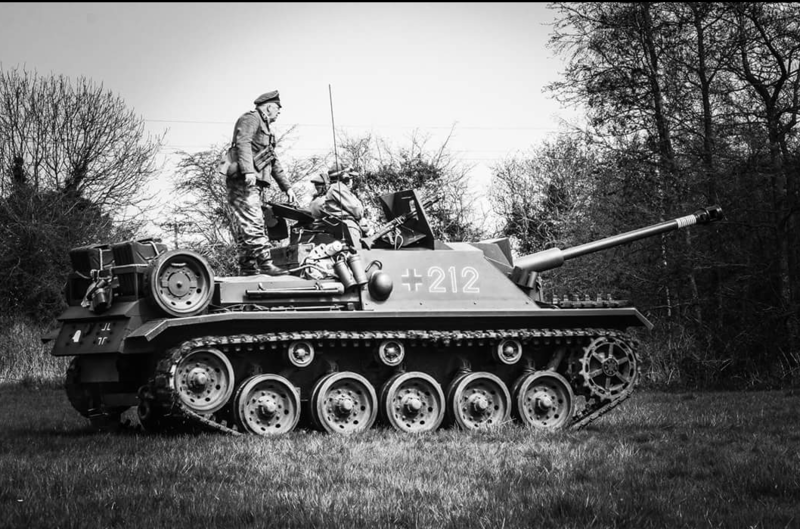 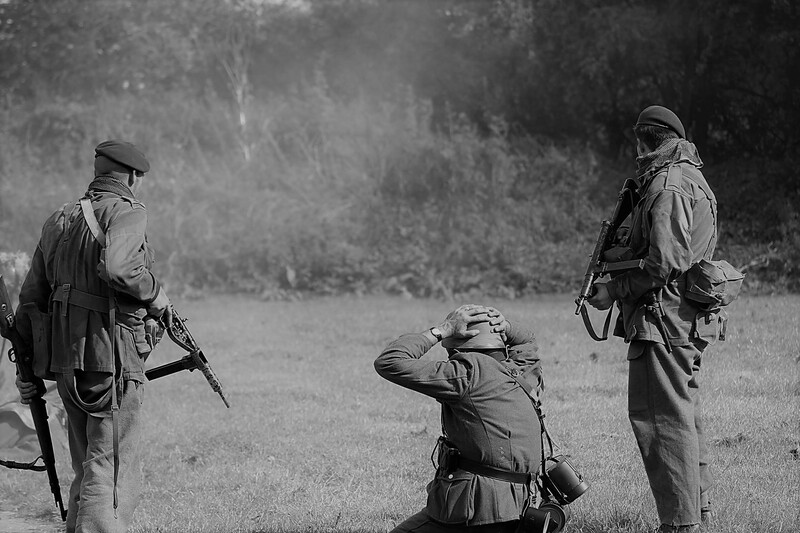 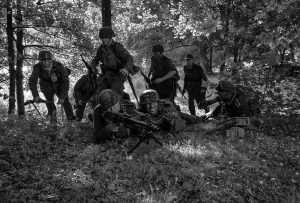 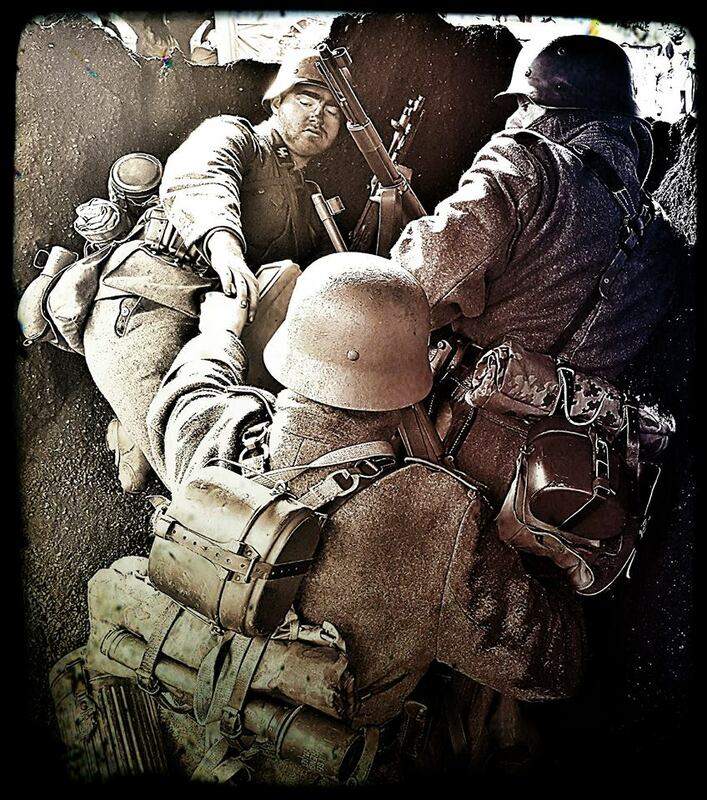 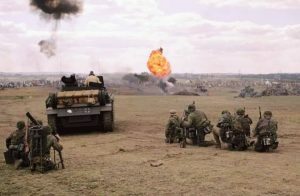 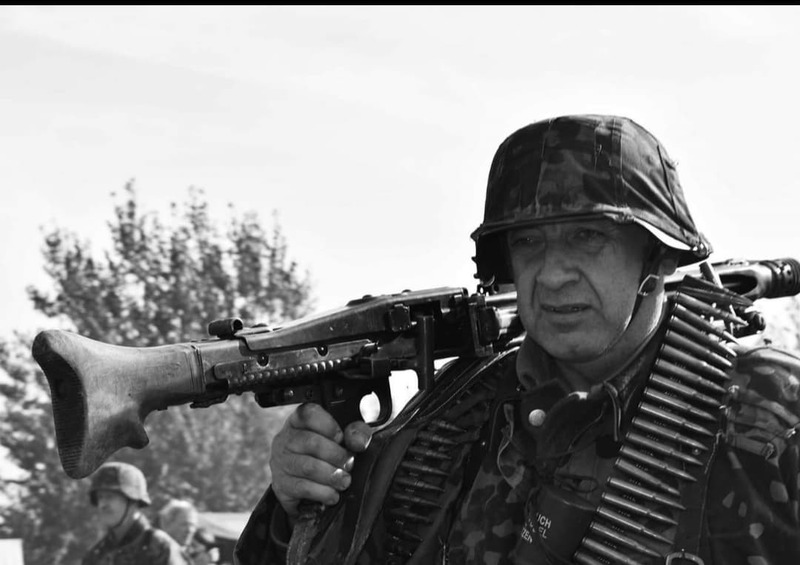 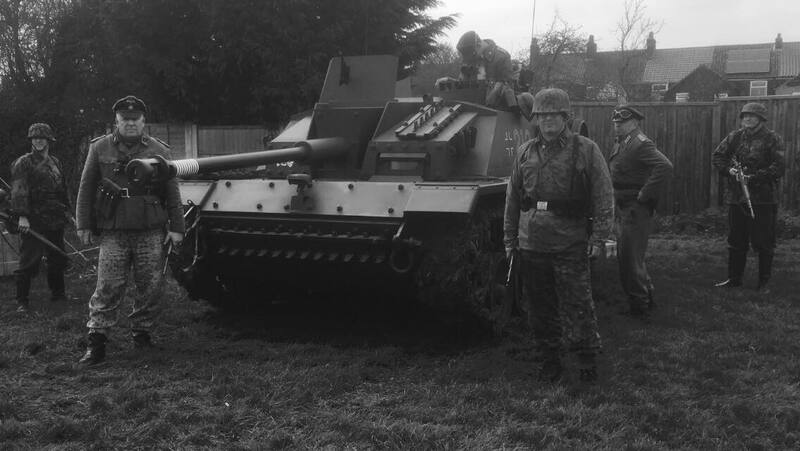 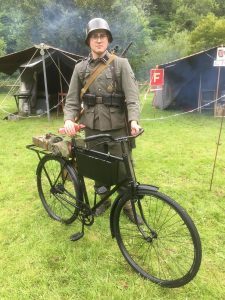 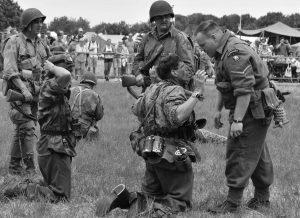 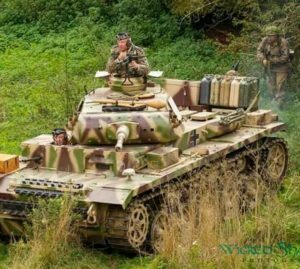 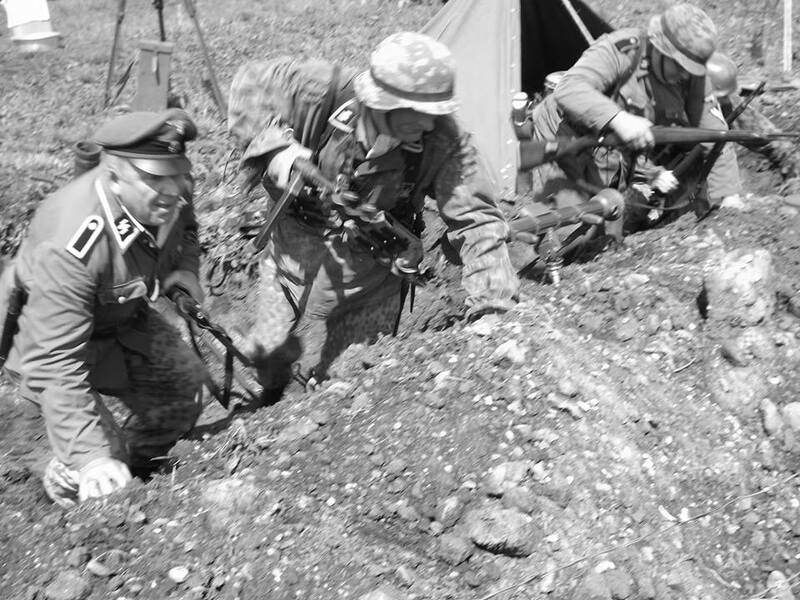 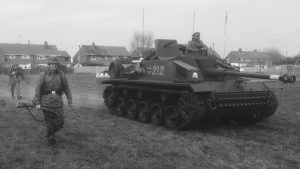 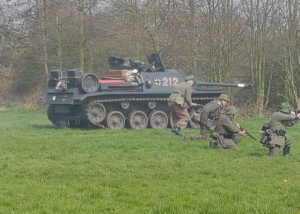 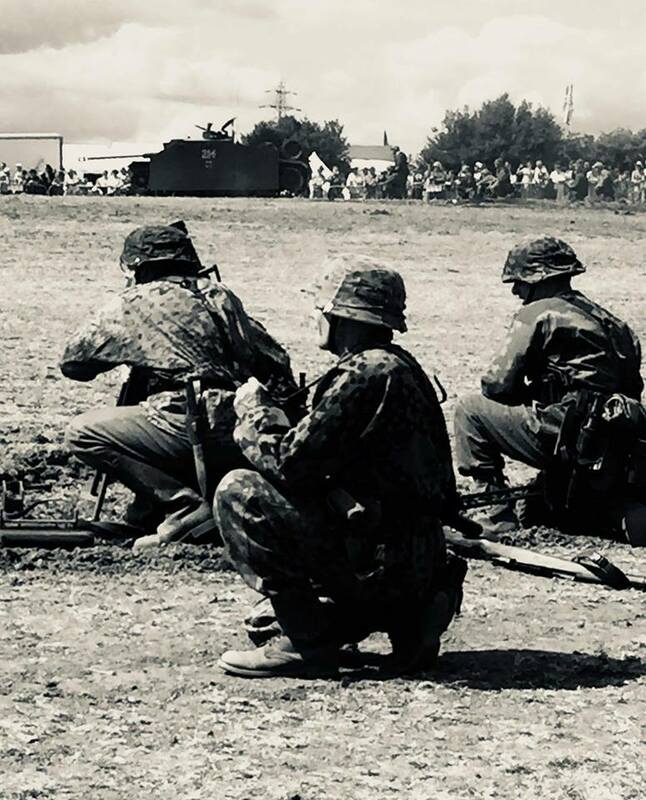 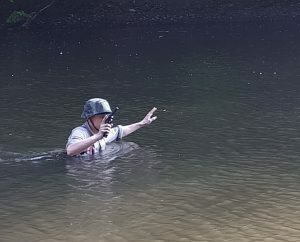 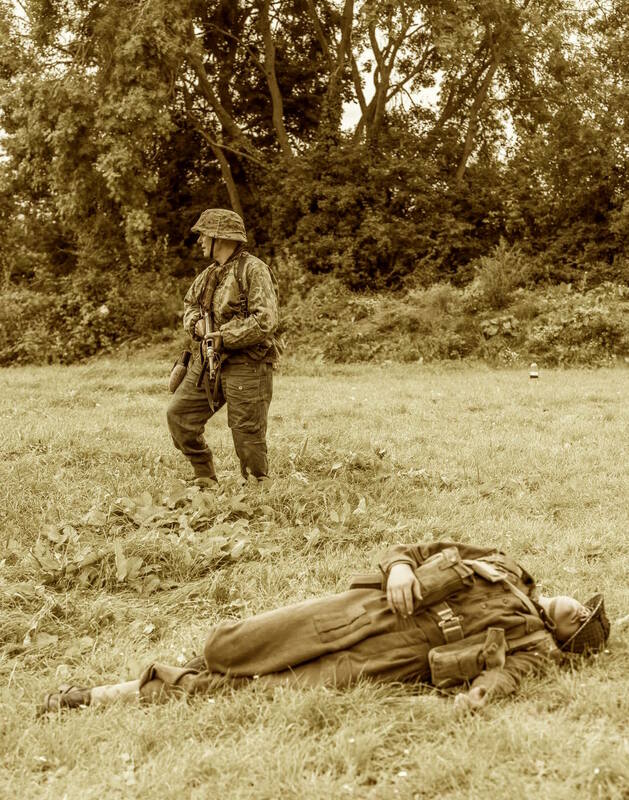 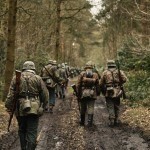 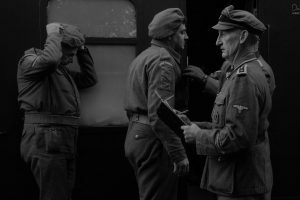 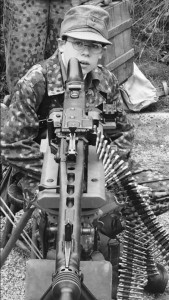 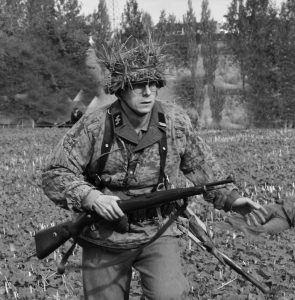 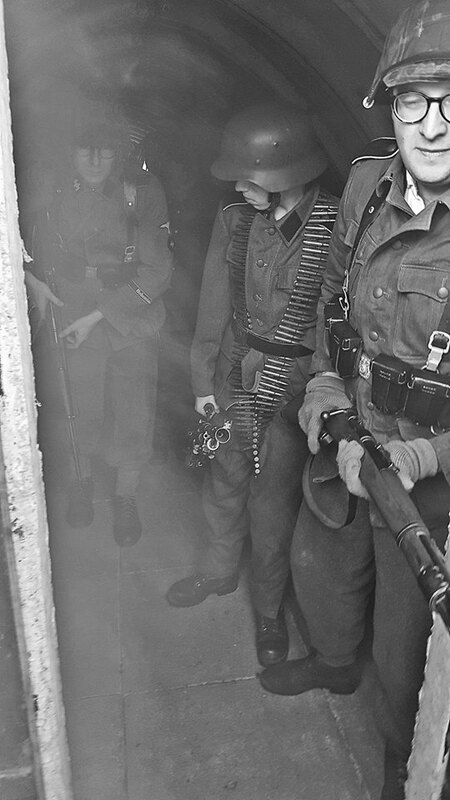 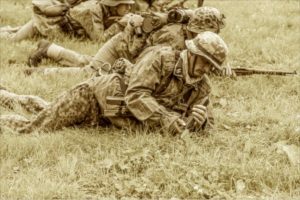 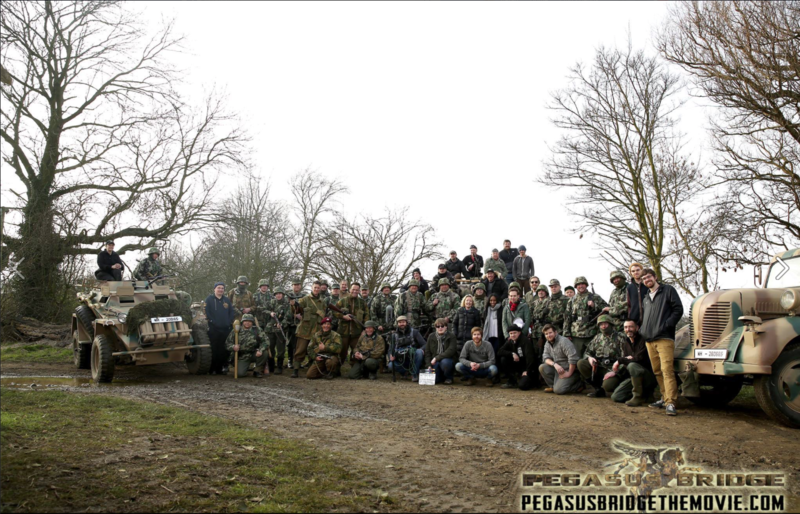 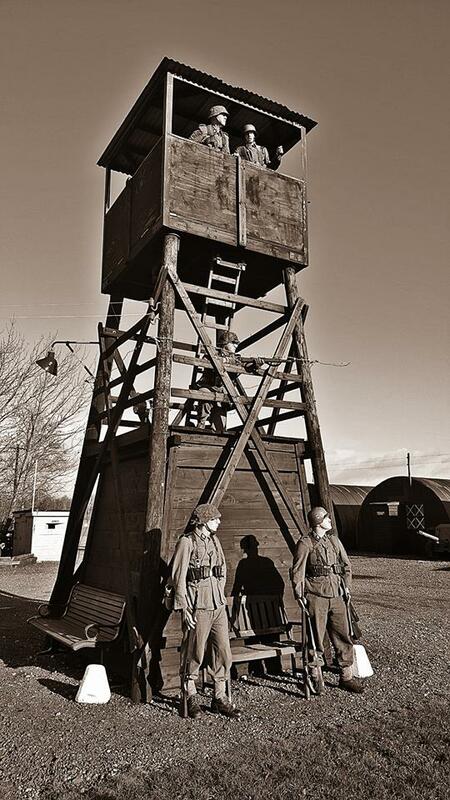 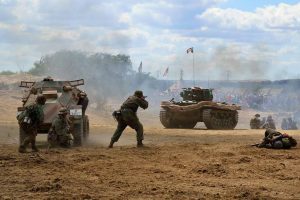 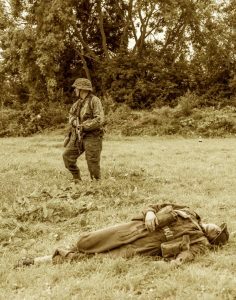 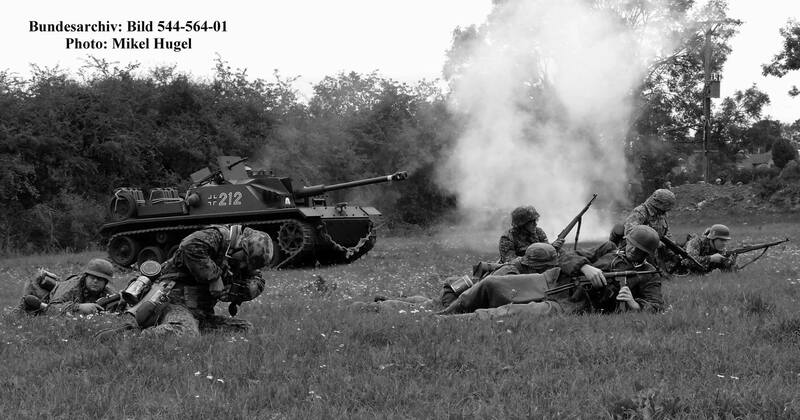 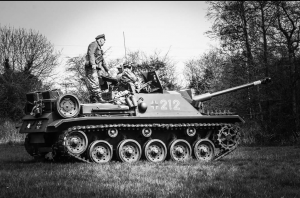 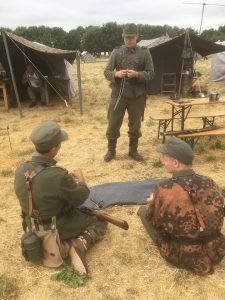 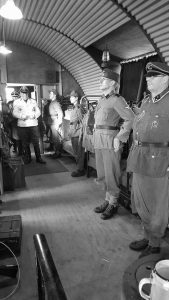 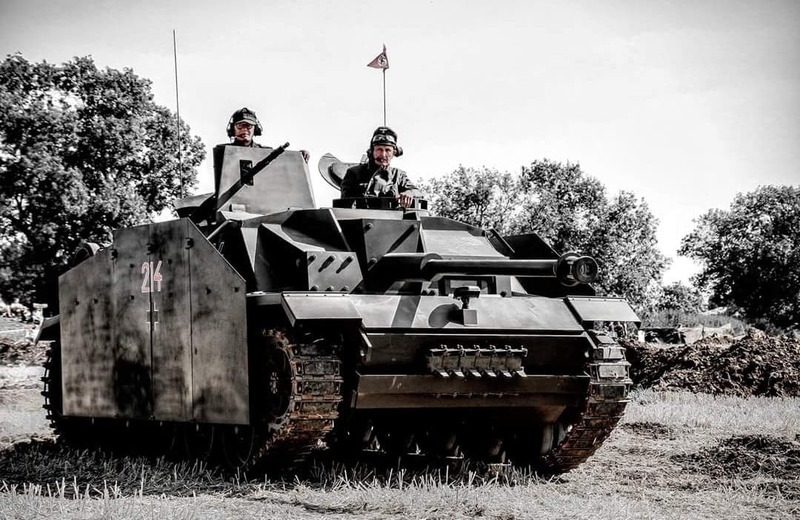 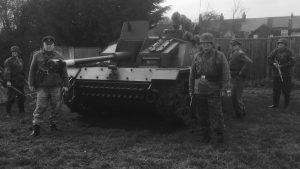 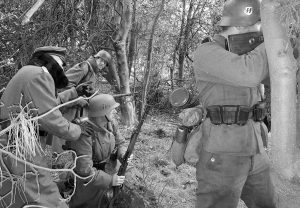 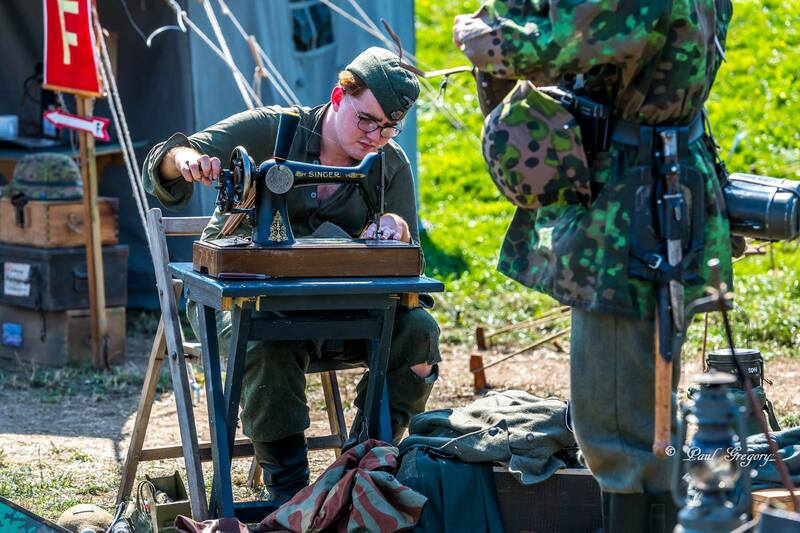 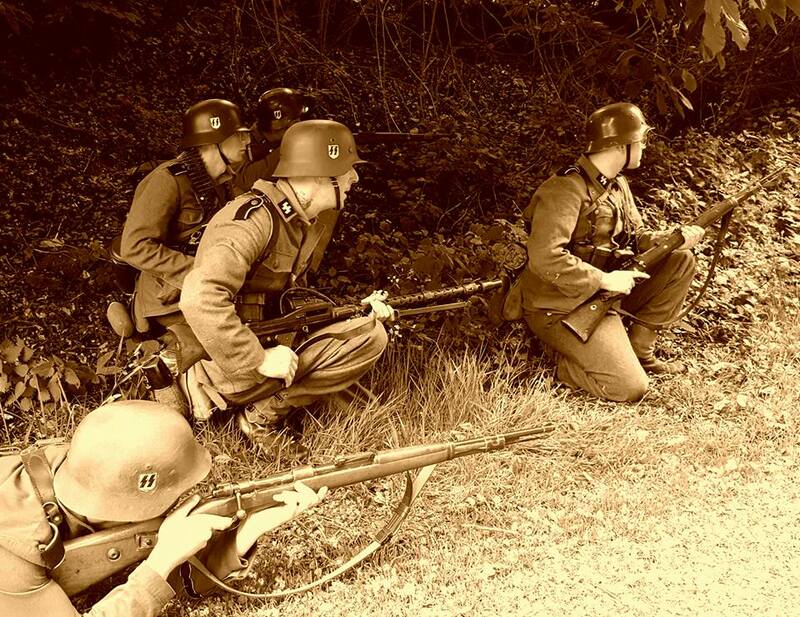 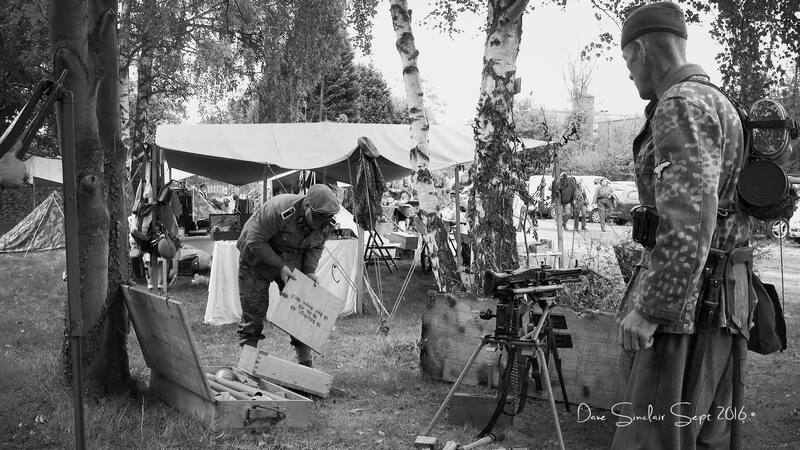 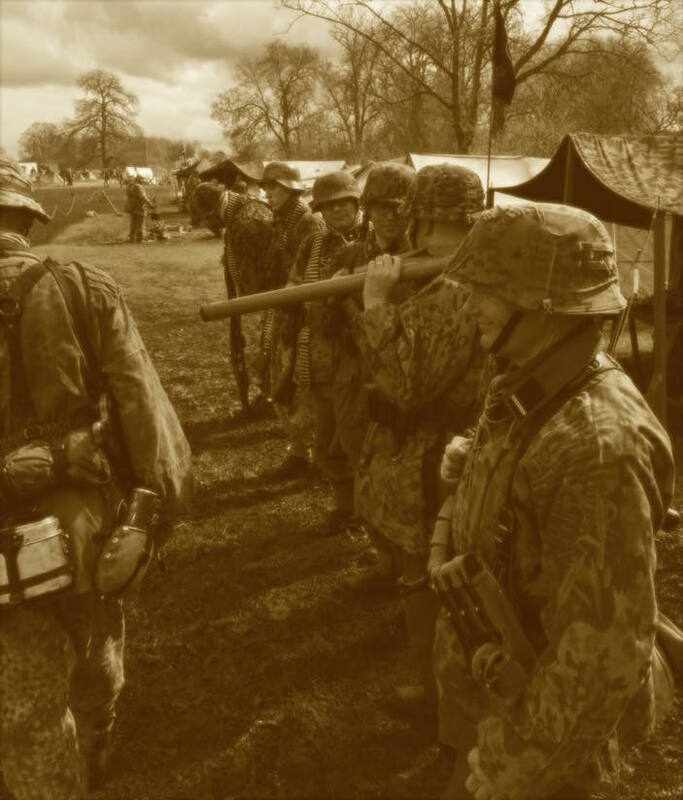 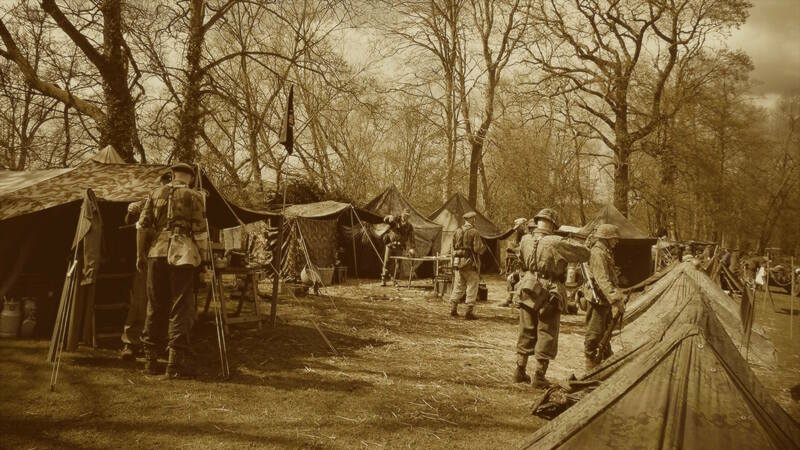 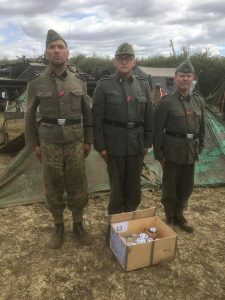 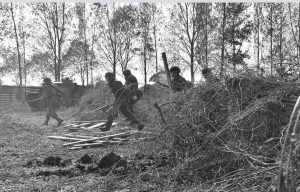 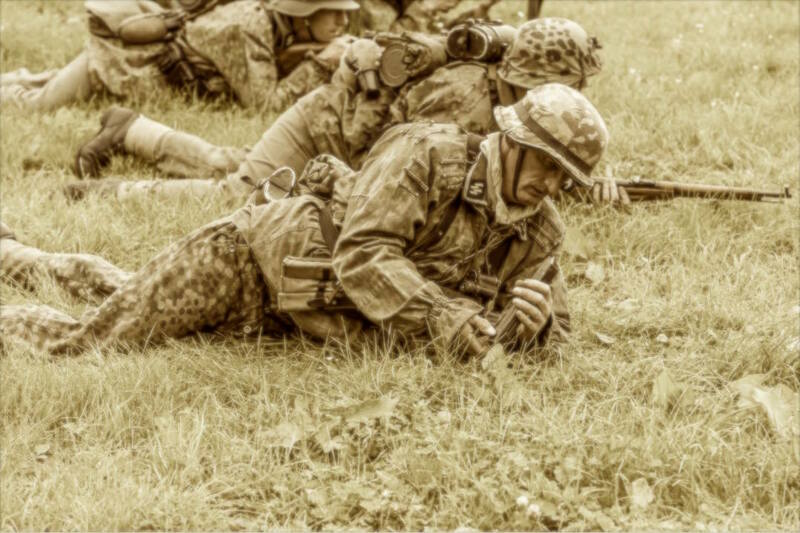 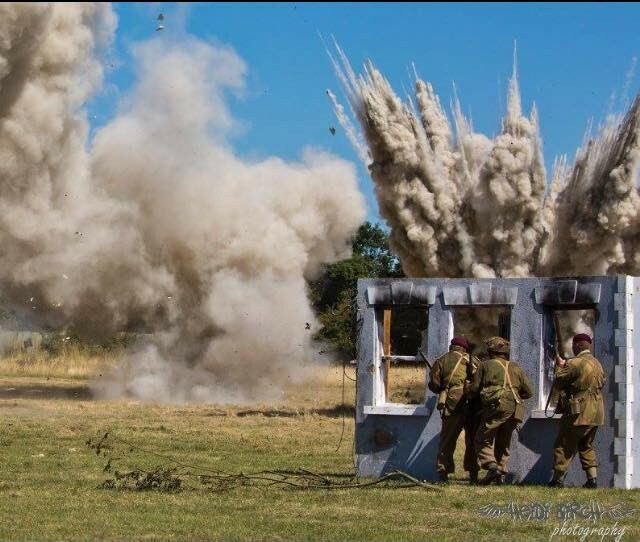 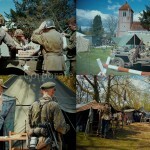 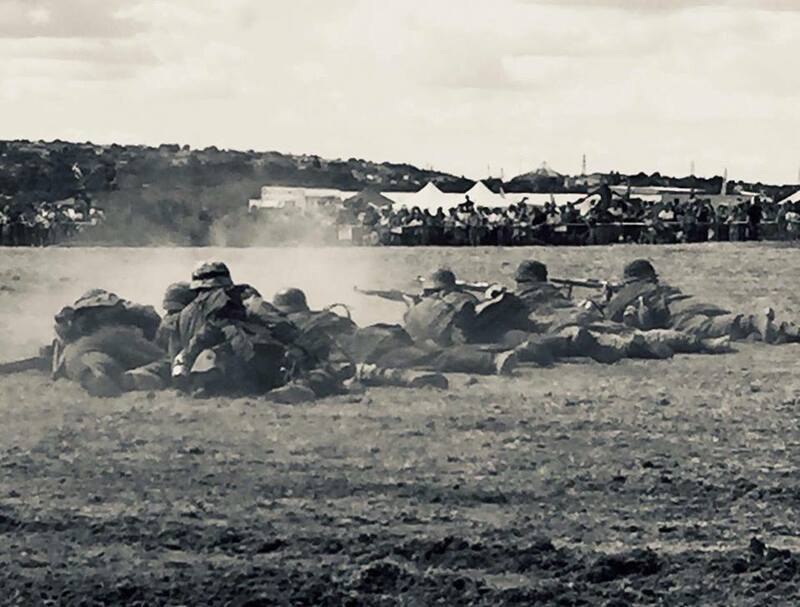 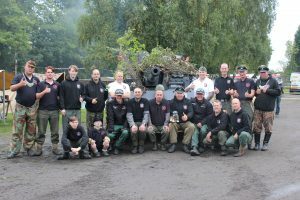 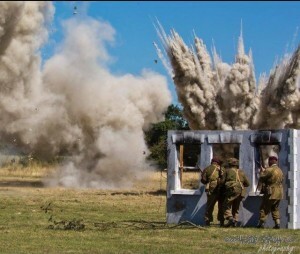 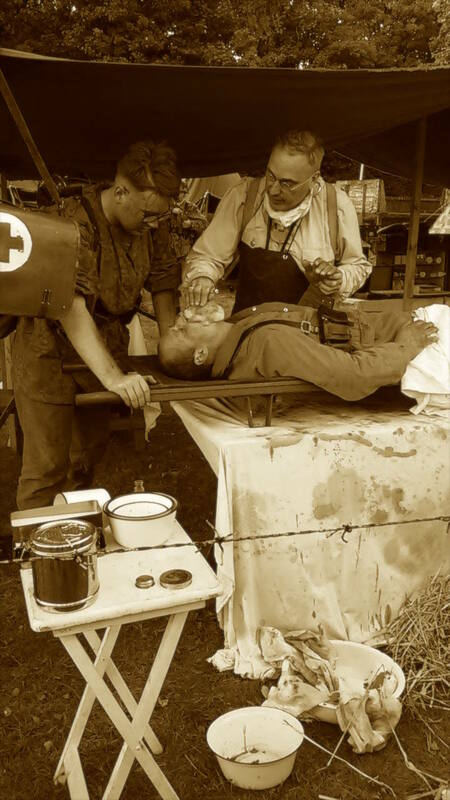 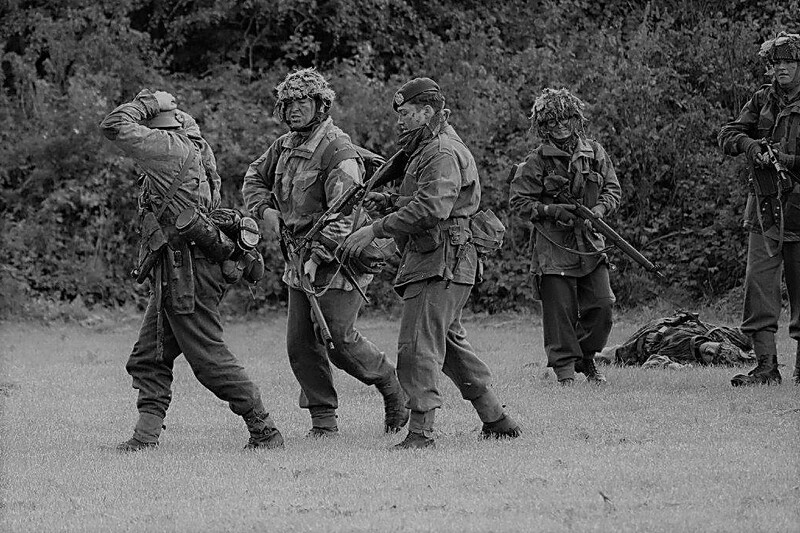 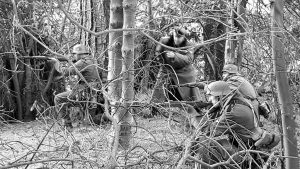 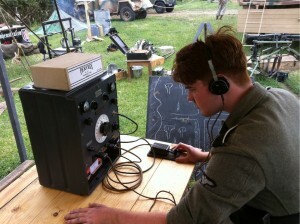 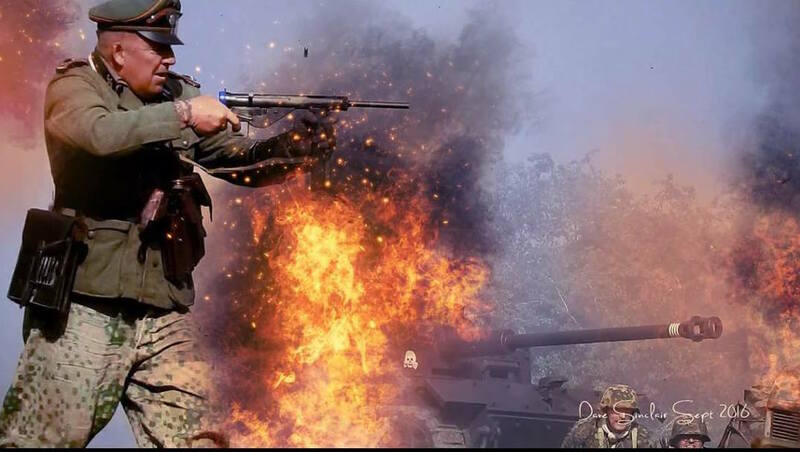 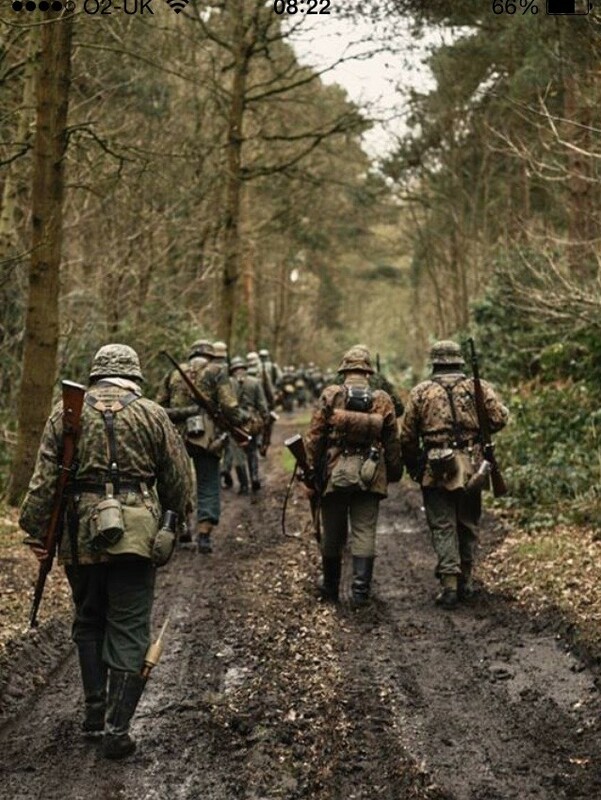 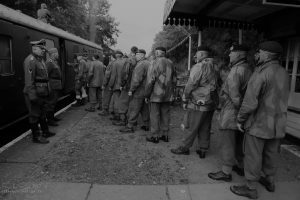 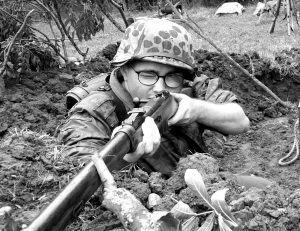 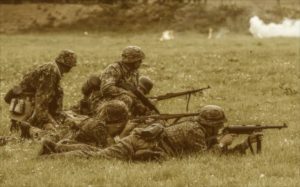 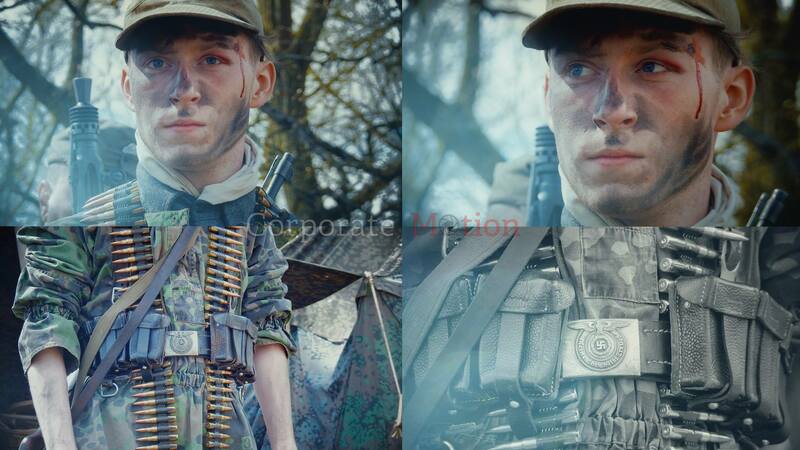 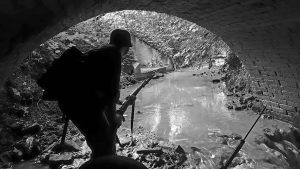 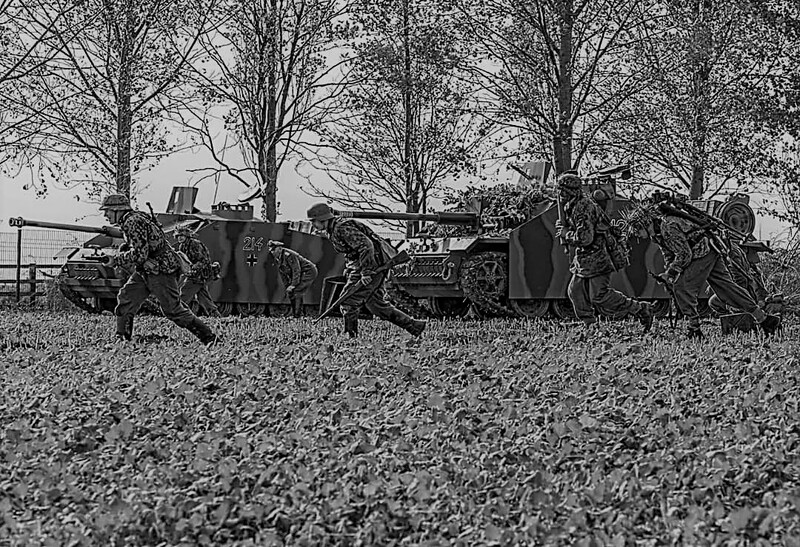 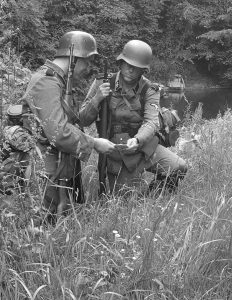 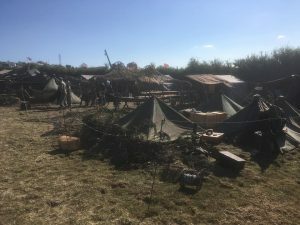 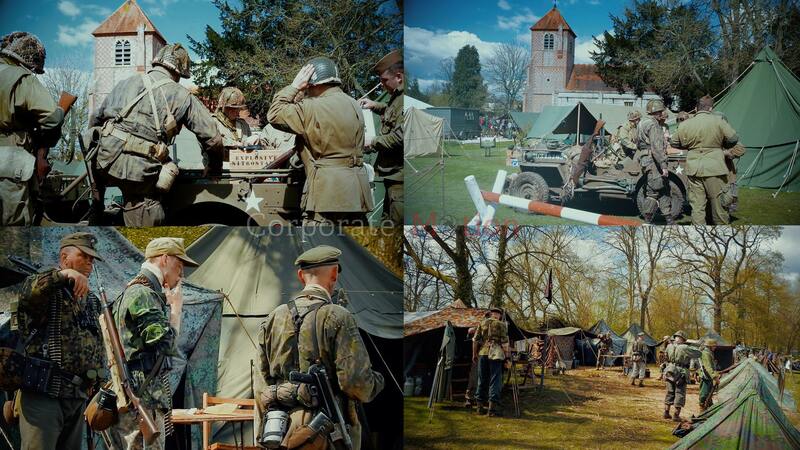 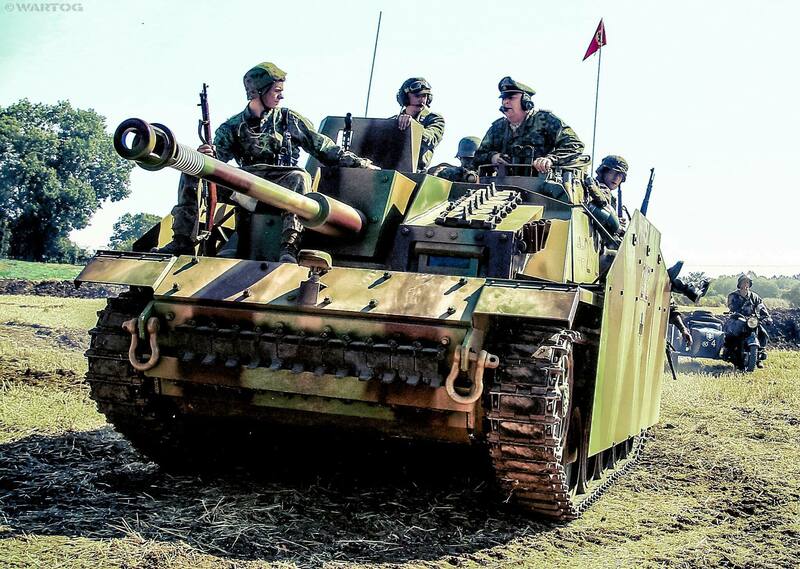 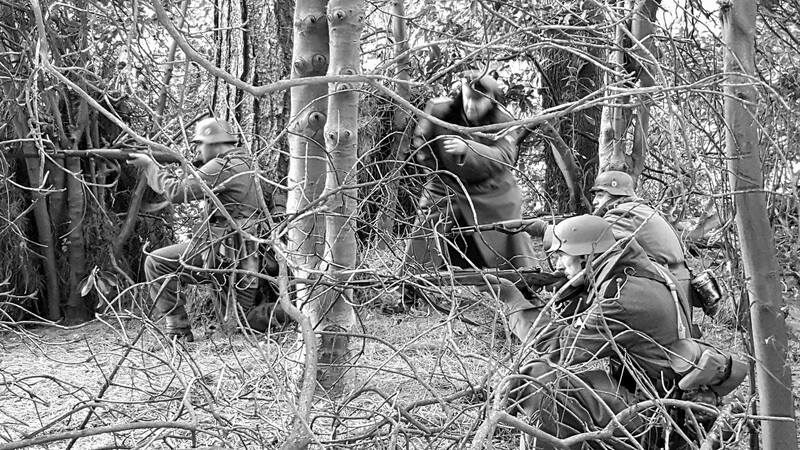 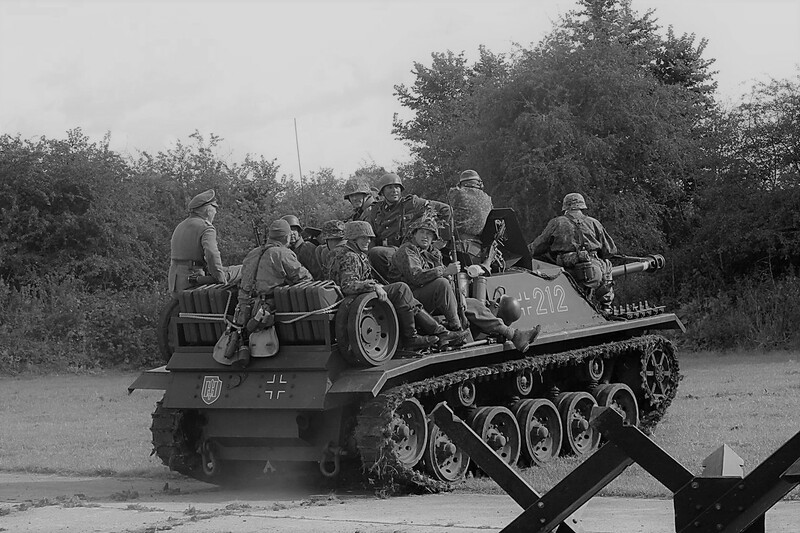 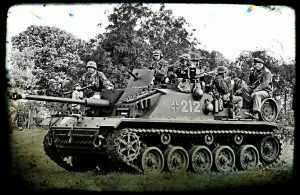 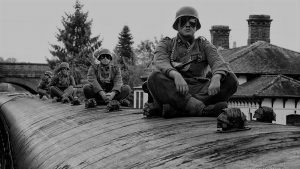 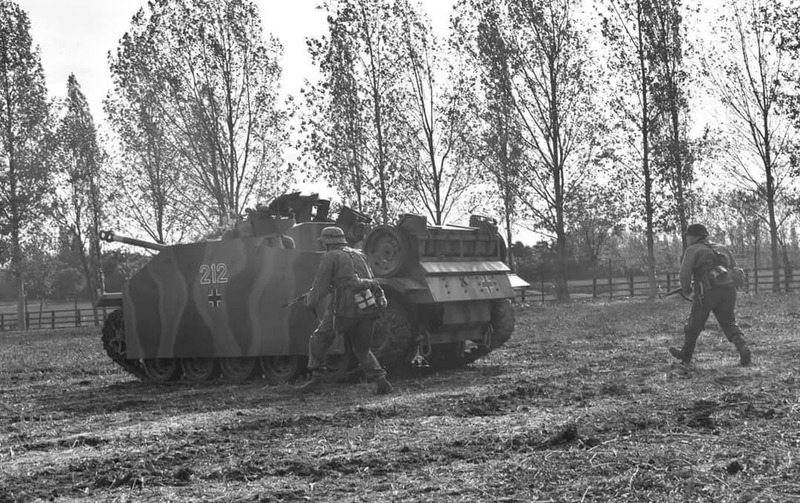 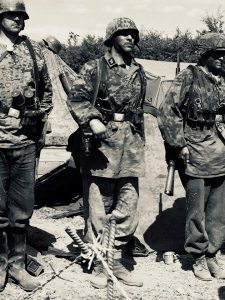 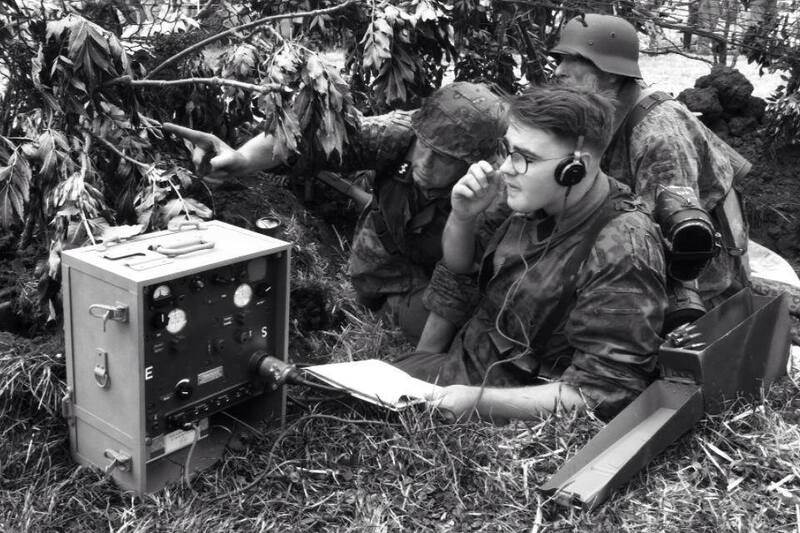 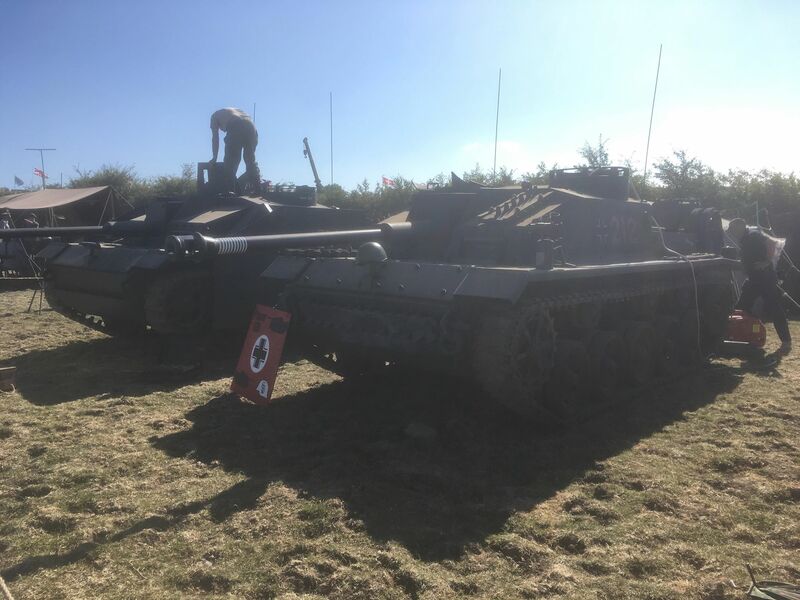 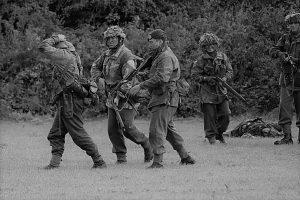 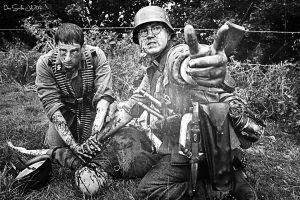 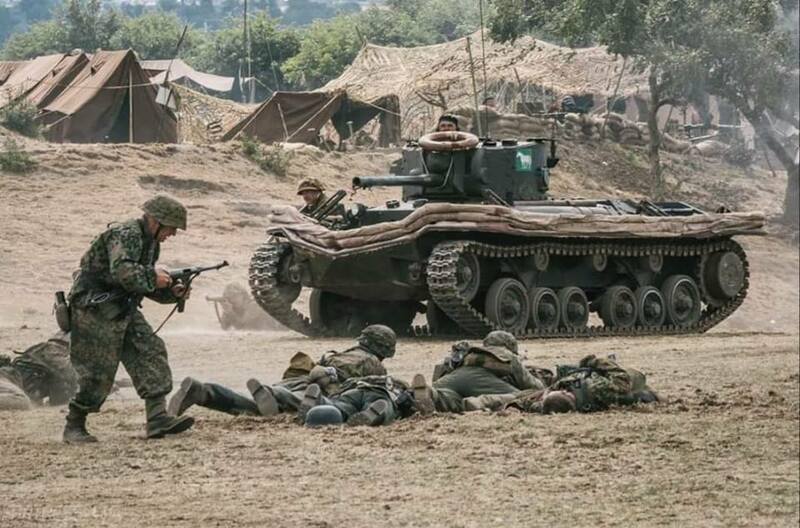 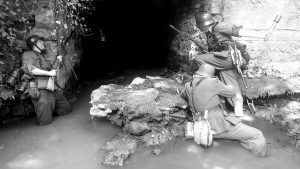 Some great pictures from Operation Market Bosworth with partner re-enactors from 10SS Frundsberg & Kompanie 1 (12SS HJ). 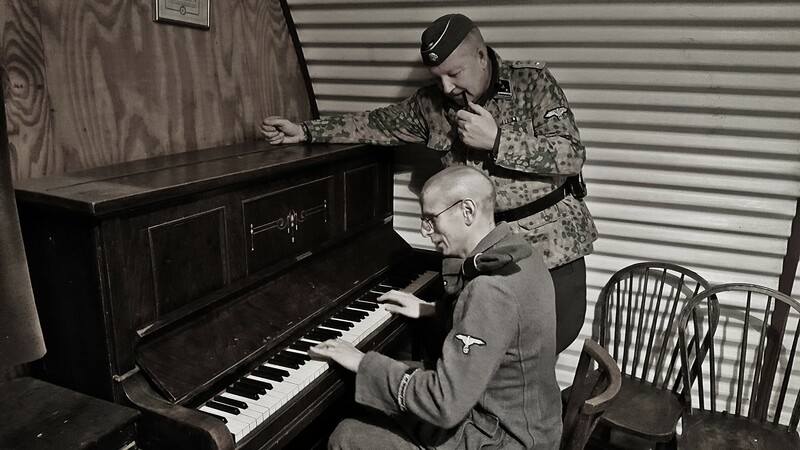 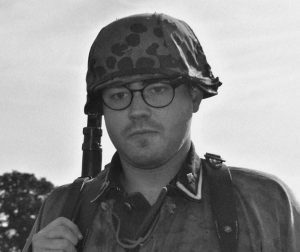 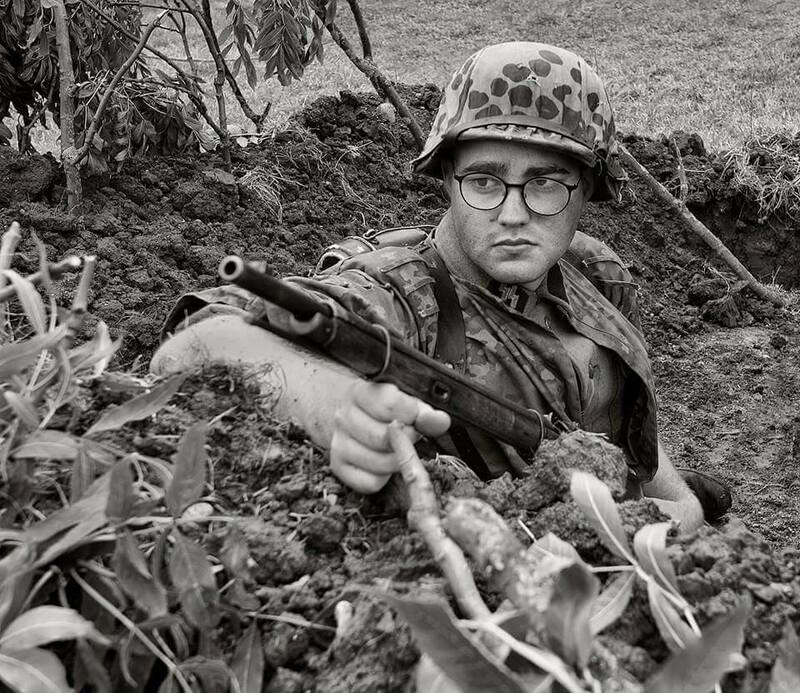 The true face of Re-enacting…. 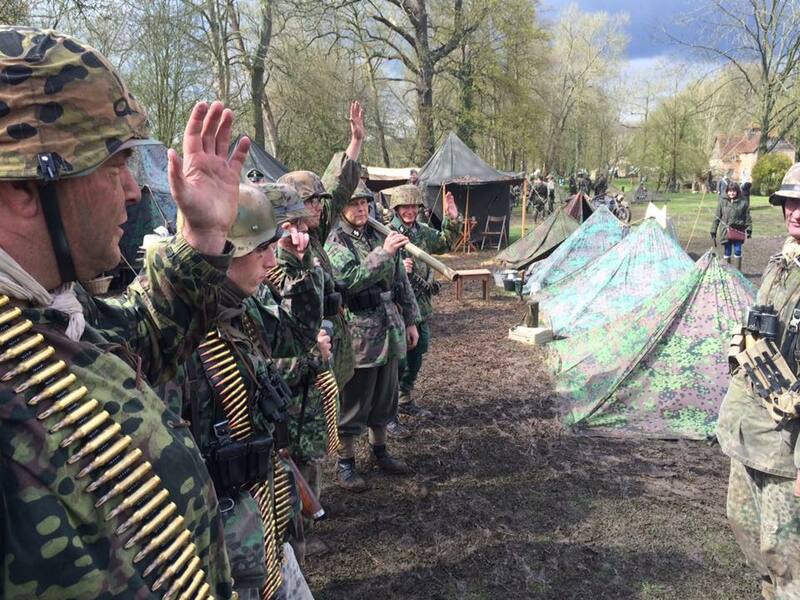 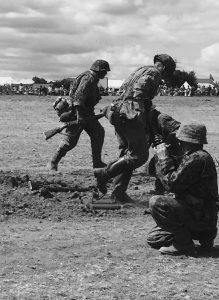 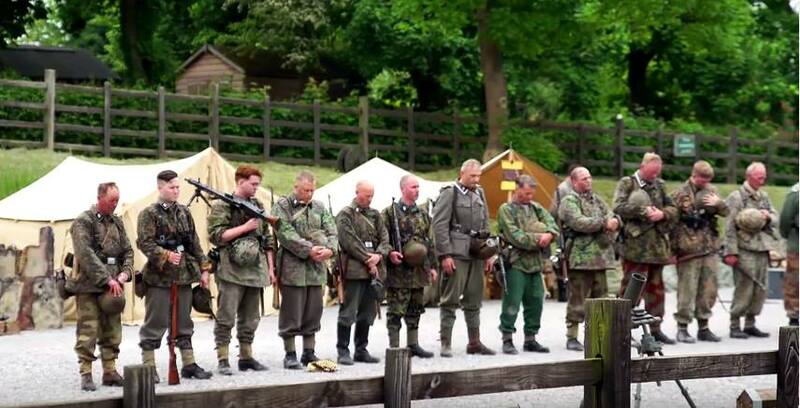 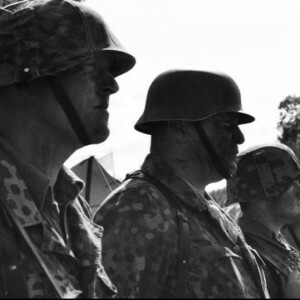 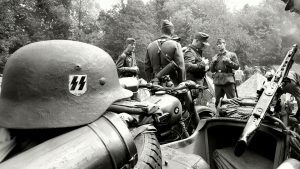 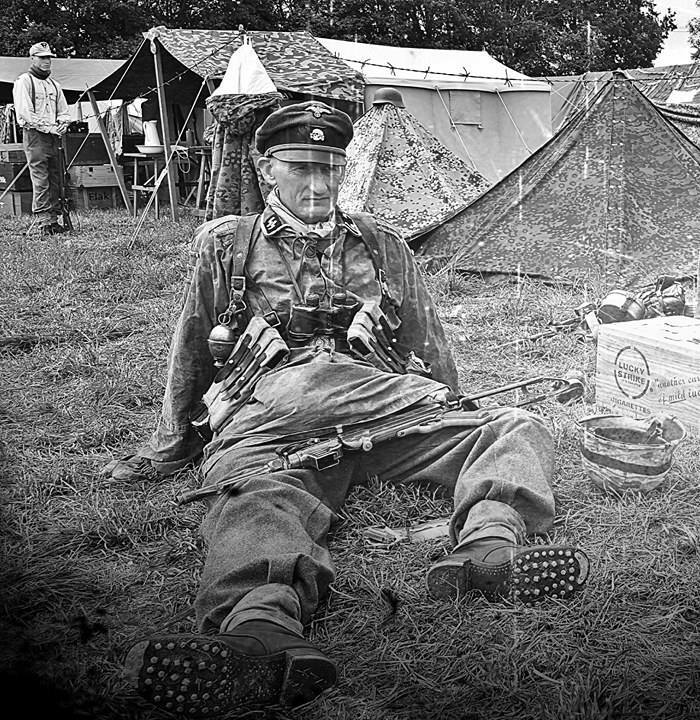 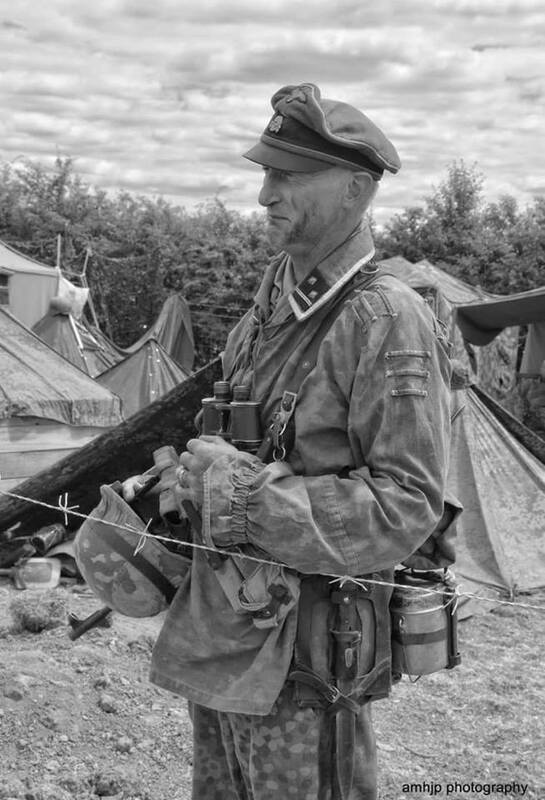 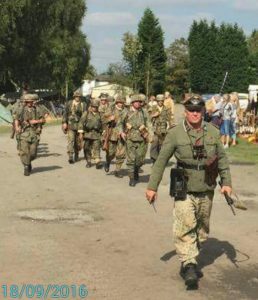 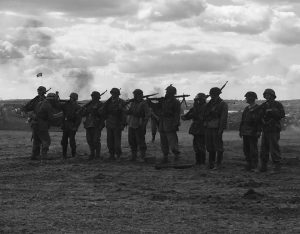 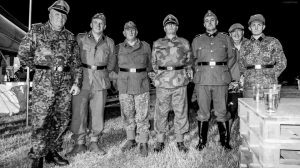 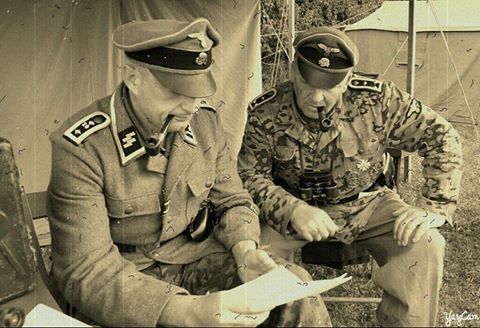 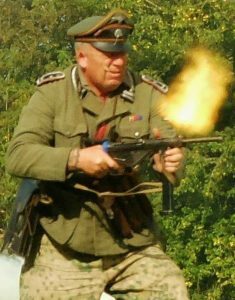 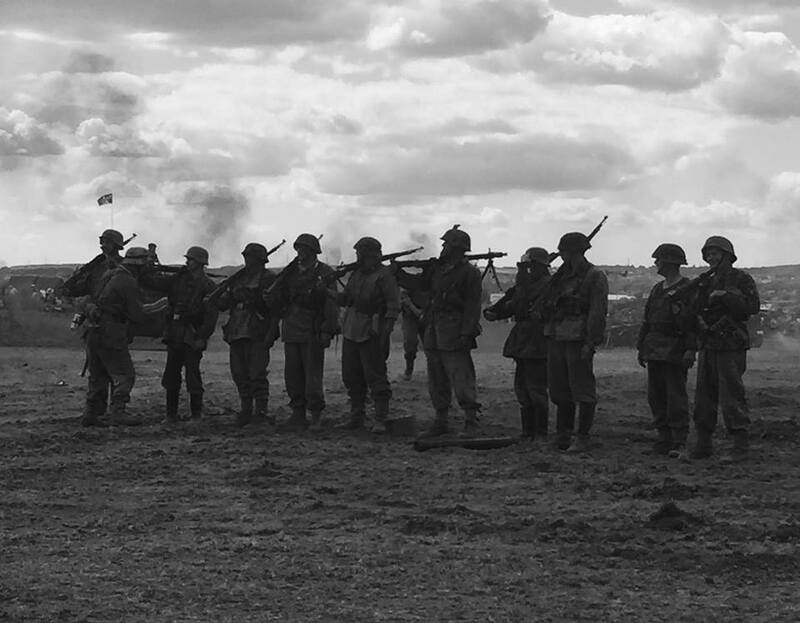 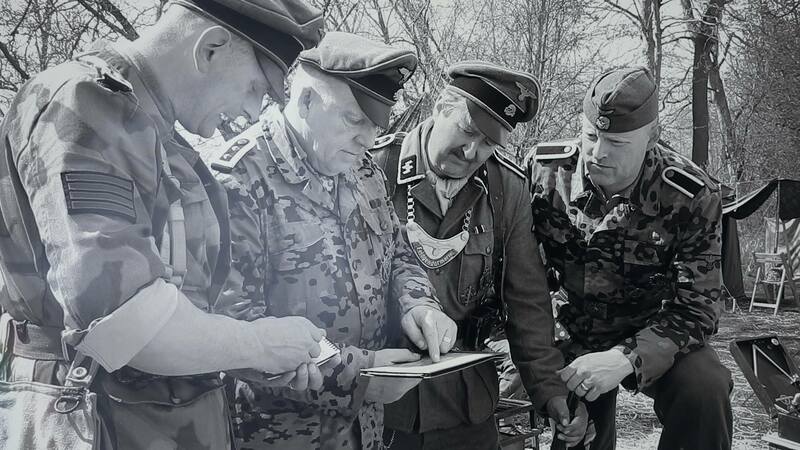 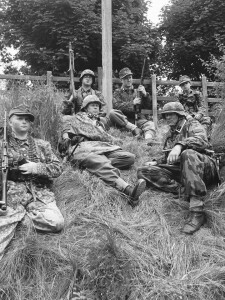 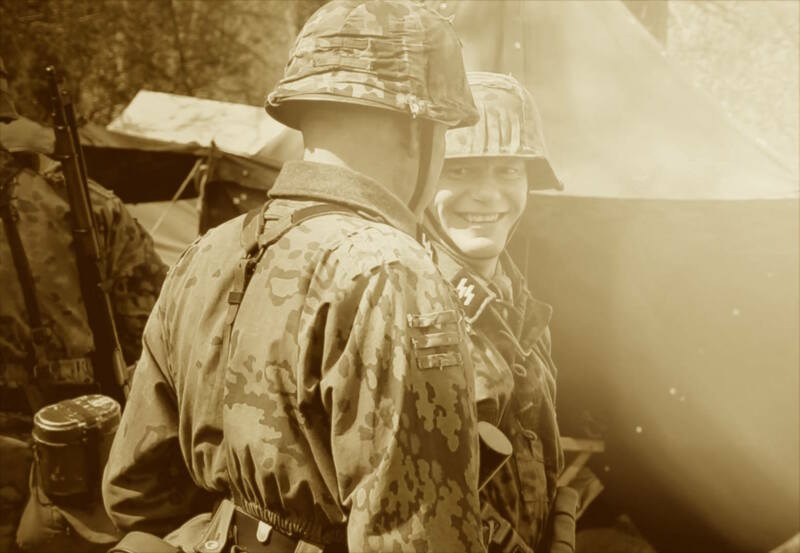 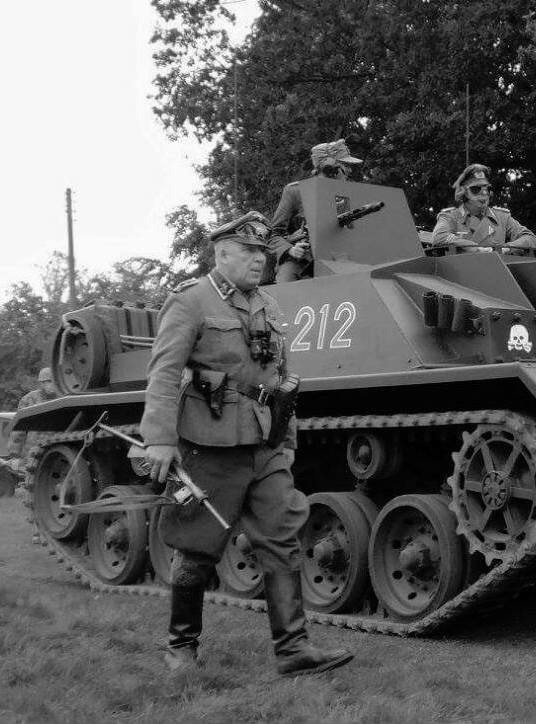 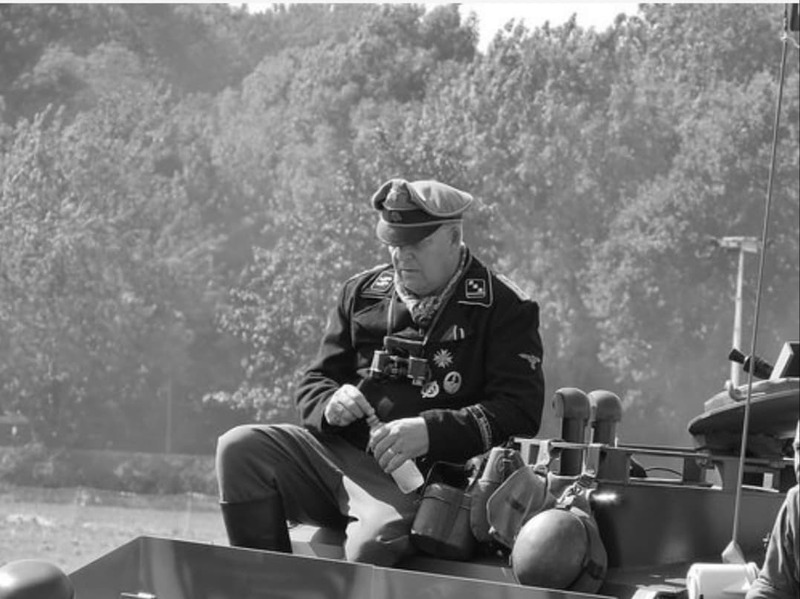 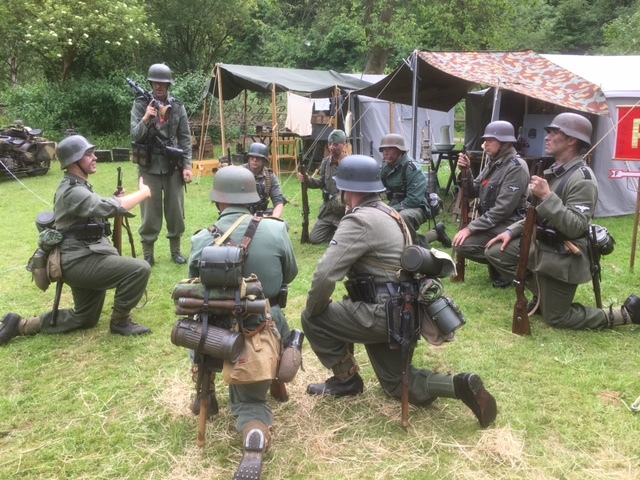 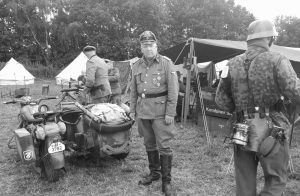 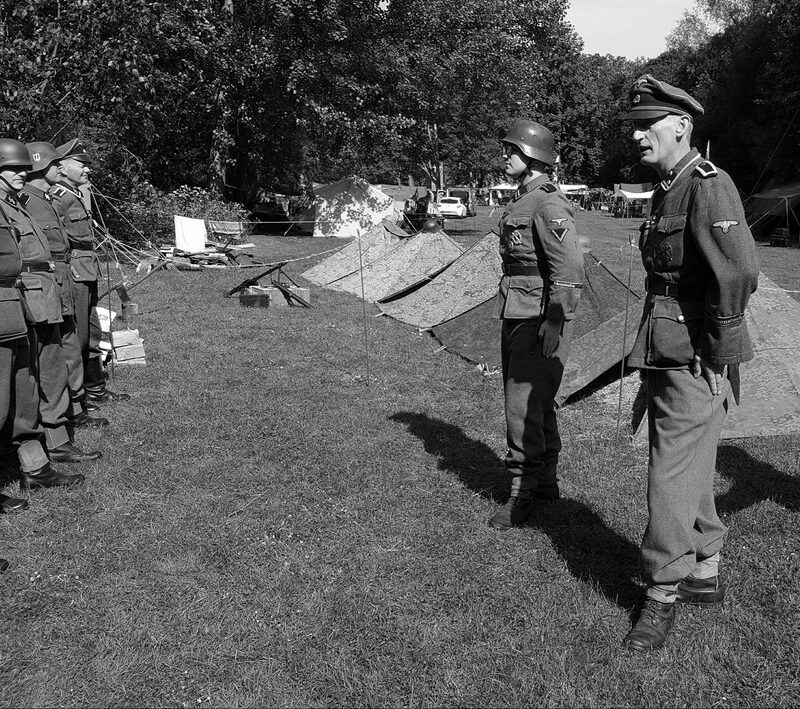 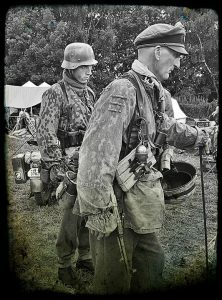 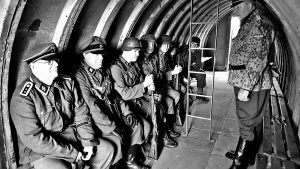 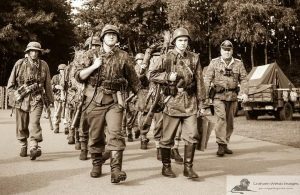 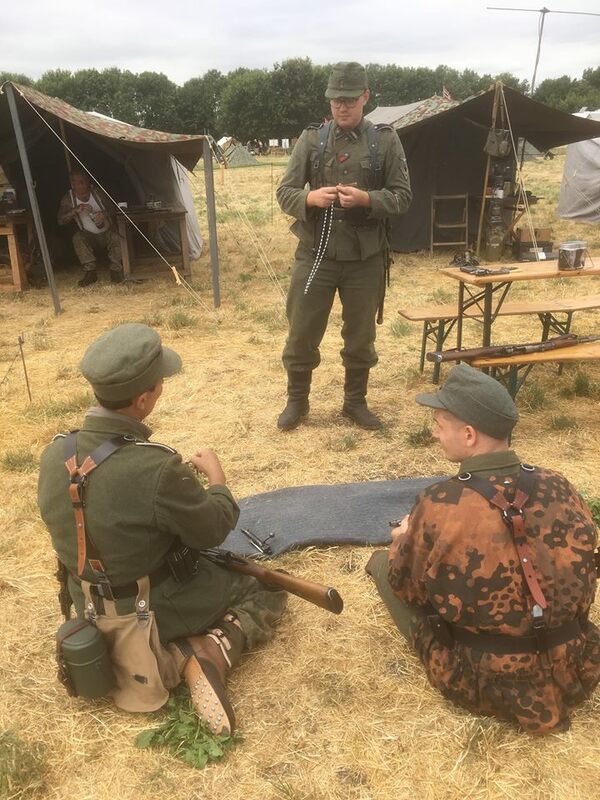 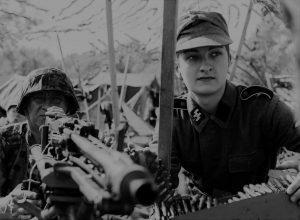 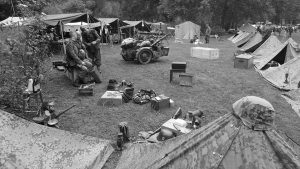 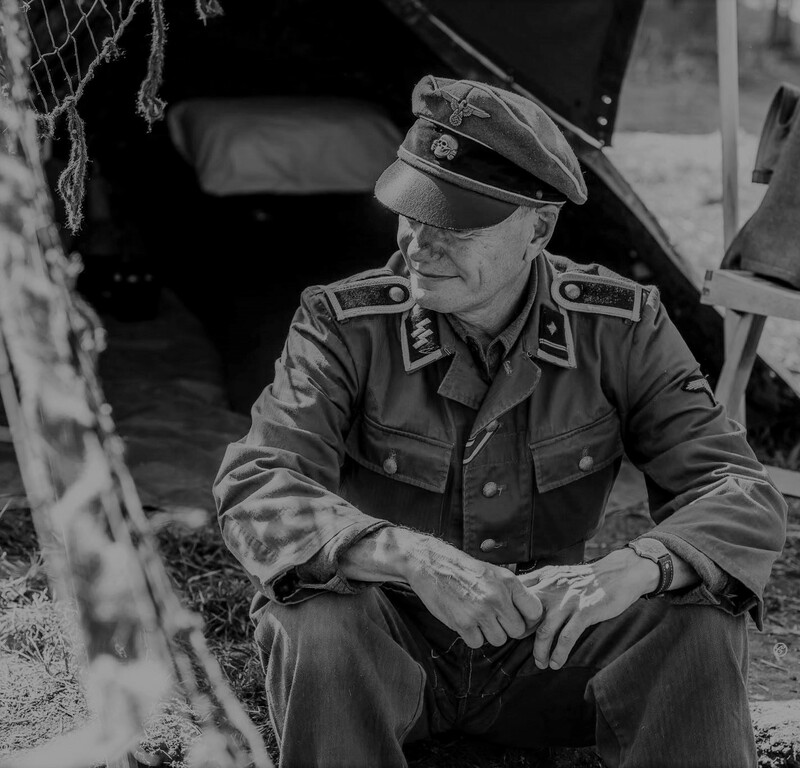 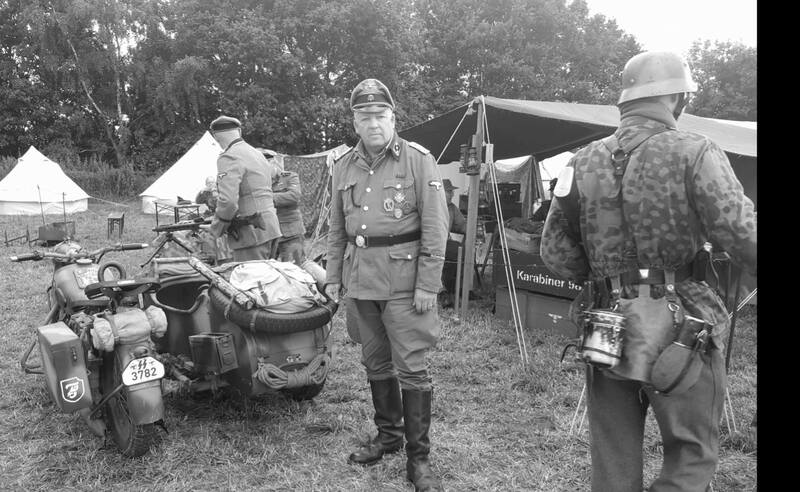 Waffen SS Living History Groups 9ss Hohenstaufen and Kompanie 1 (12ss) at Mapledurham 2016. 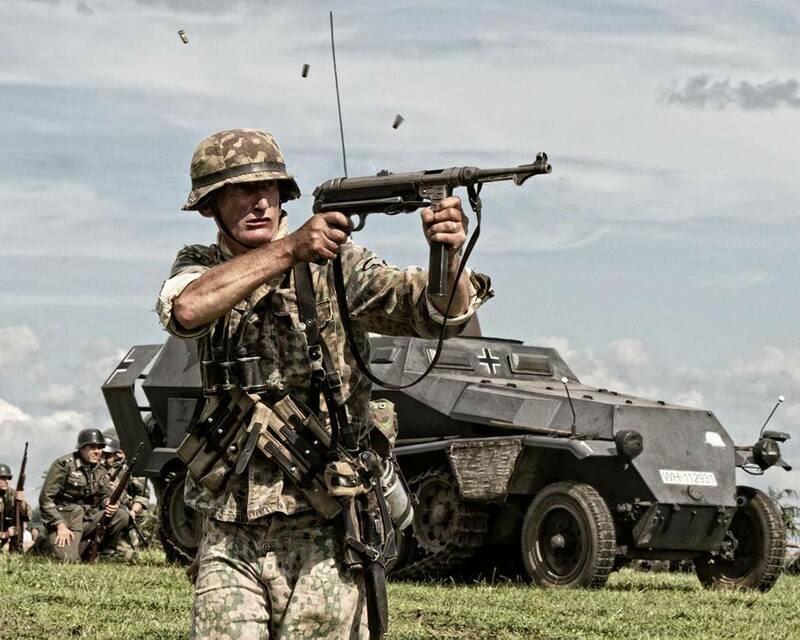 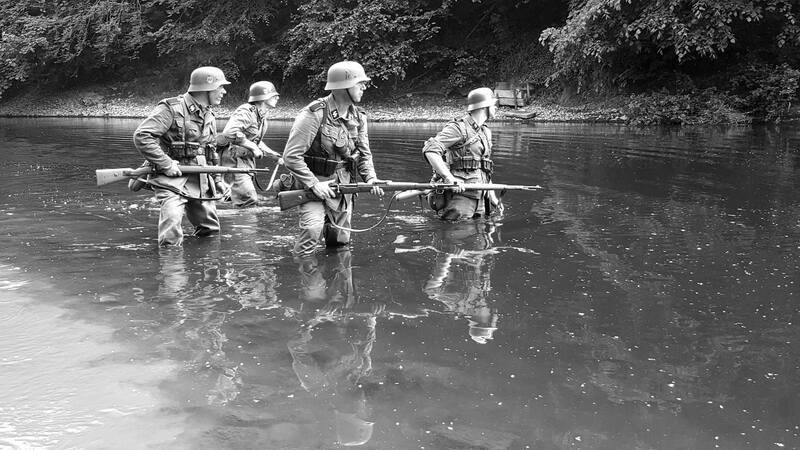 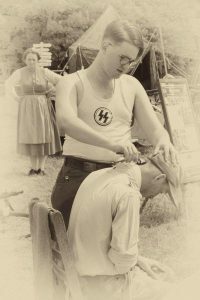 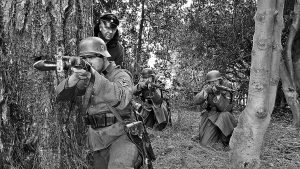 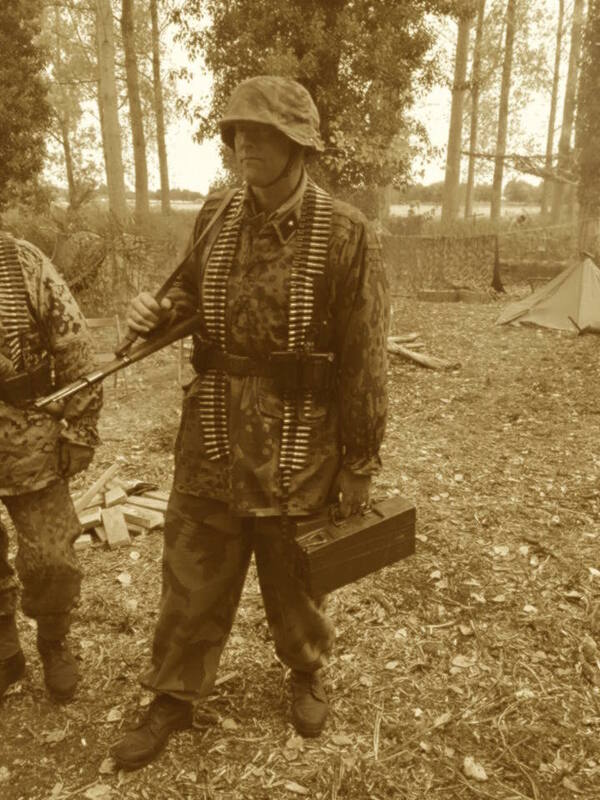 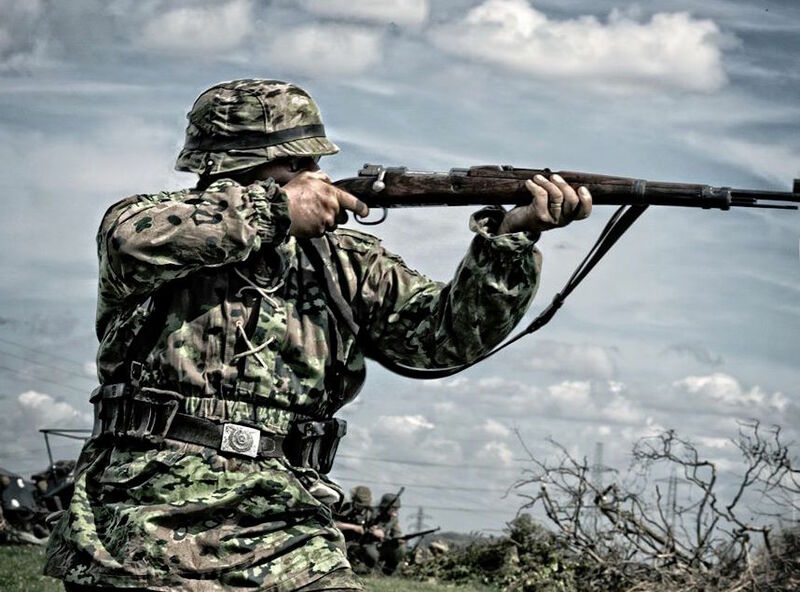 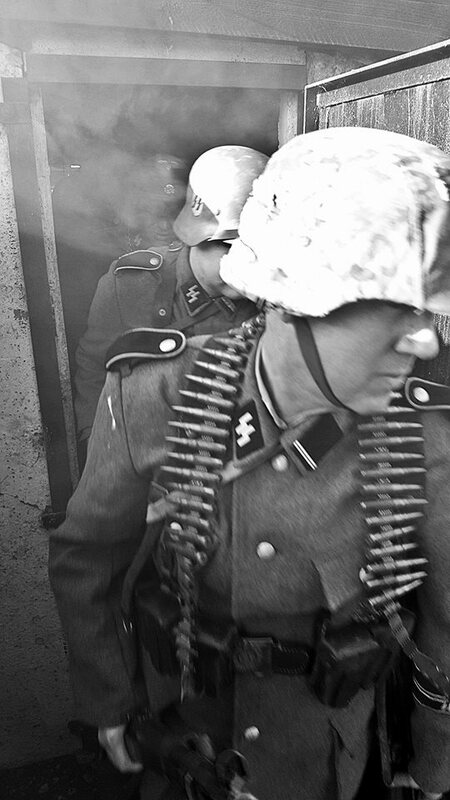 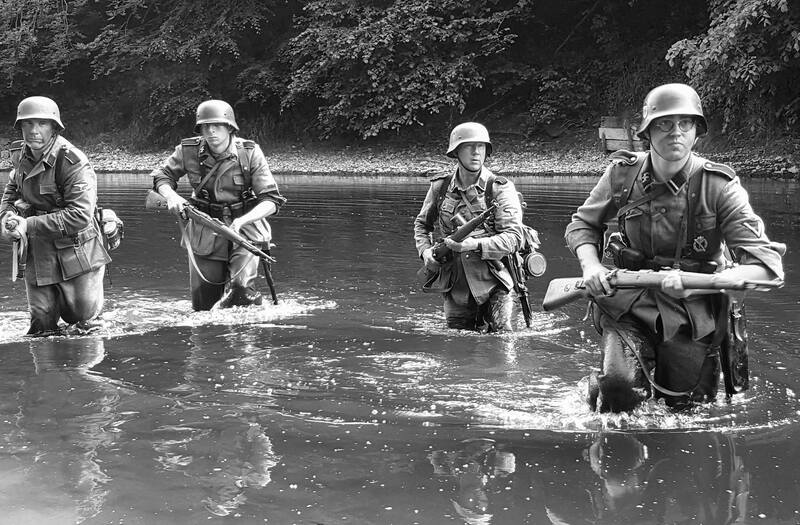 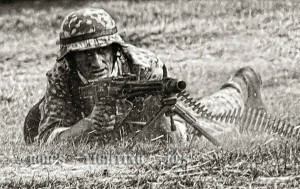 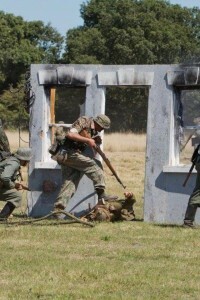 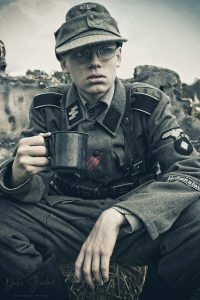 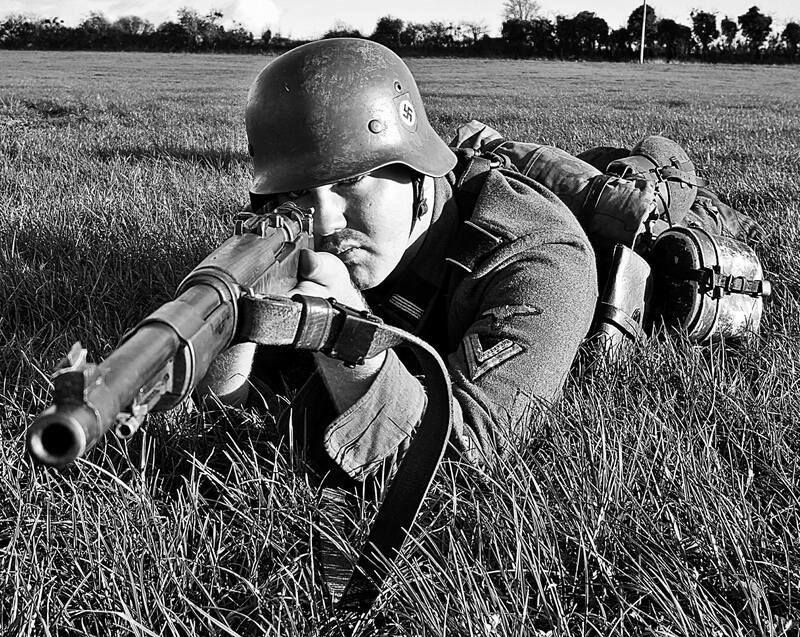 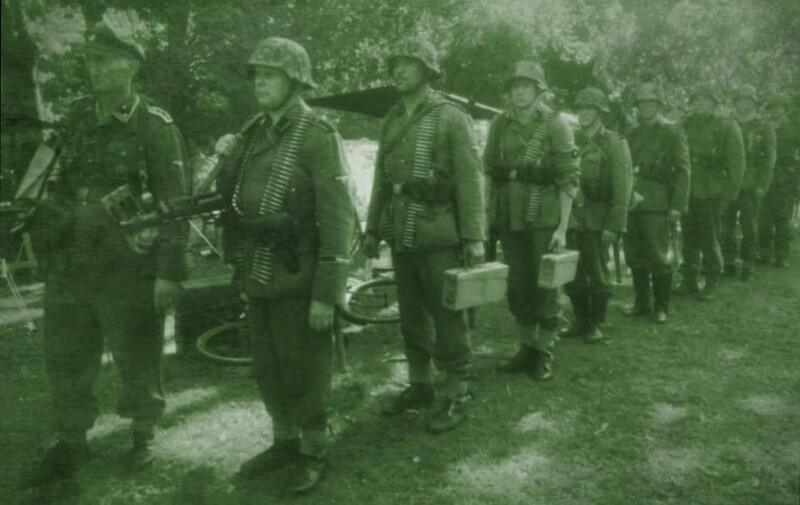 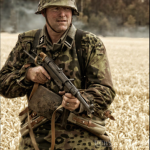 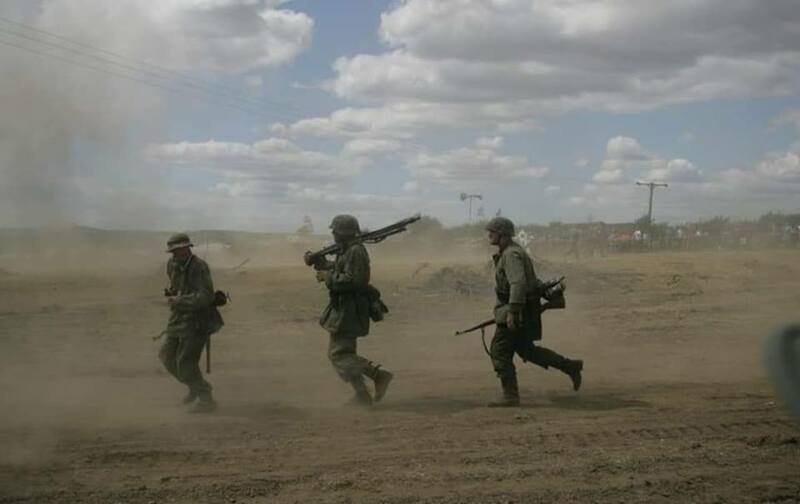 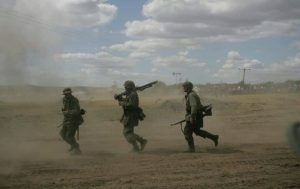 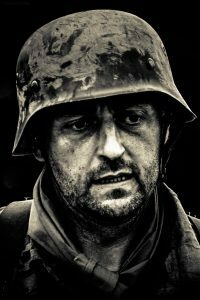 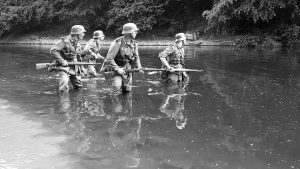 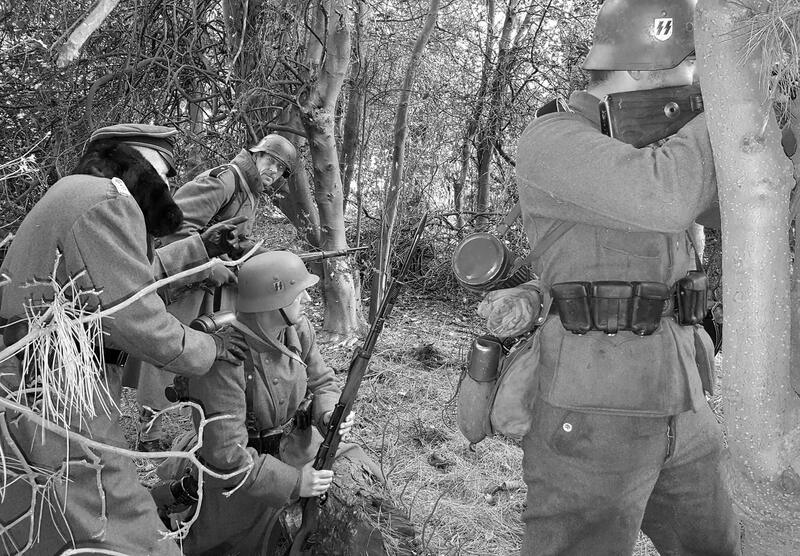 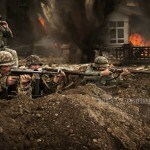 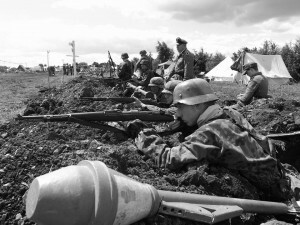 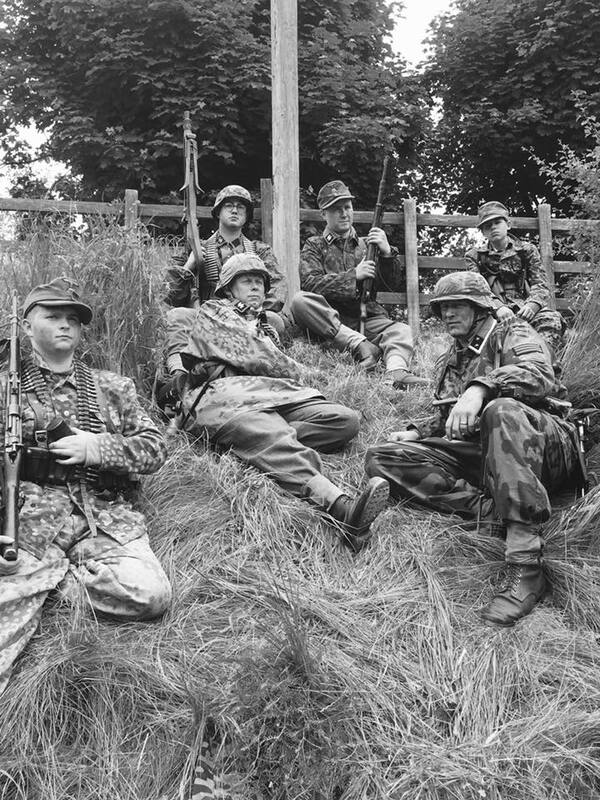 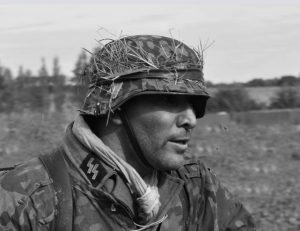 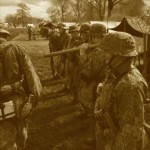 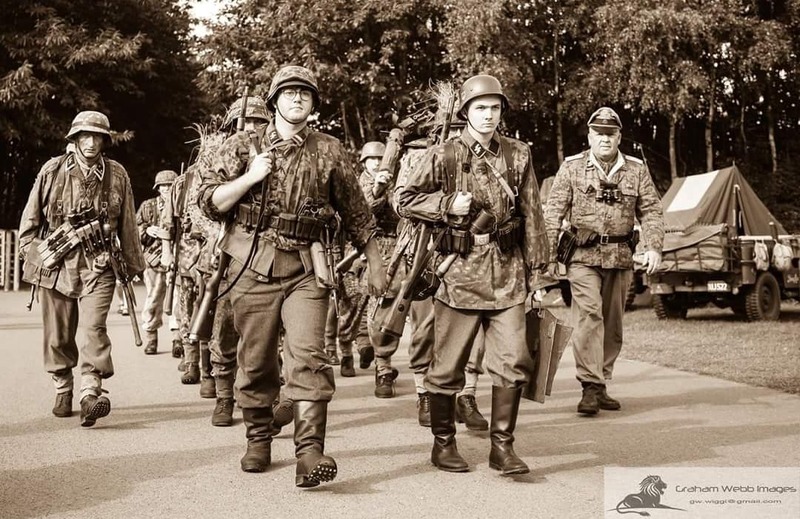 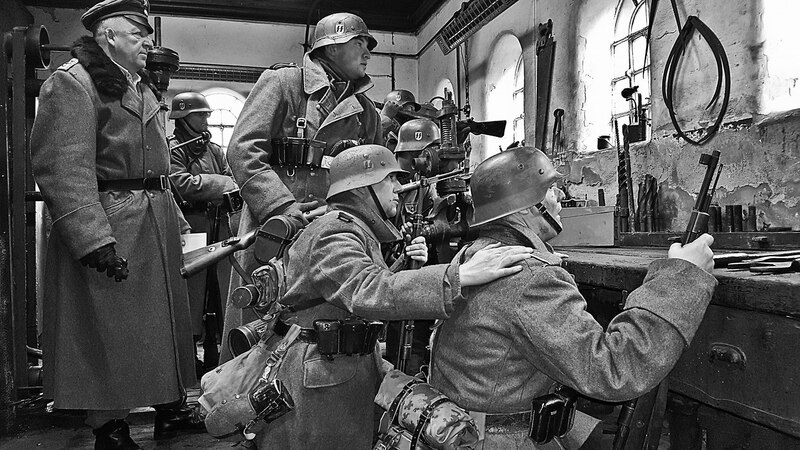 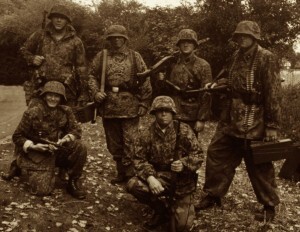 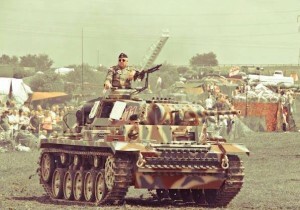 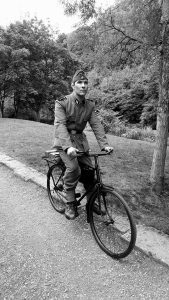 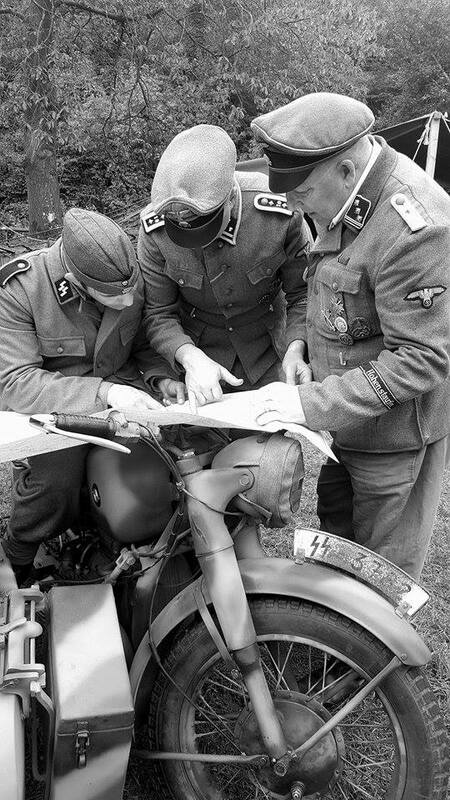 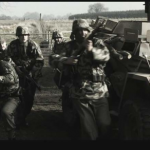 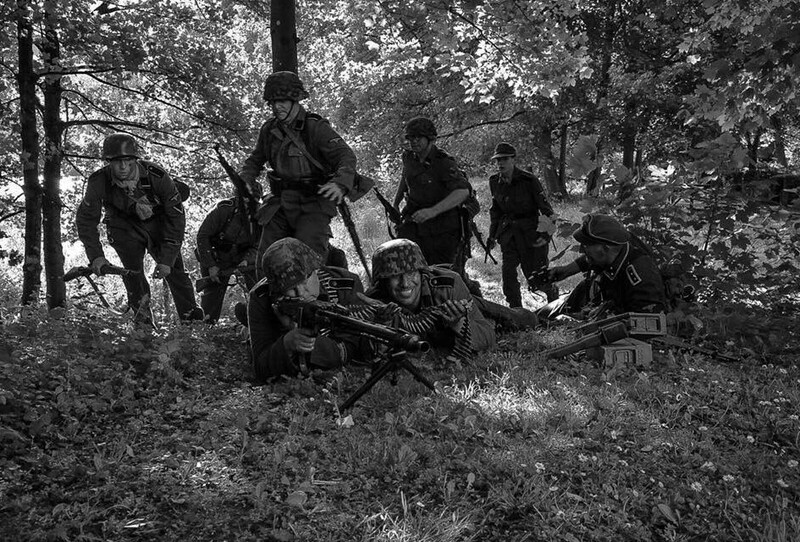 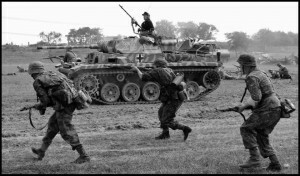 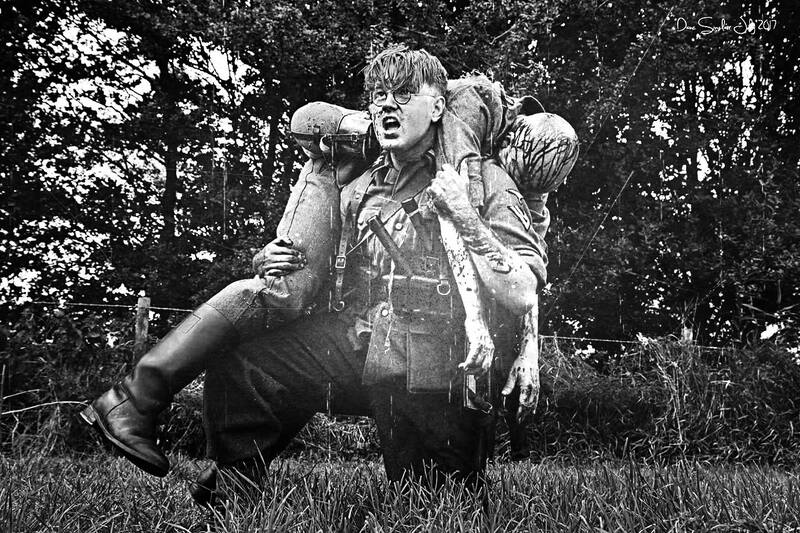 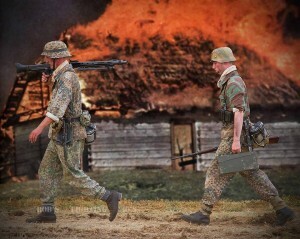 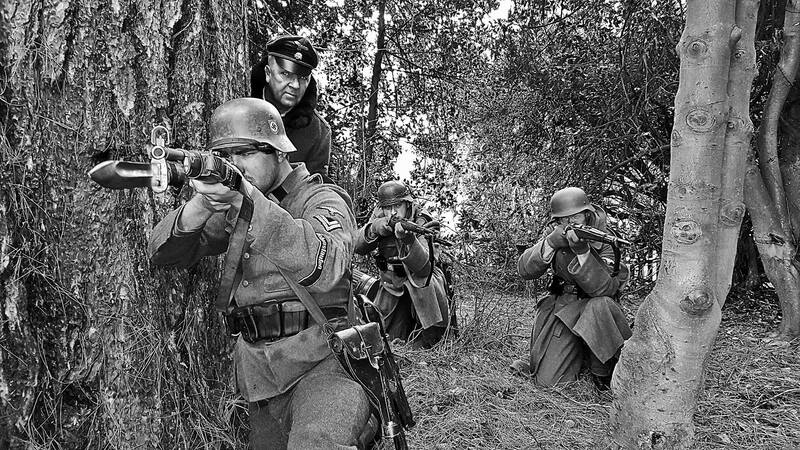 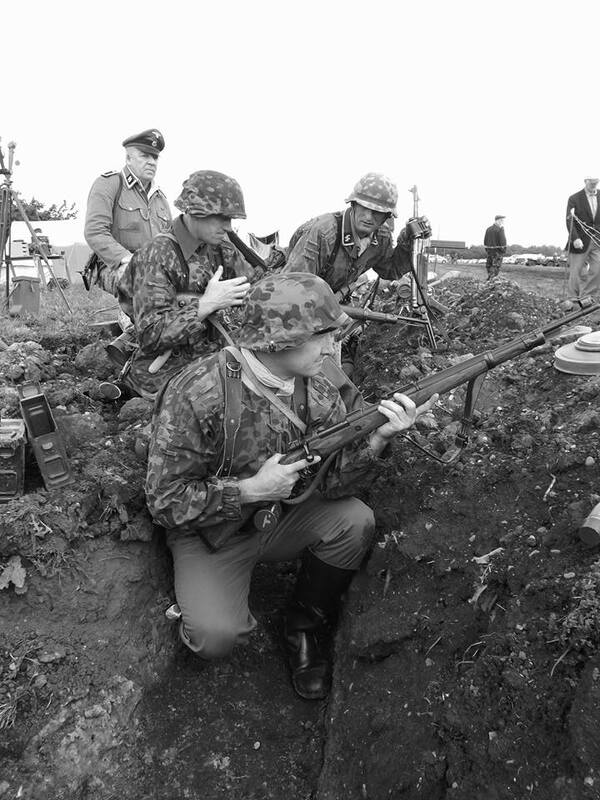 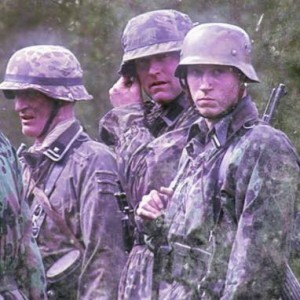 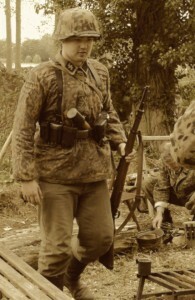 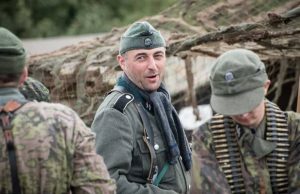 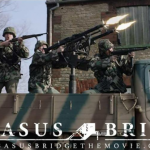 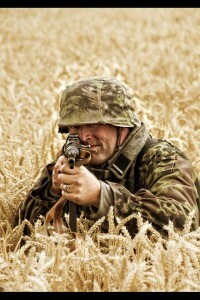 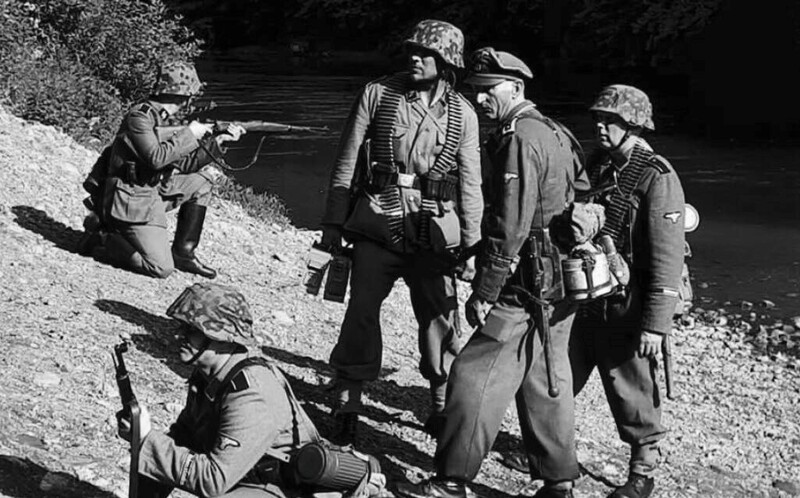 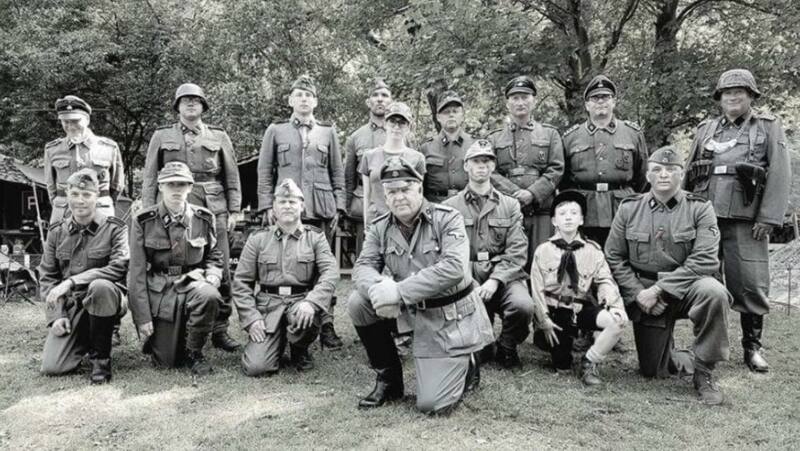 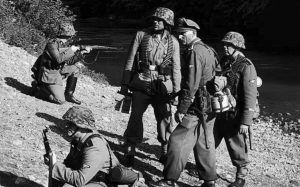 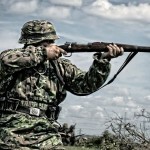 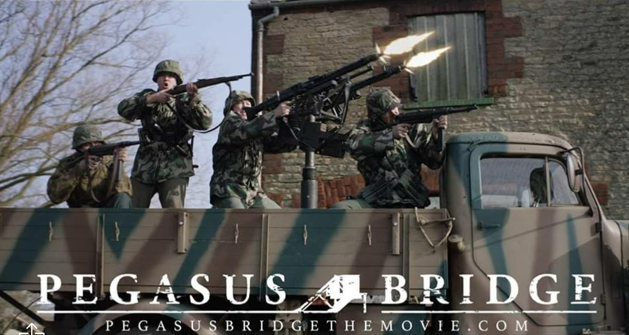 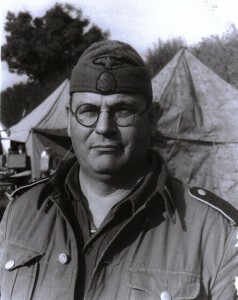 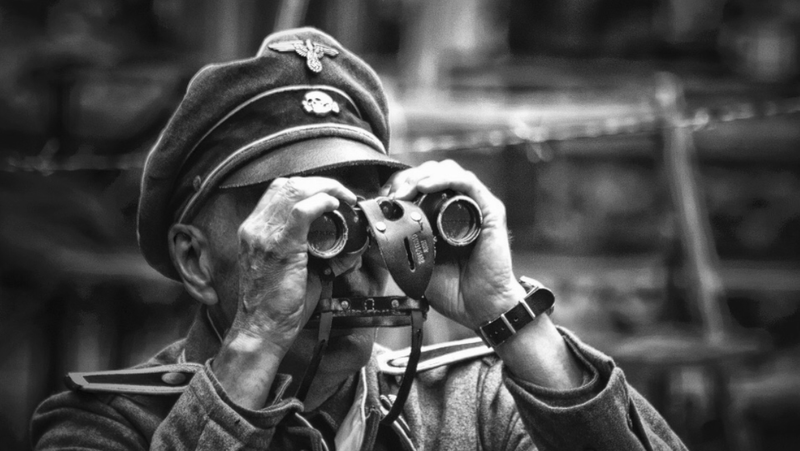 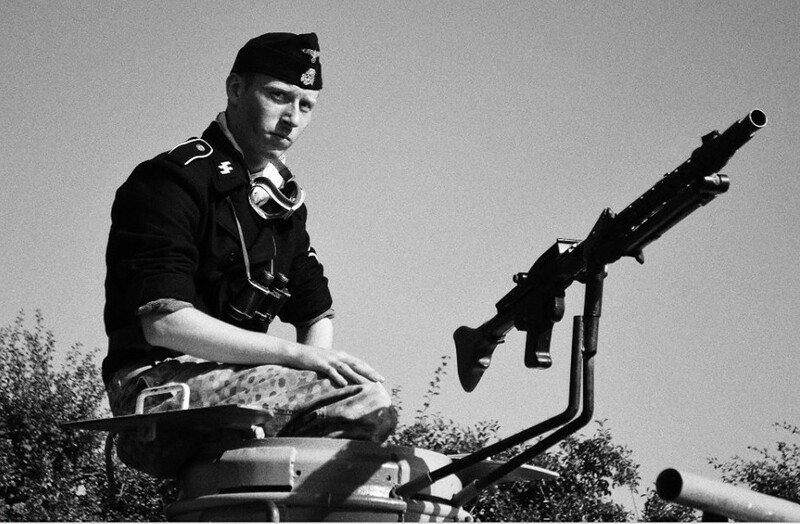 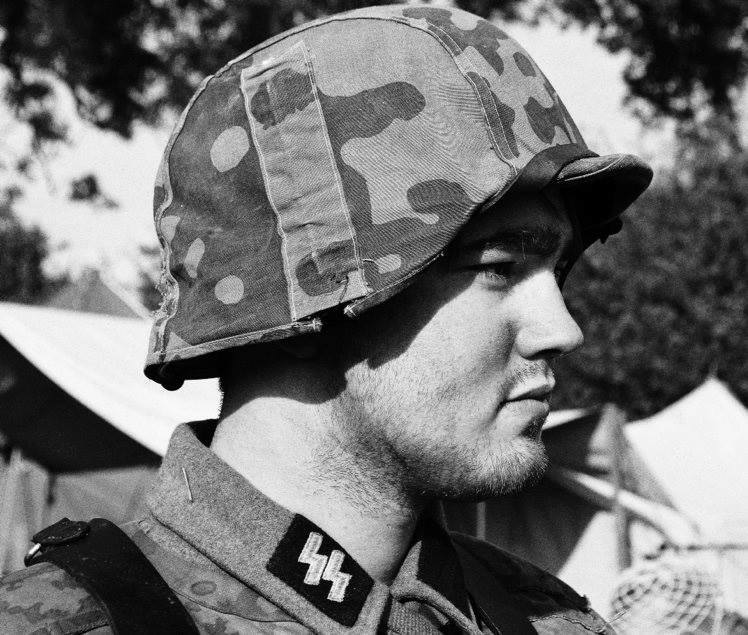 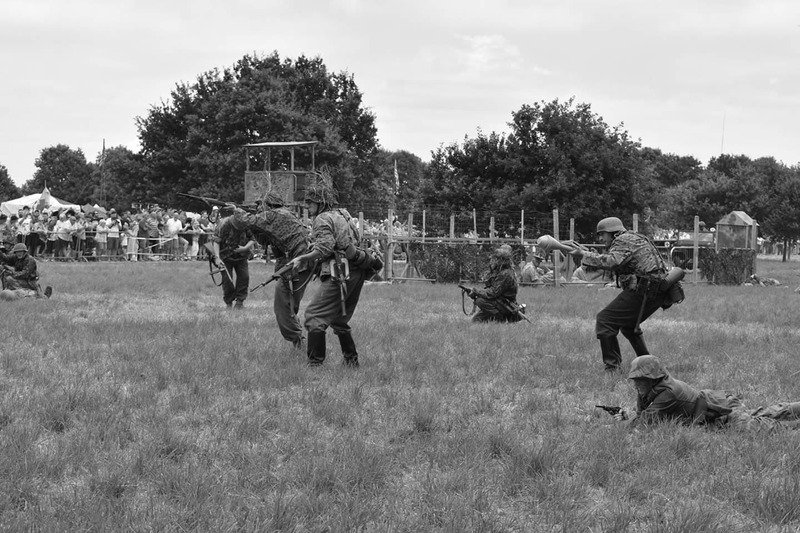 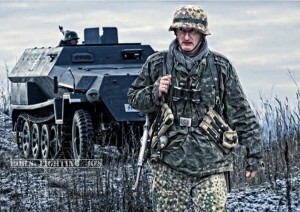 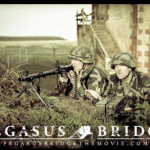 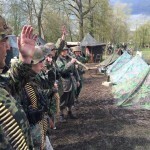 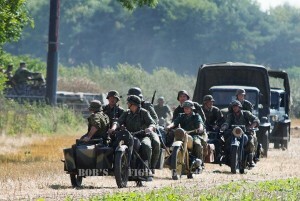 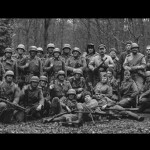 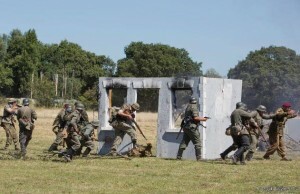 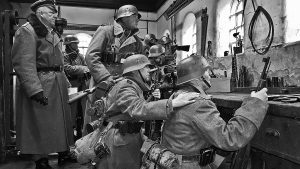 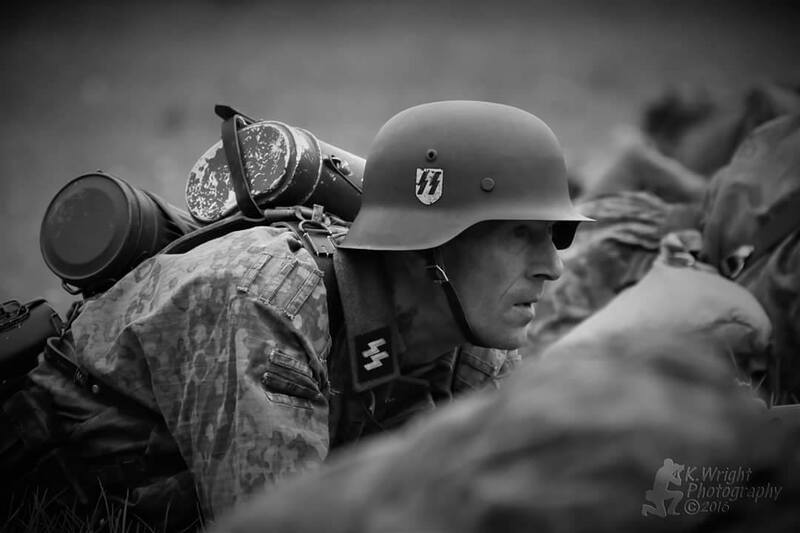 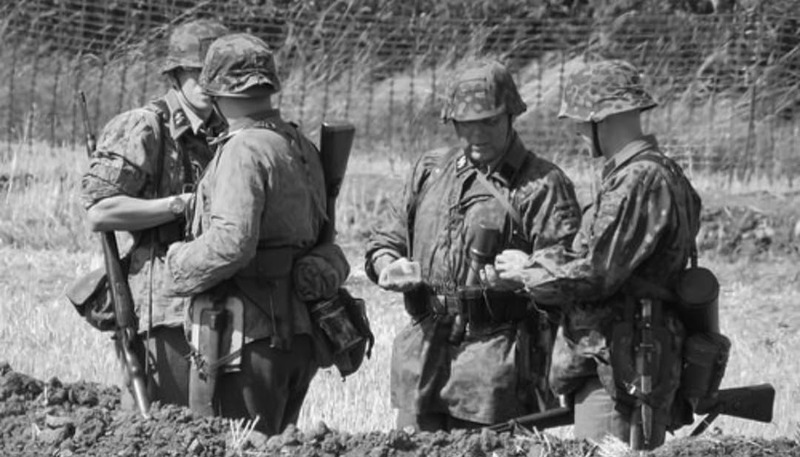 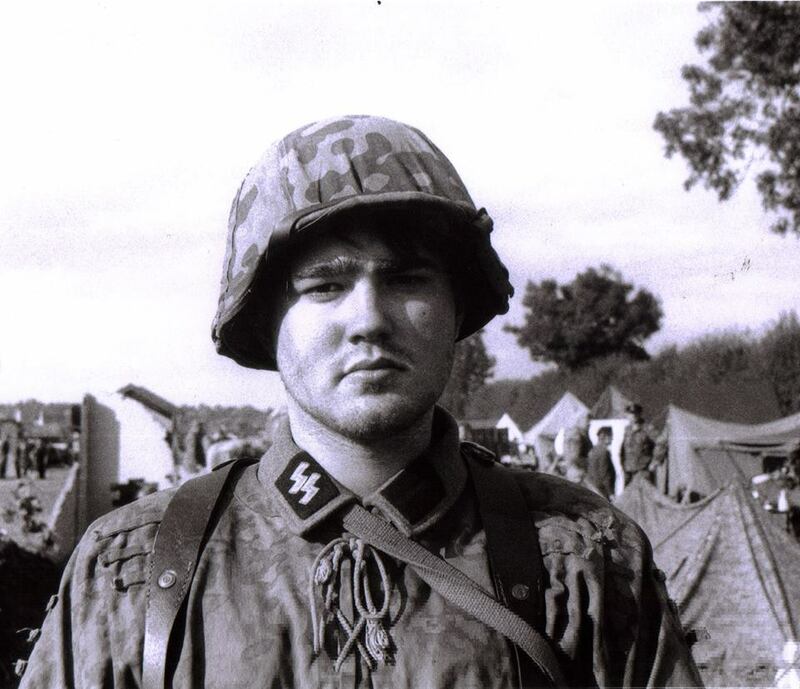 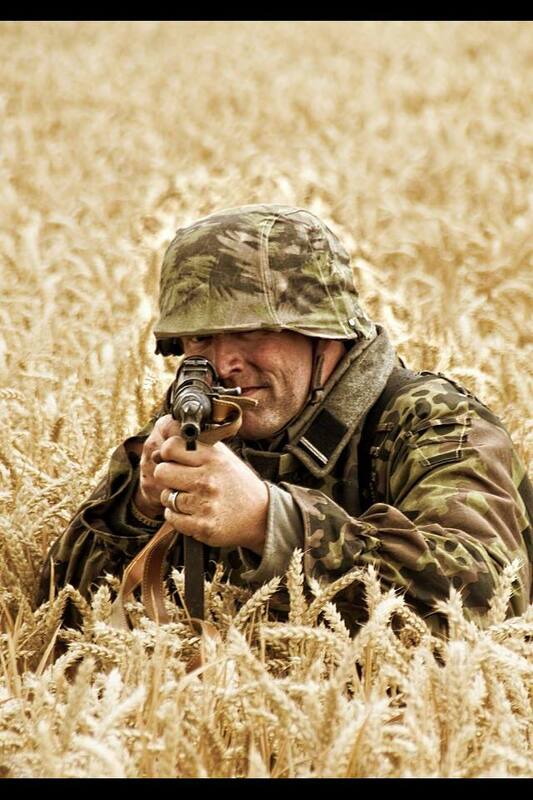 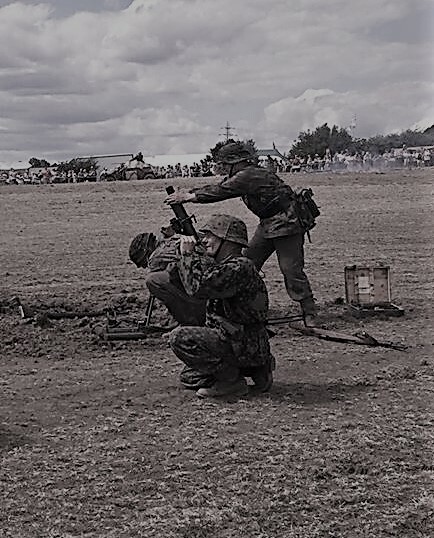 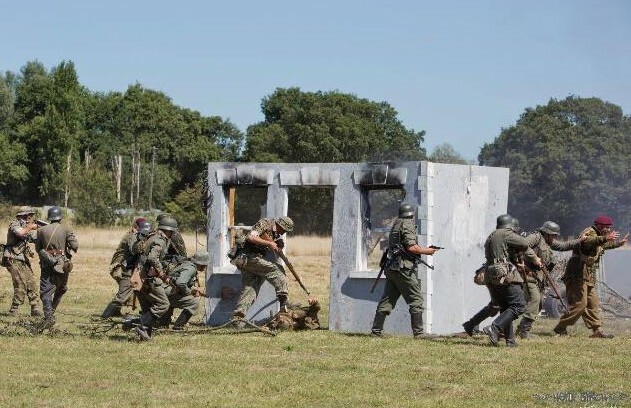 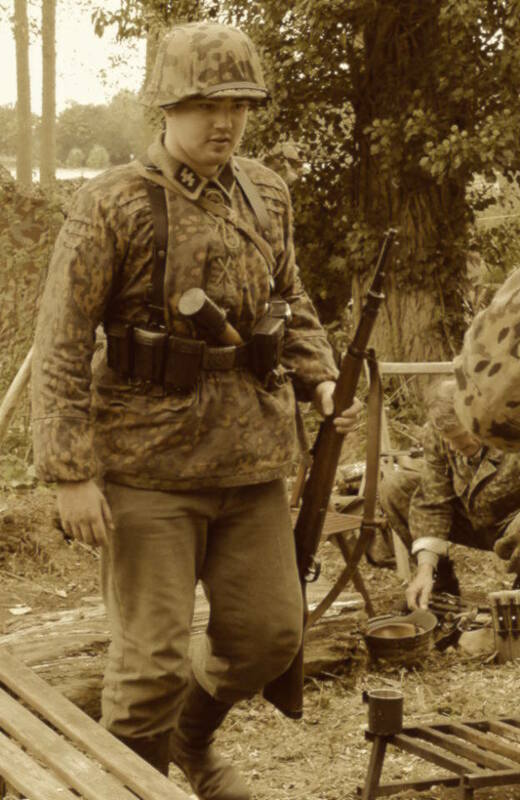 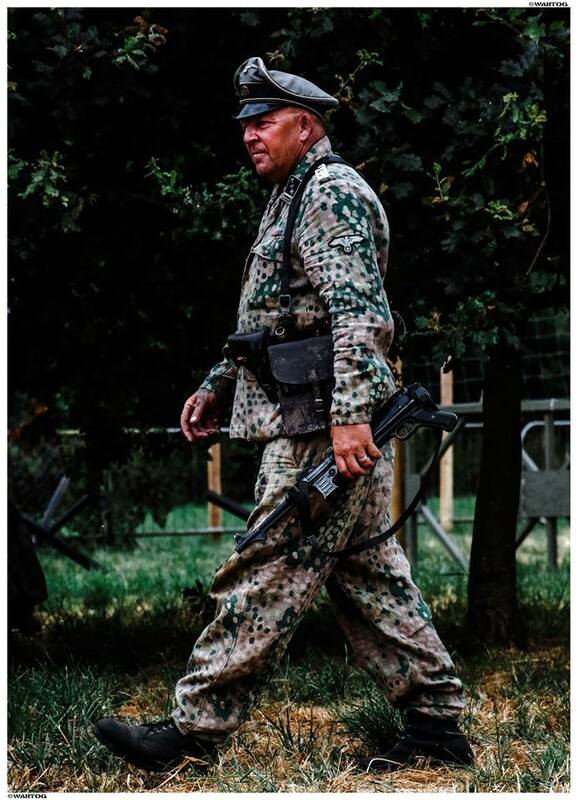 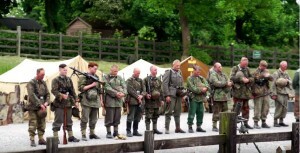 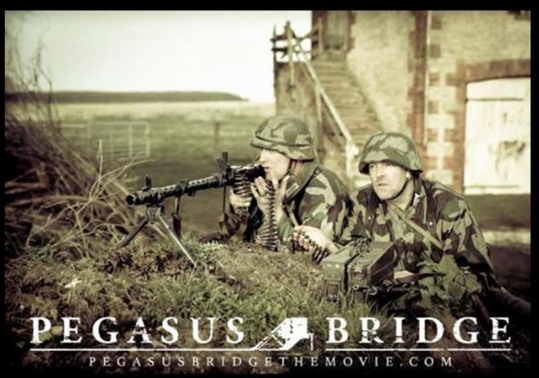 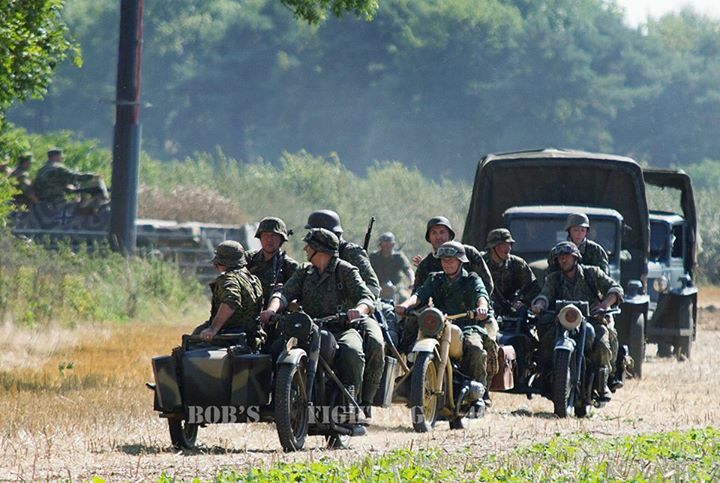 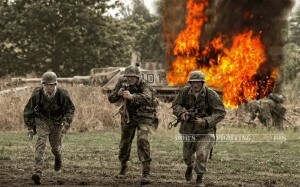 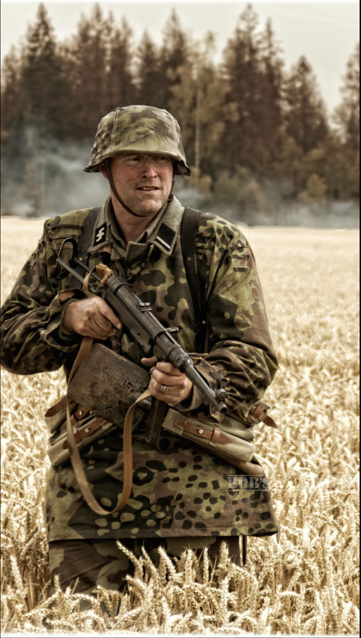 Waffen SS Re-enactors at Life on the Holme Front, Holmewood Hall, Holme Village, Peterborough, PE7 3PA. 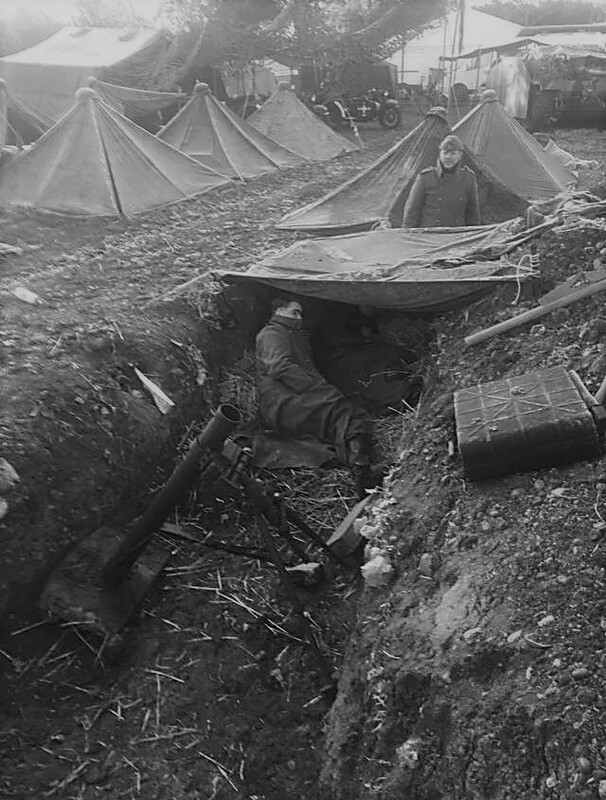 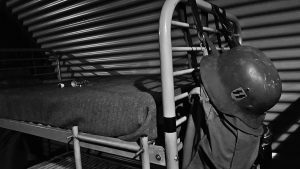 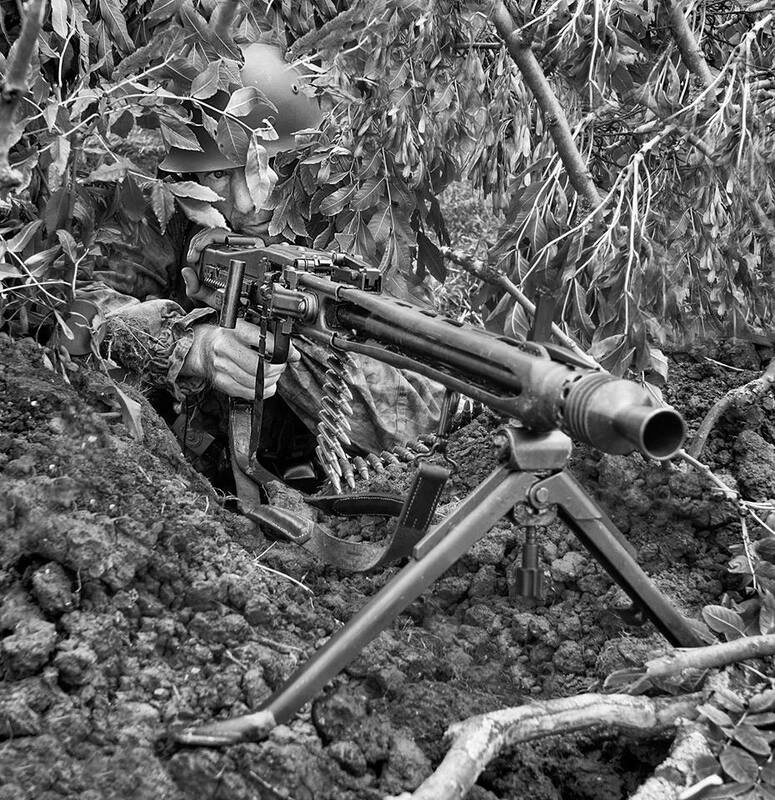 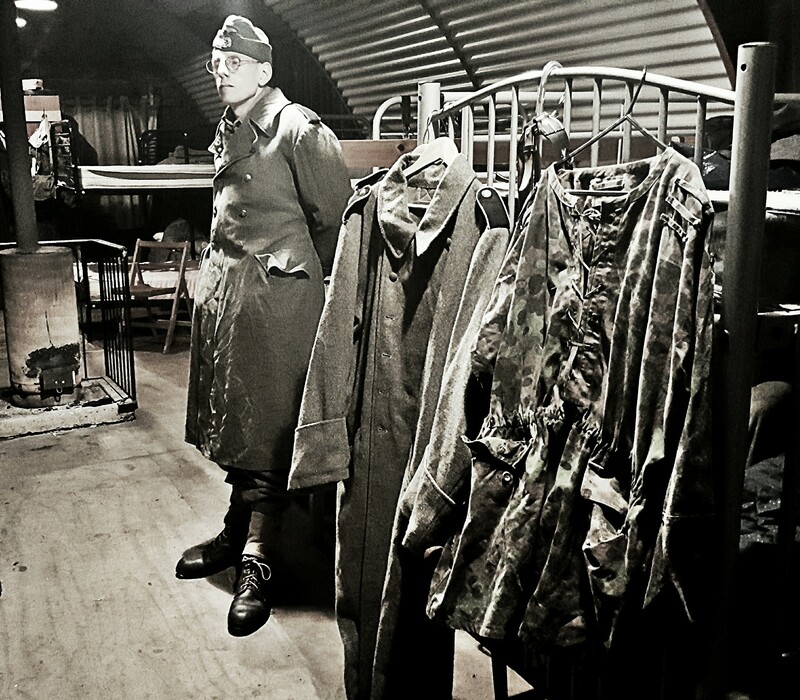 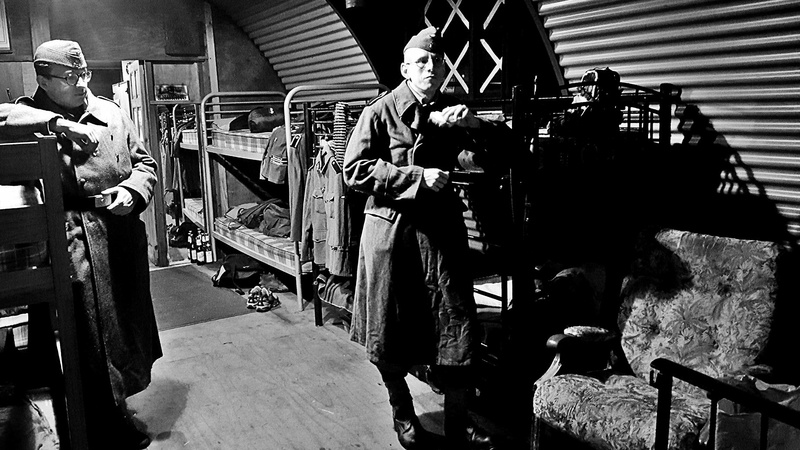 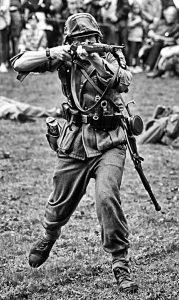 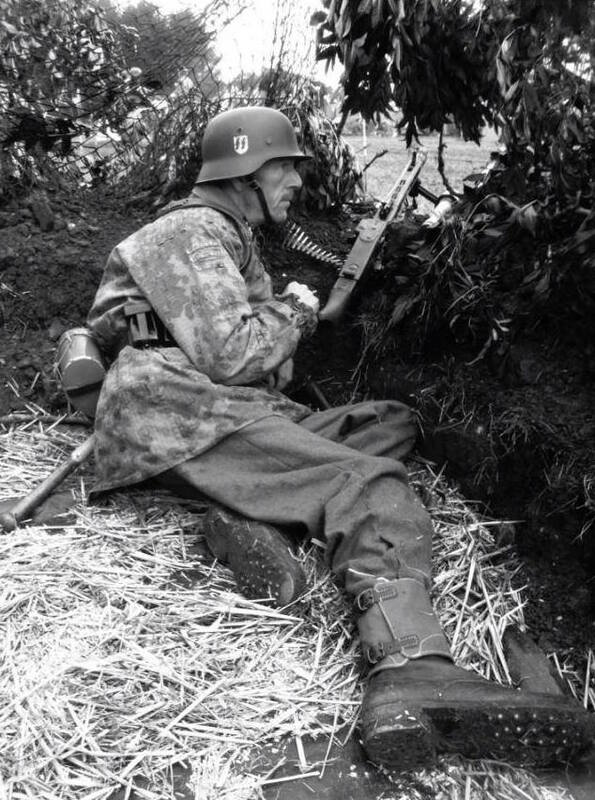 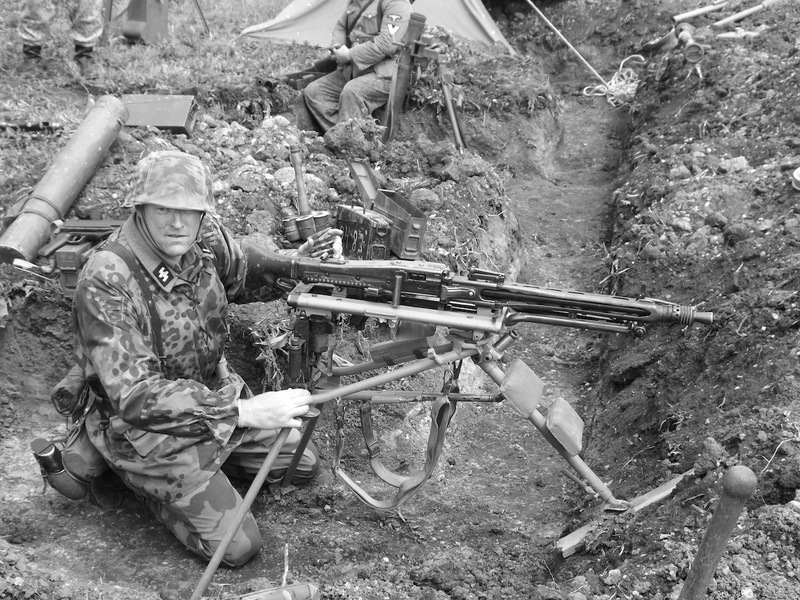 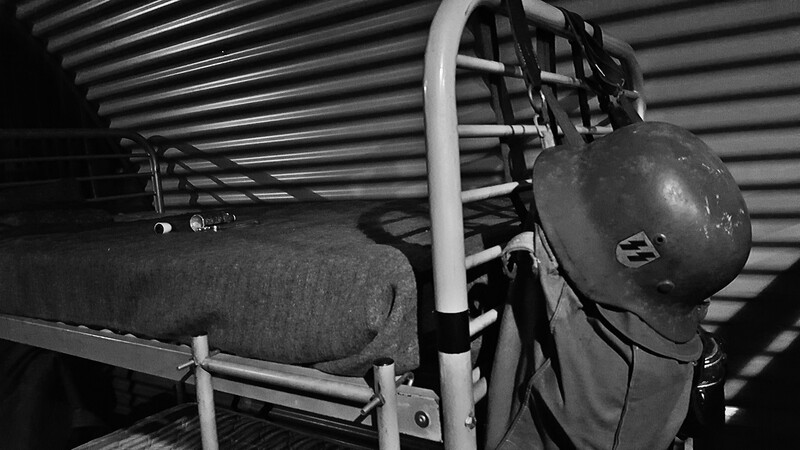 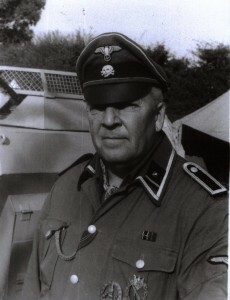 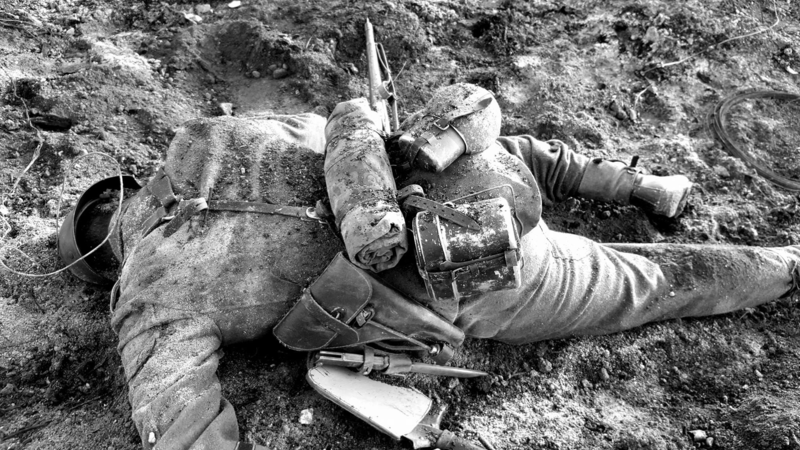 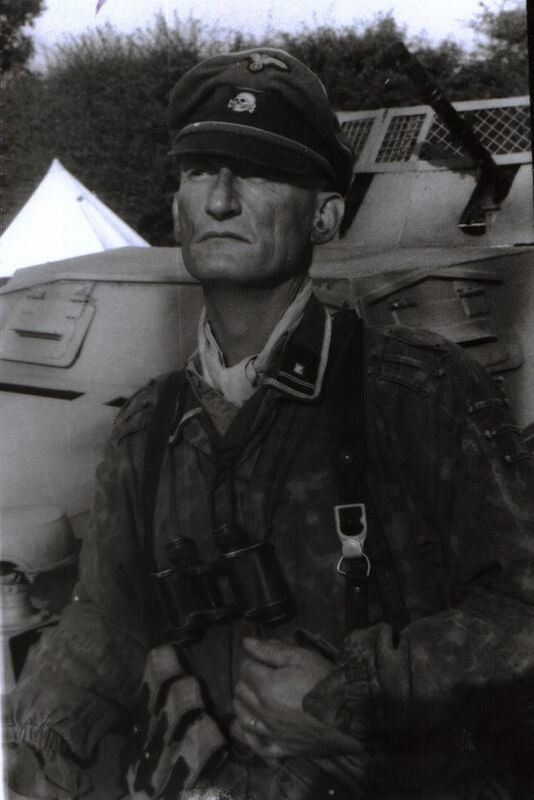 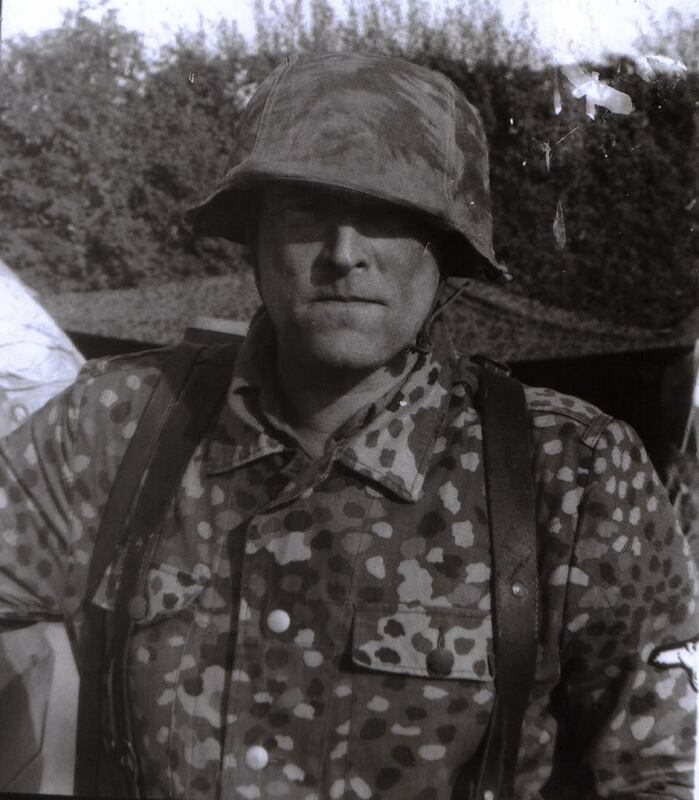 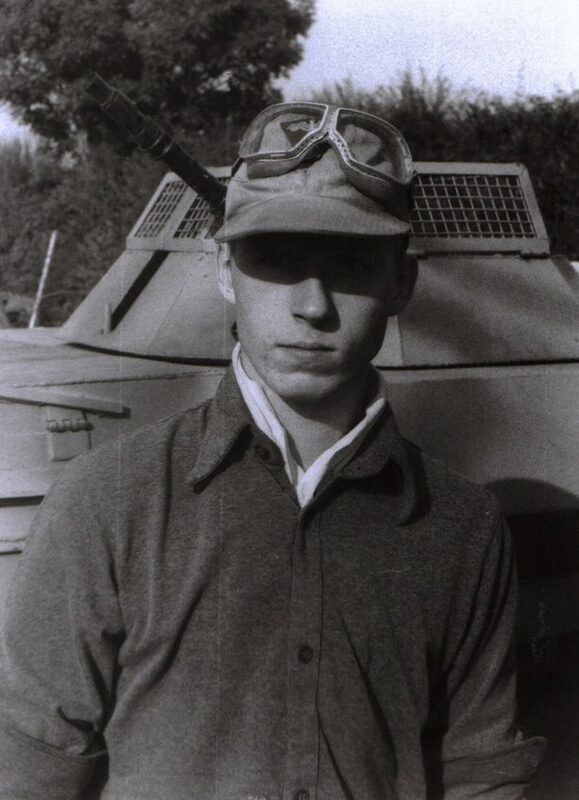 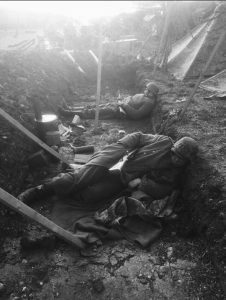 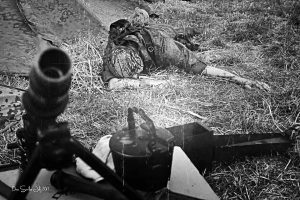 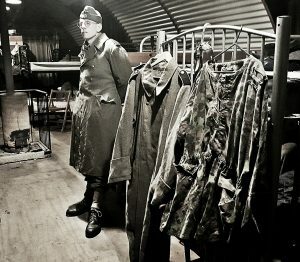 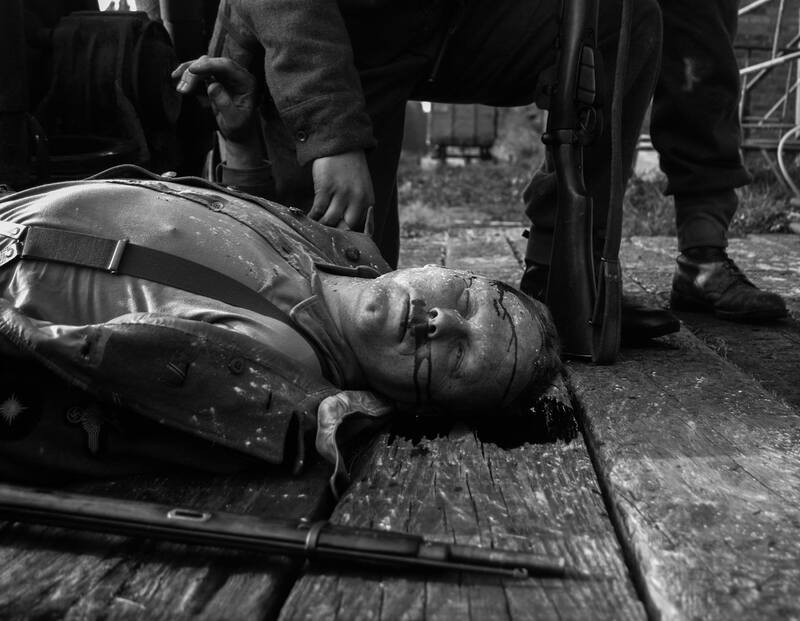 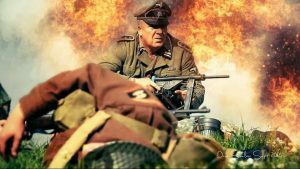 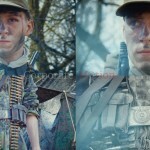 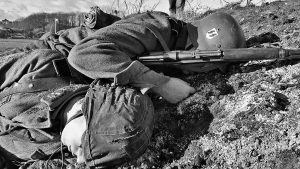 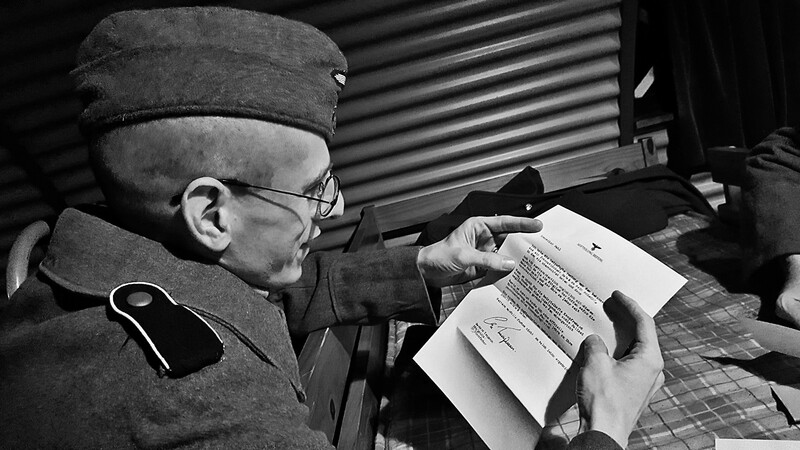 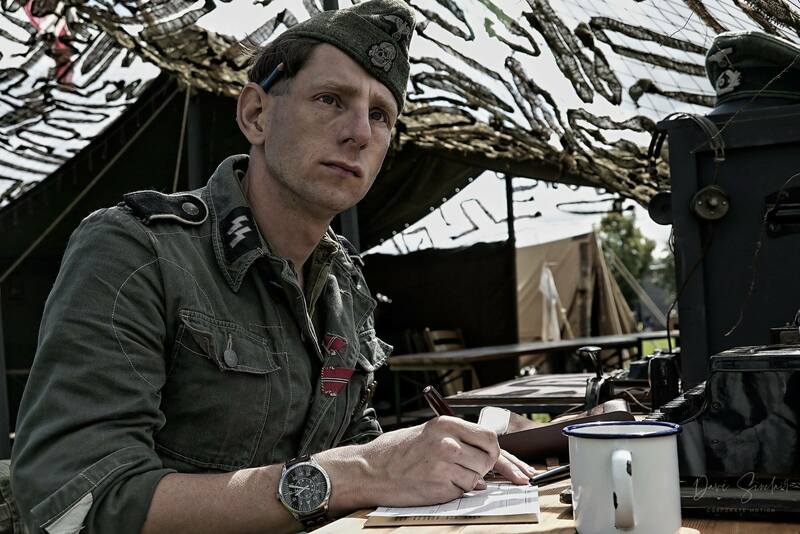 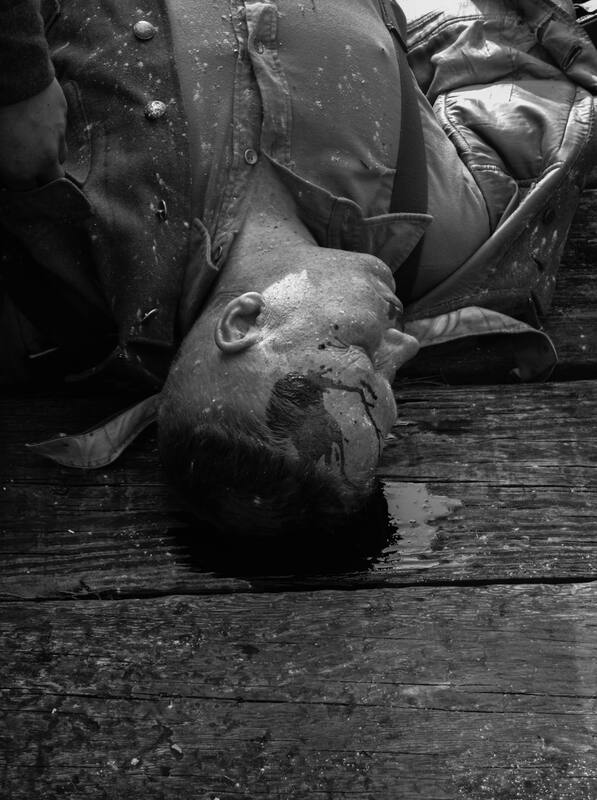 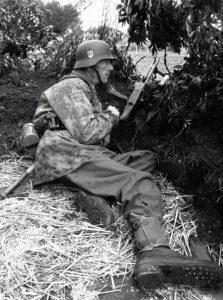 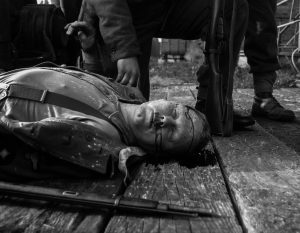 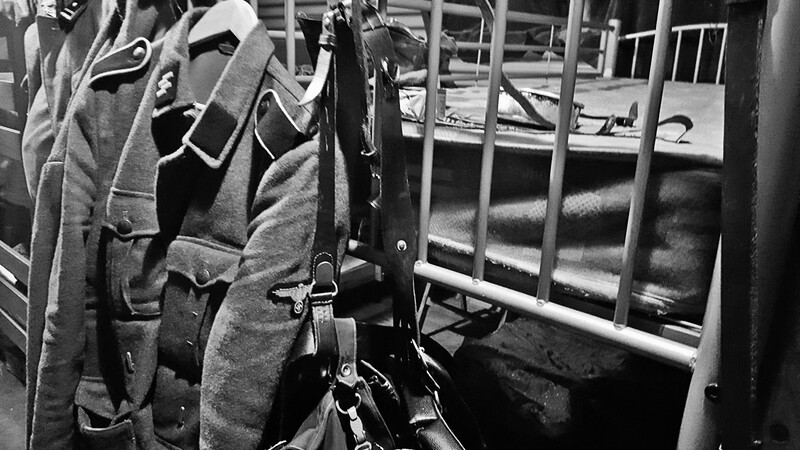 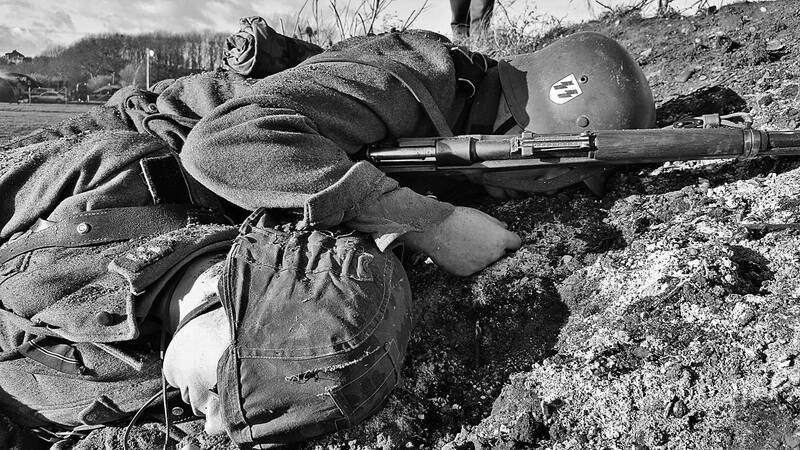 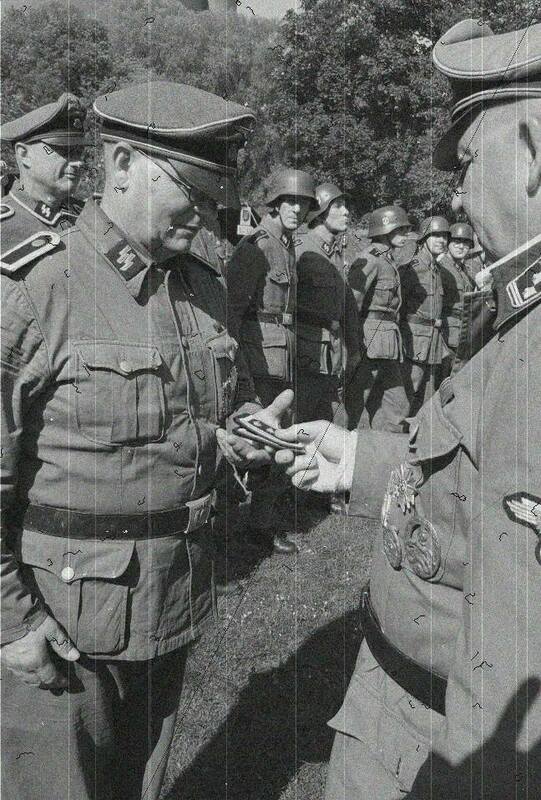 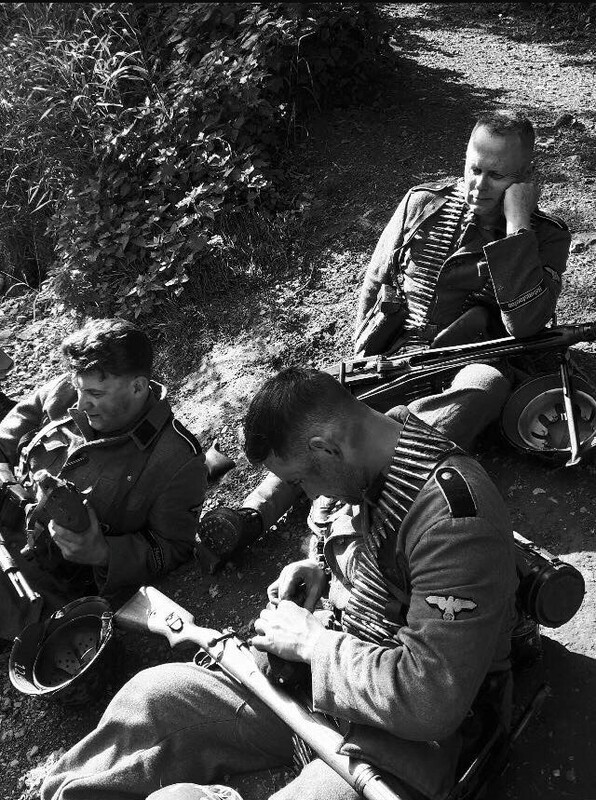 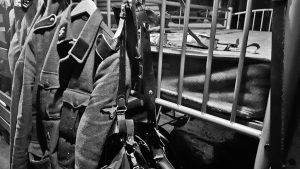 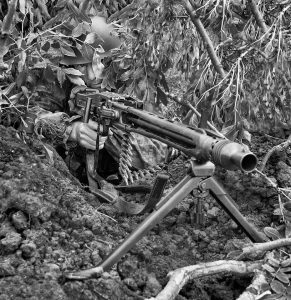 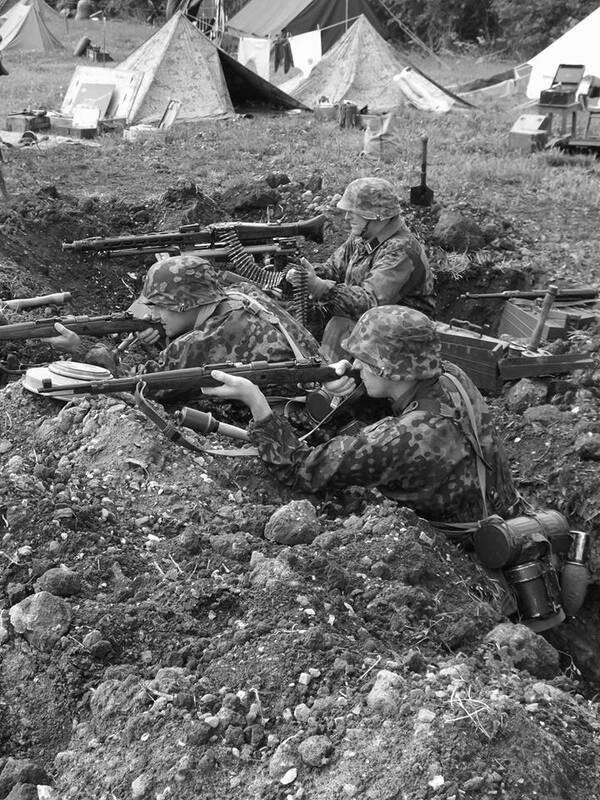 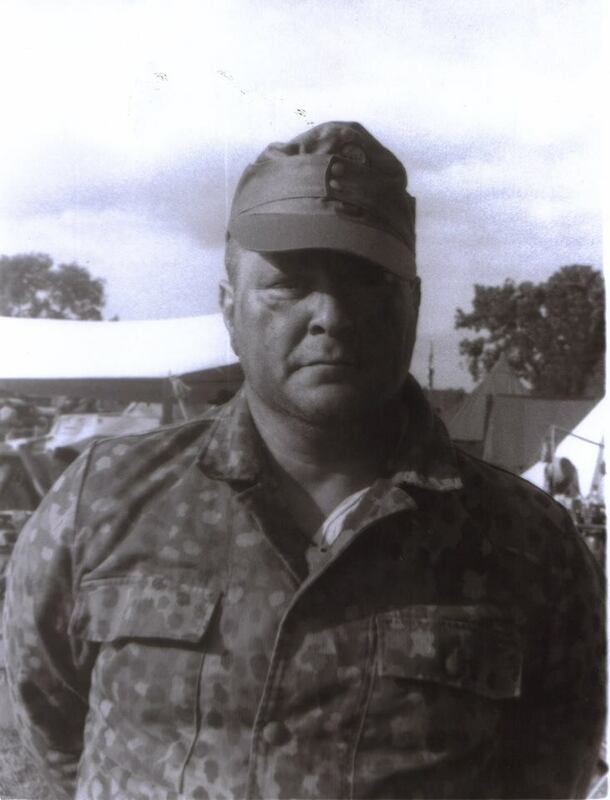 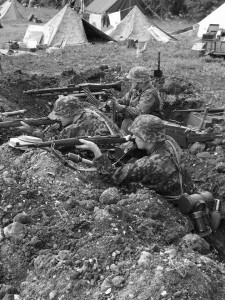 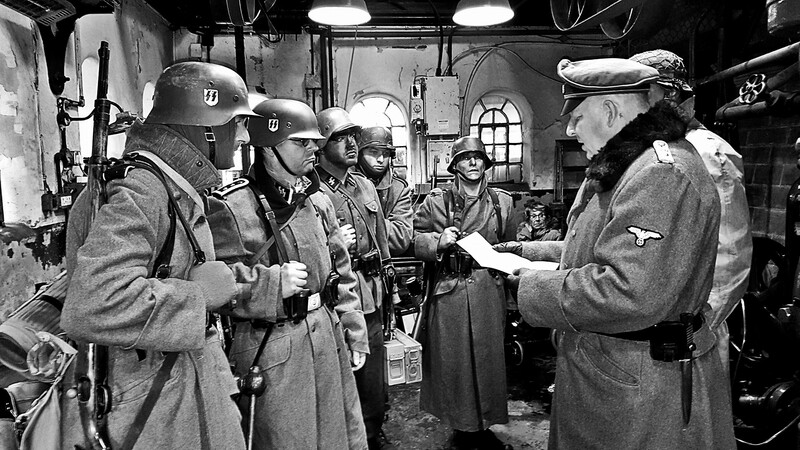 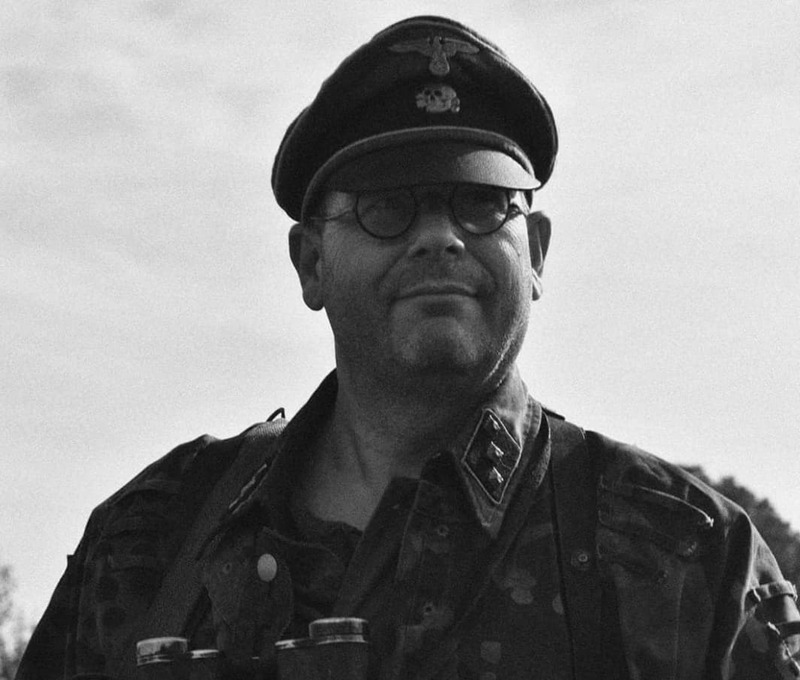 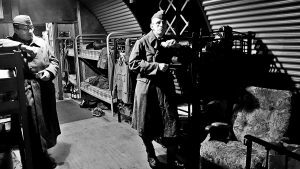 Panzergrenadier Jurgen Fischer slept all night in his slit trench with only his uniform, straw and a wool blanket…. 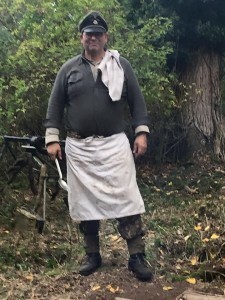 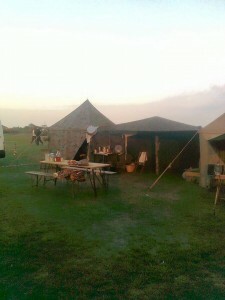 Der Koch – Kompanie Chef who feeds us all really well with great camp fire cooking…. Wunderbar !!! 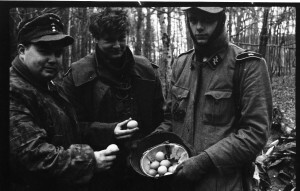 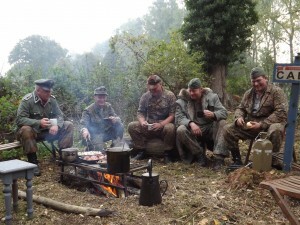 Lagerfeuer Frühstück mit Kameraden (campfire breakfast with comrades). 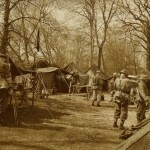 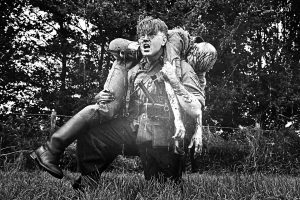 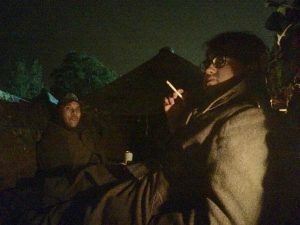 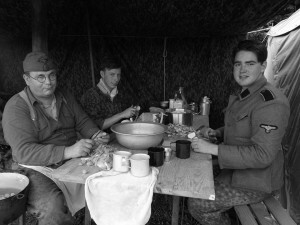 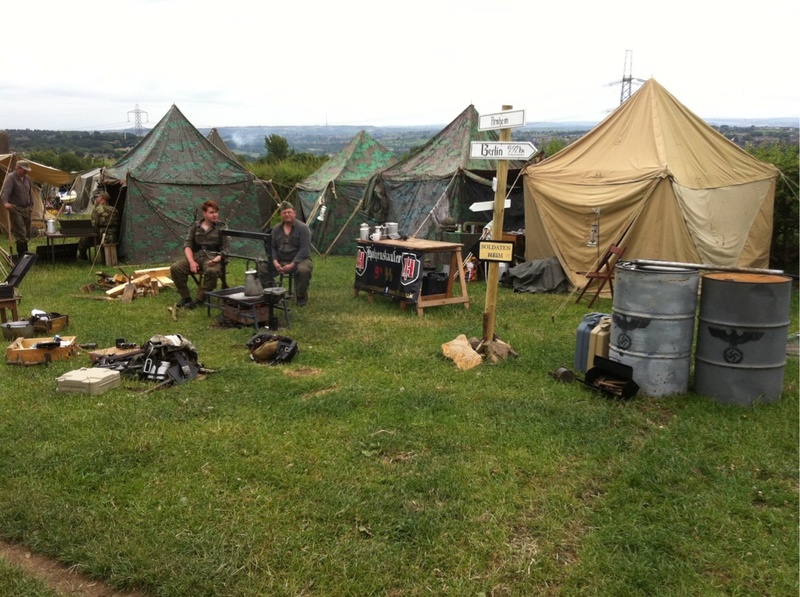 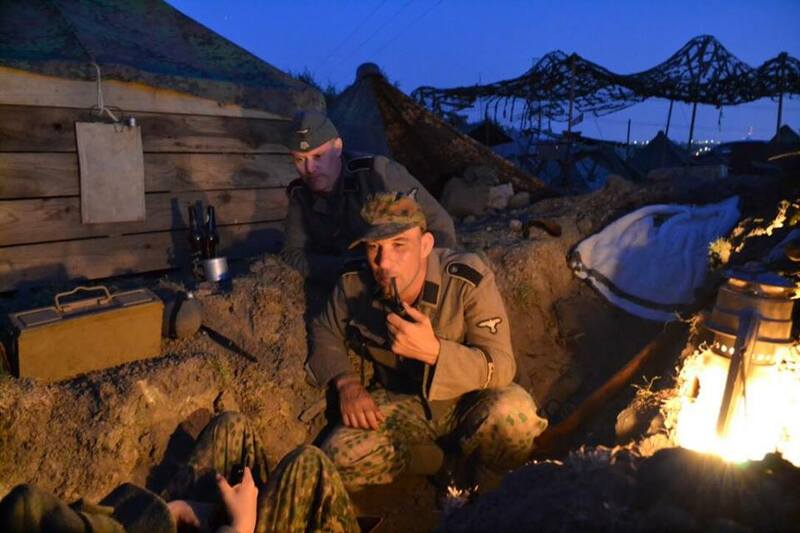 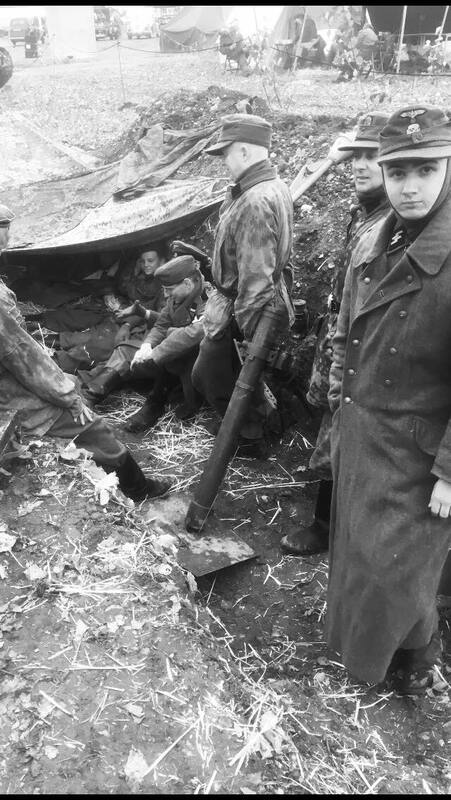 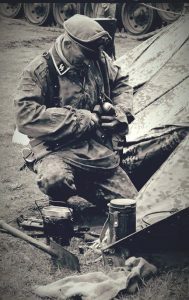 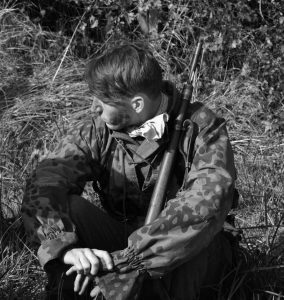 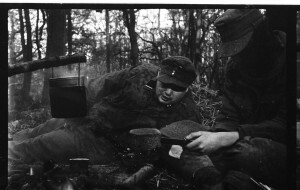 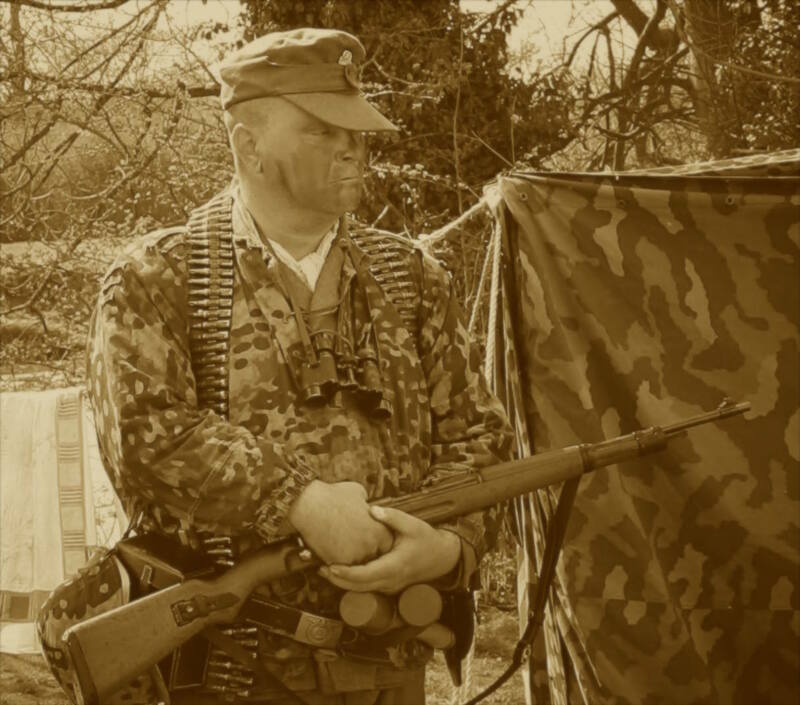 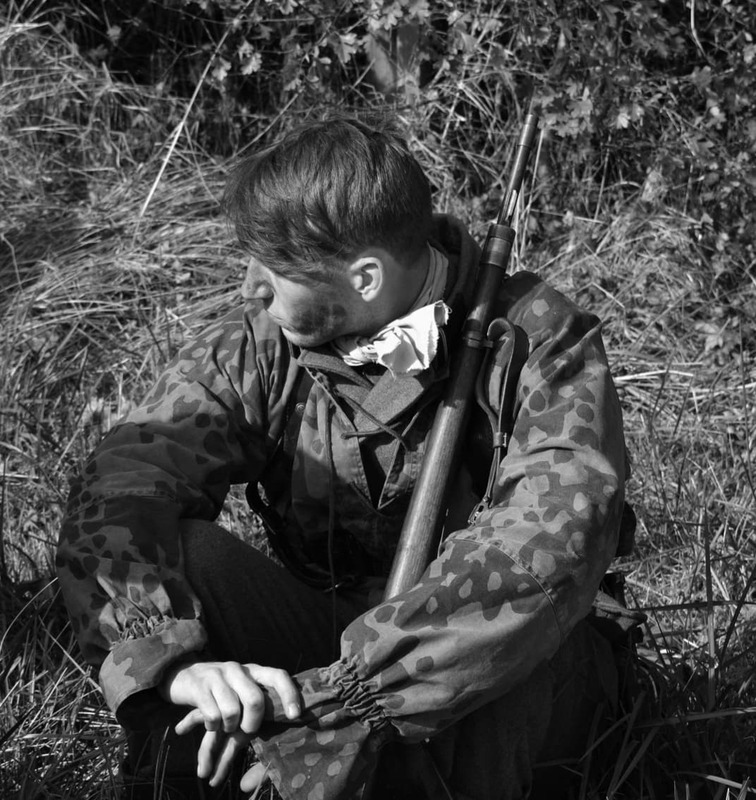 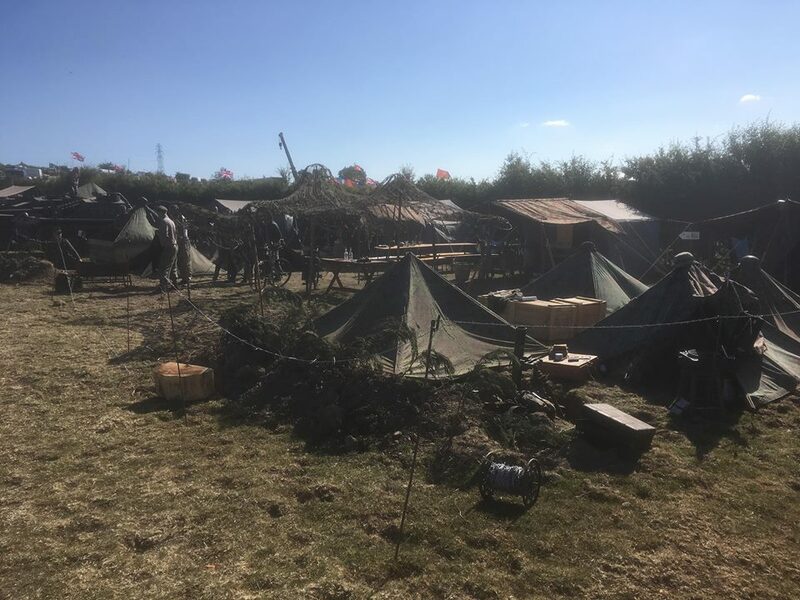 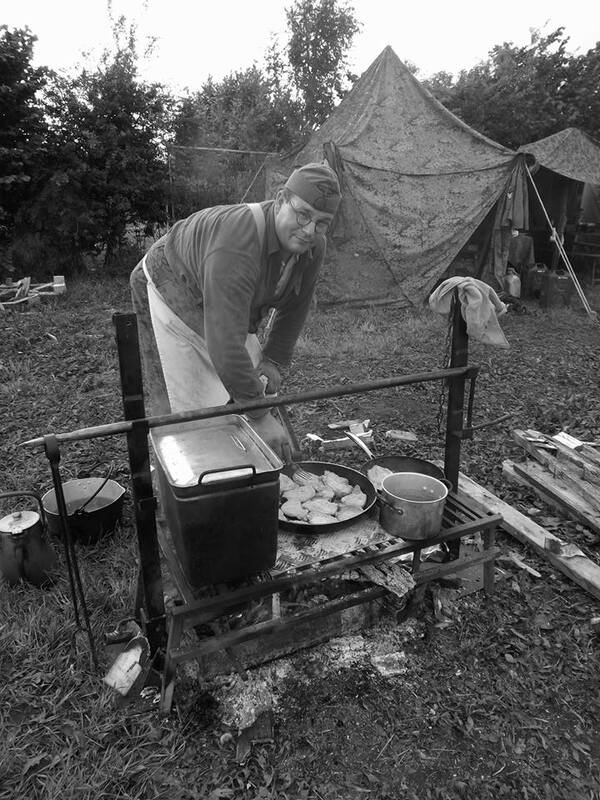 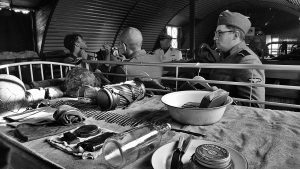 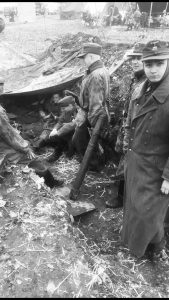 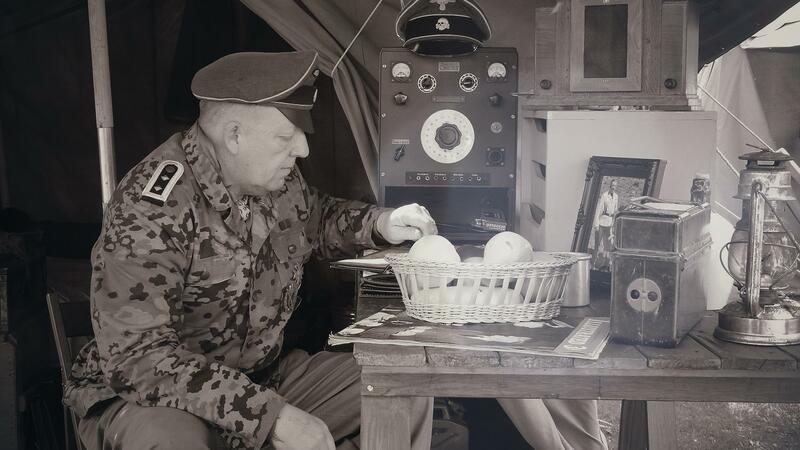 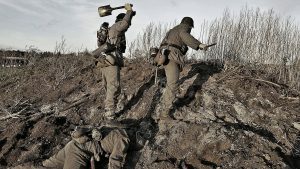 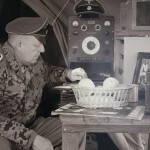 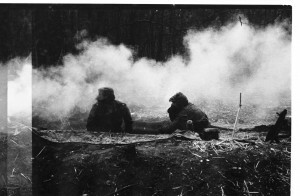 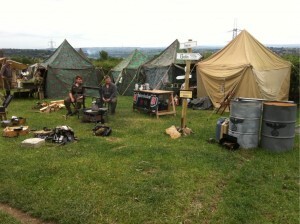 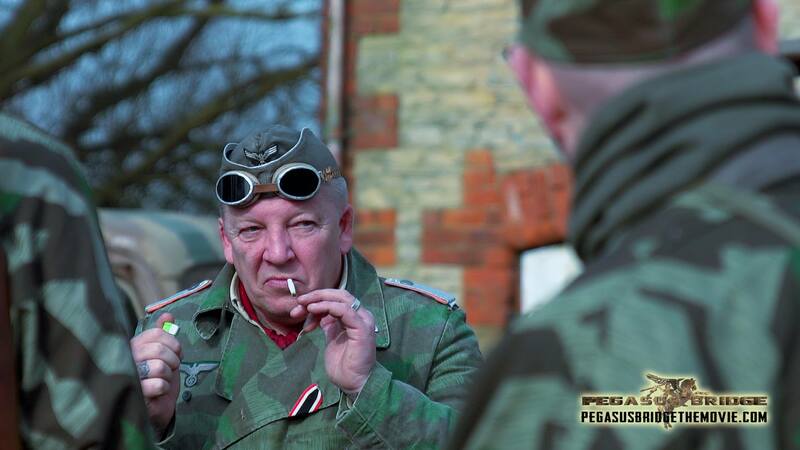 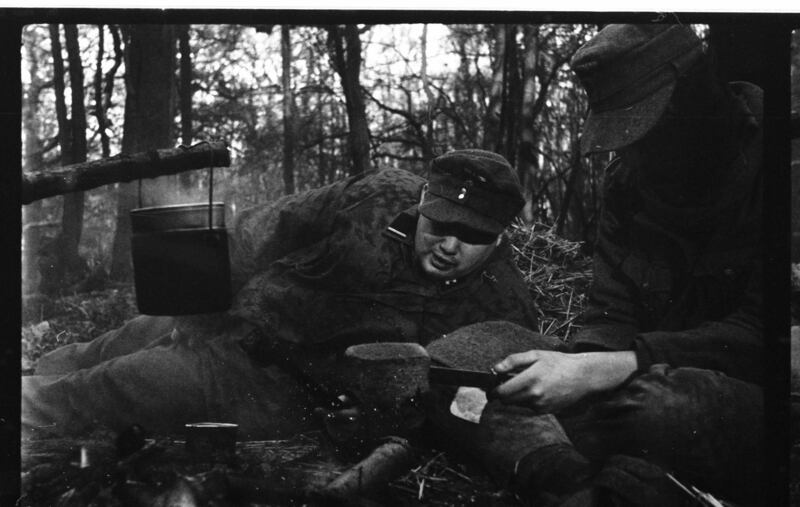 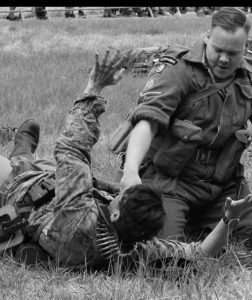 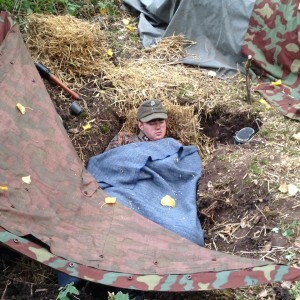 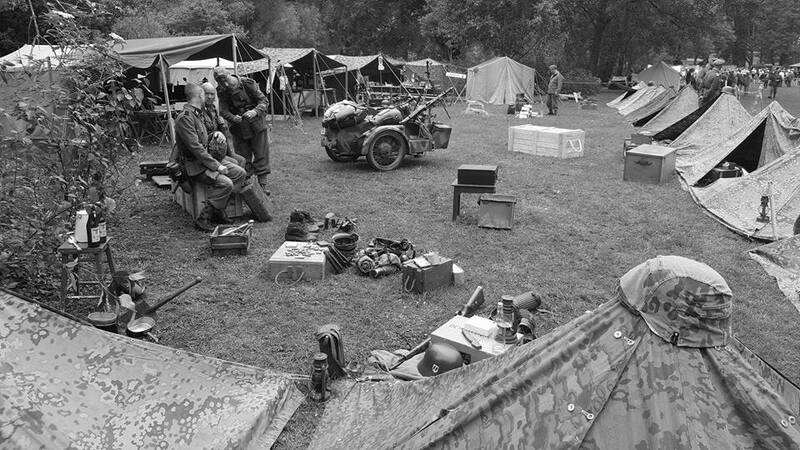 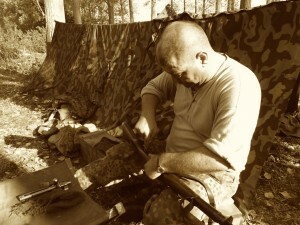 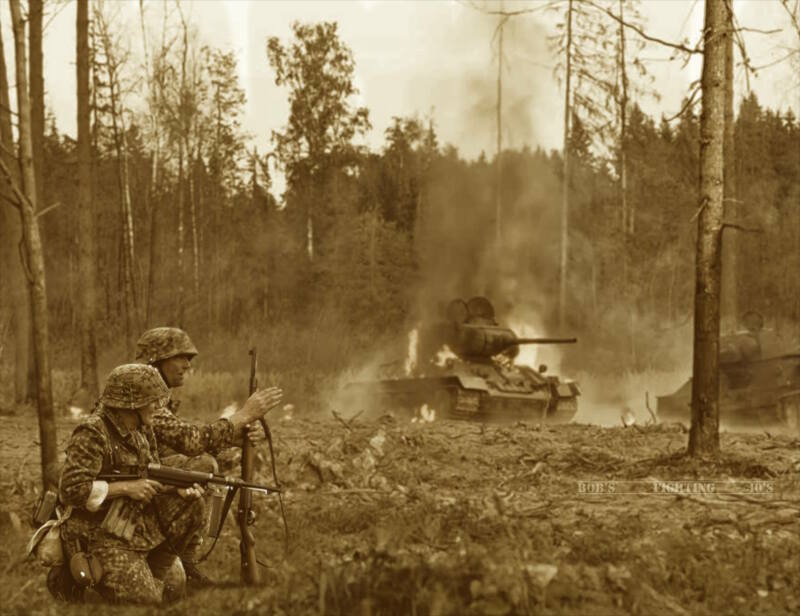 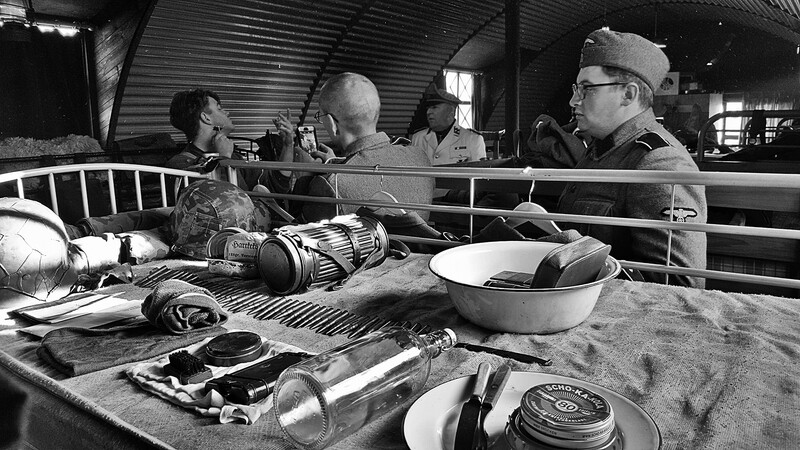 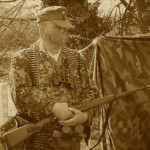 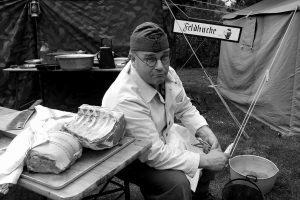 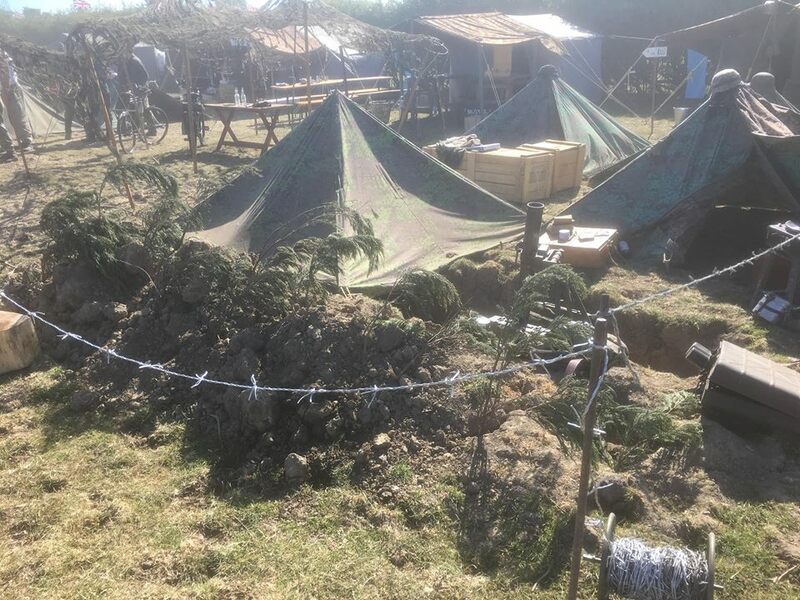 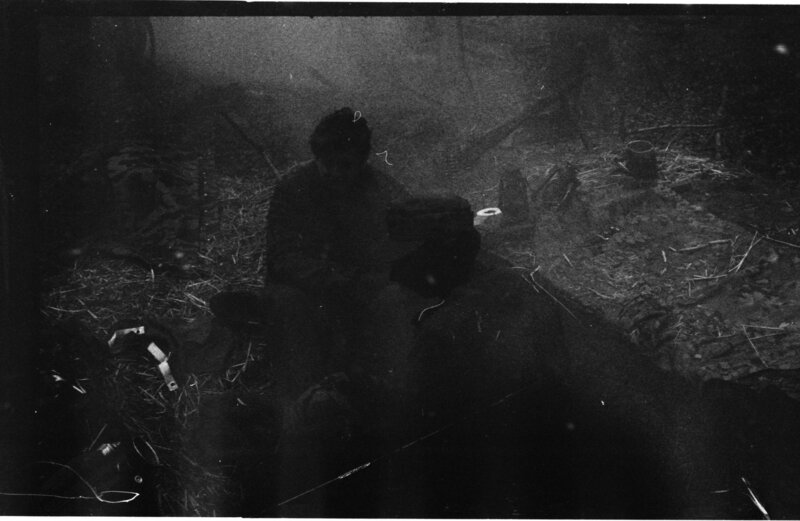 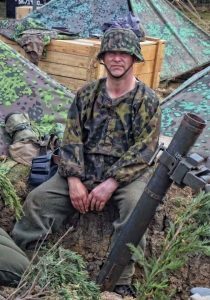 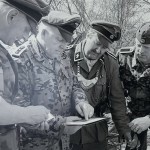 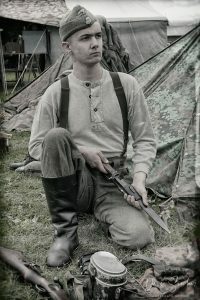 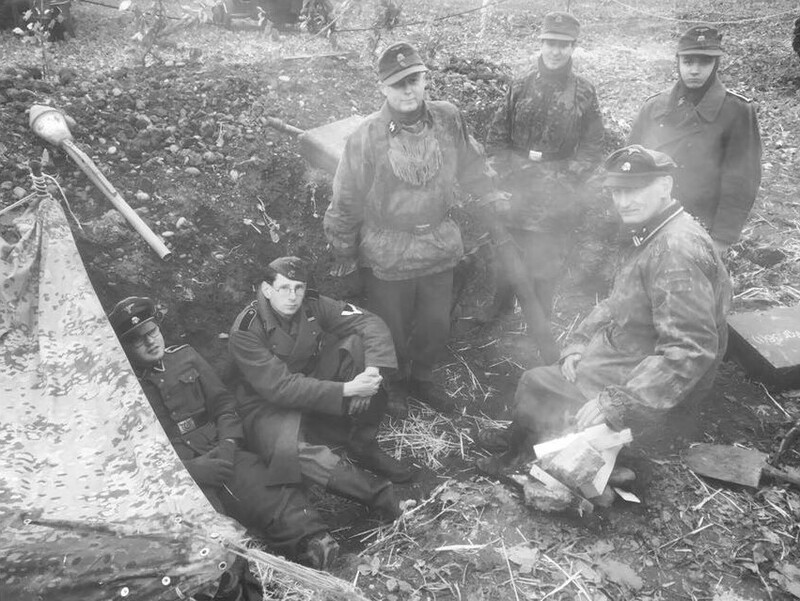 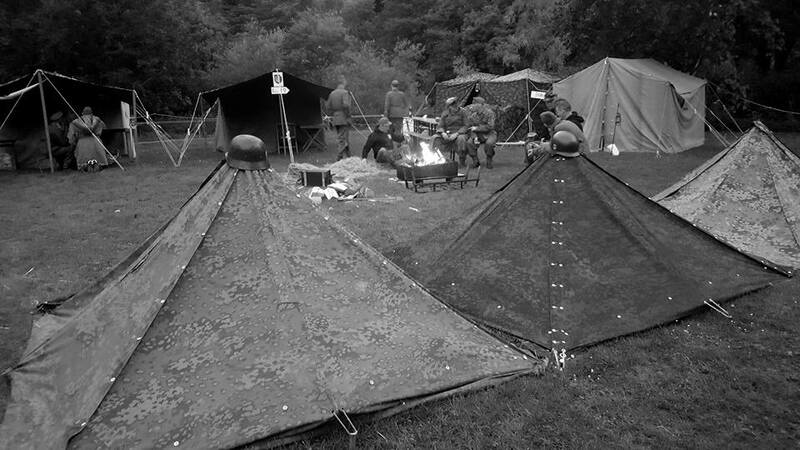 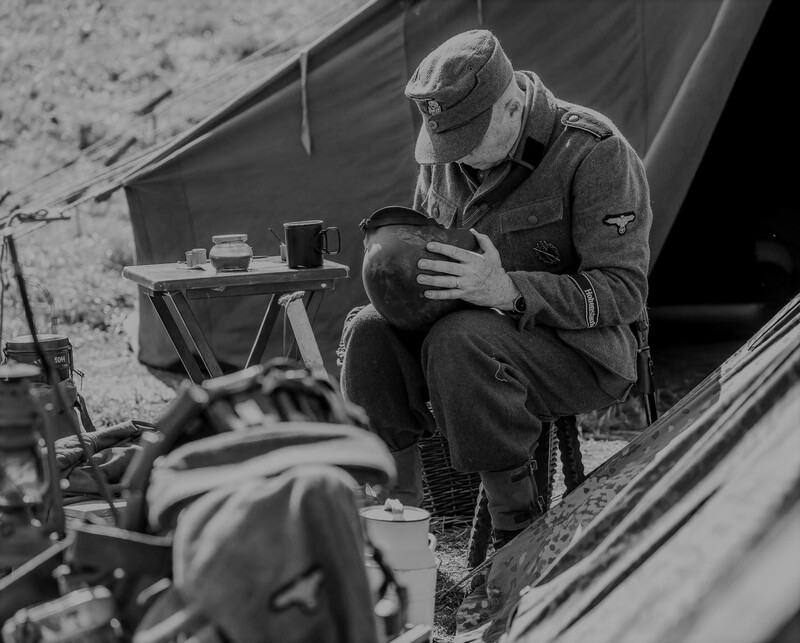 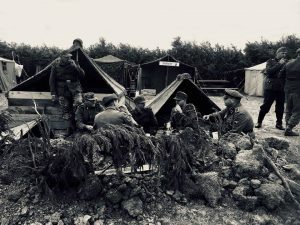 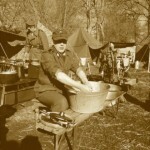 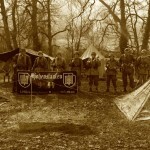 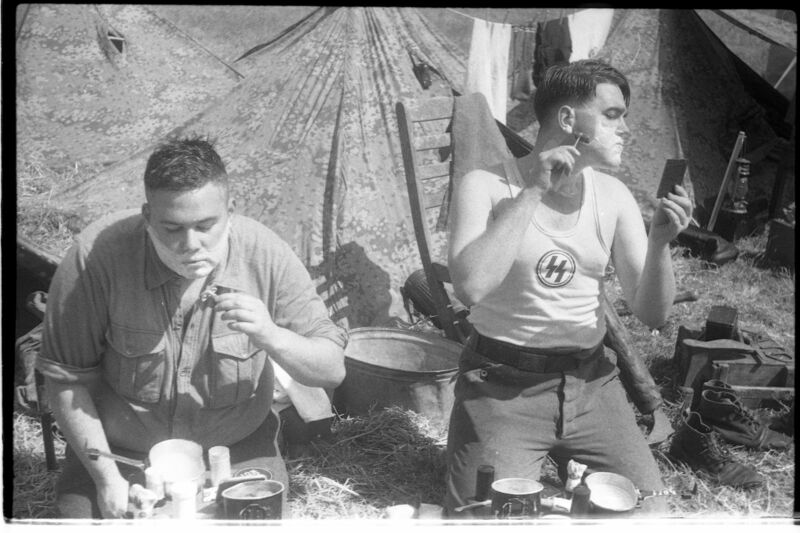 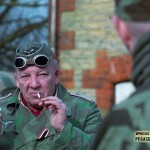 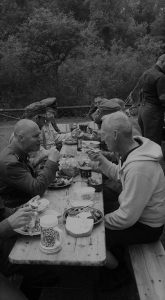 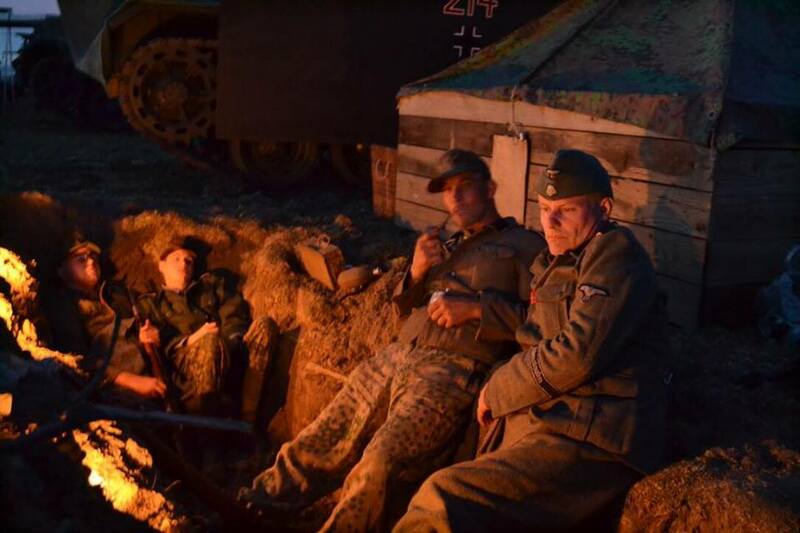 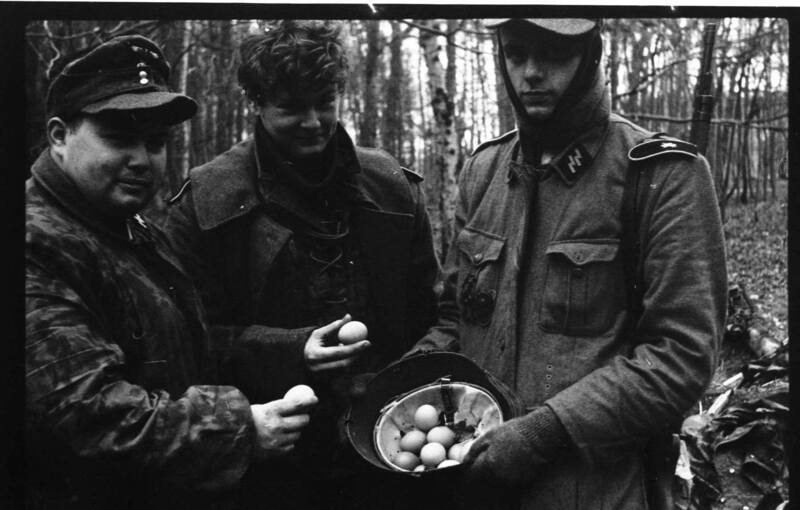 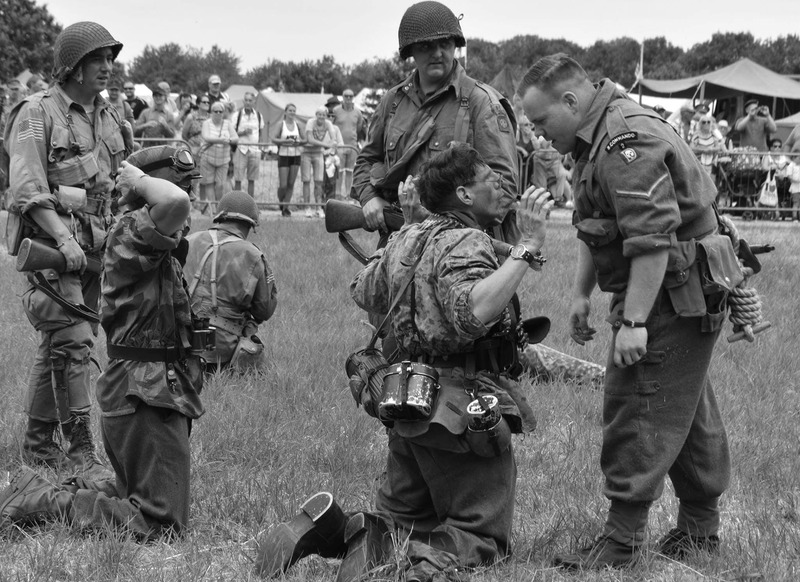 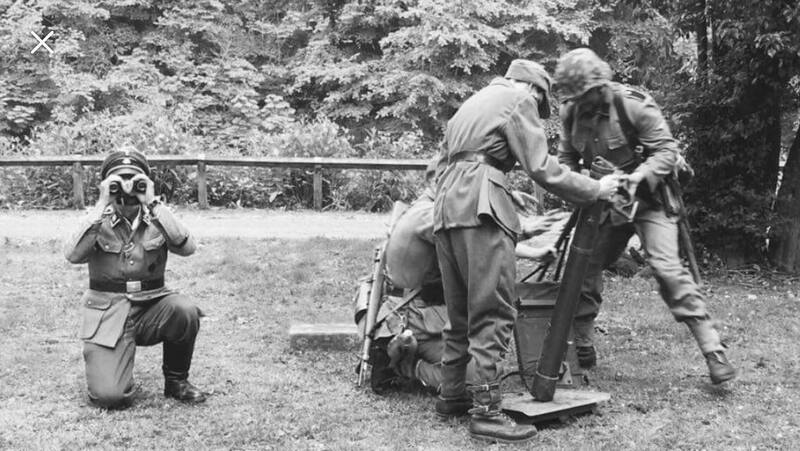 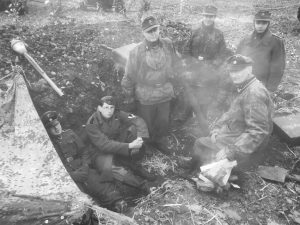 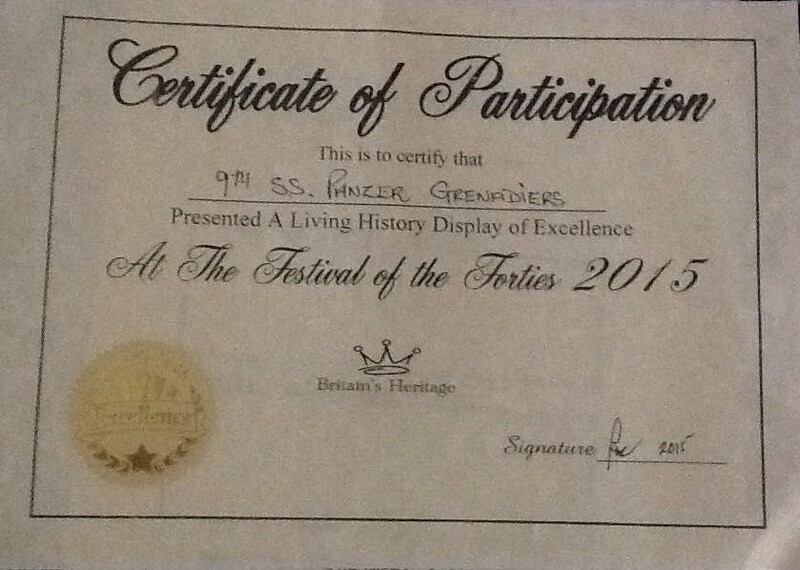 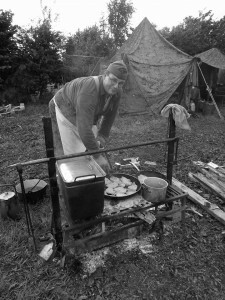 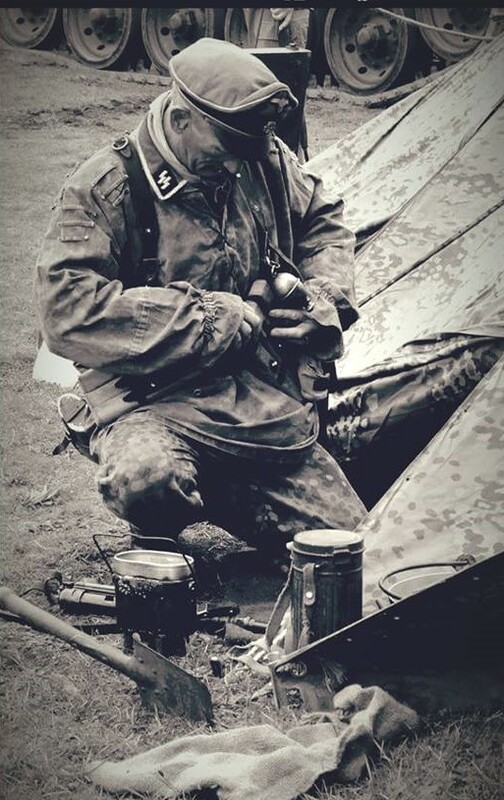 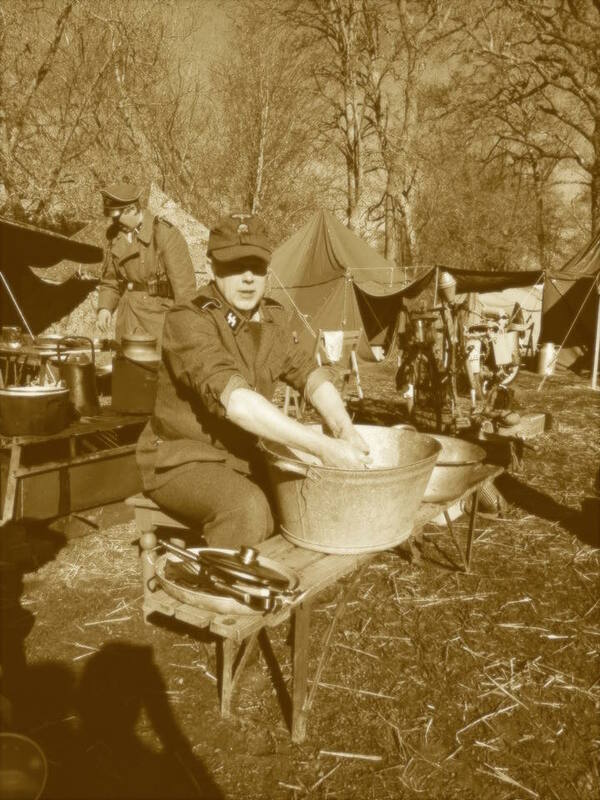 One of the greatest pleasures of reenacting – campfire eating and banter with comrades….